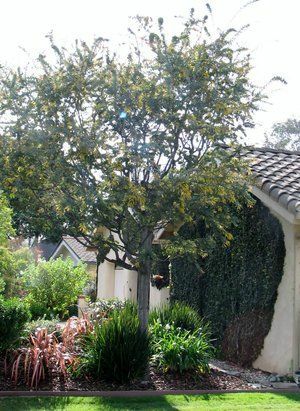 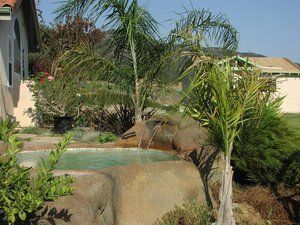 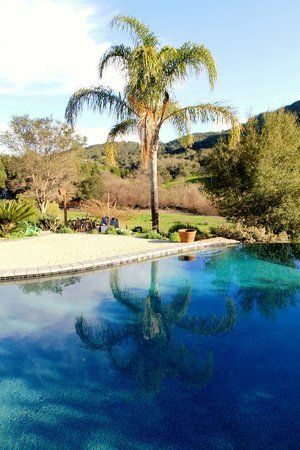 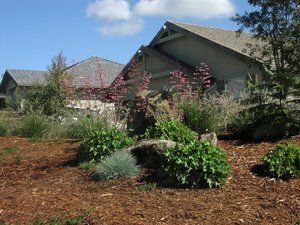 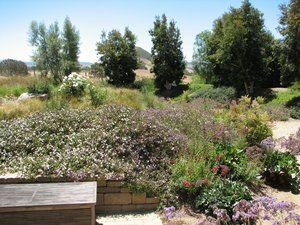 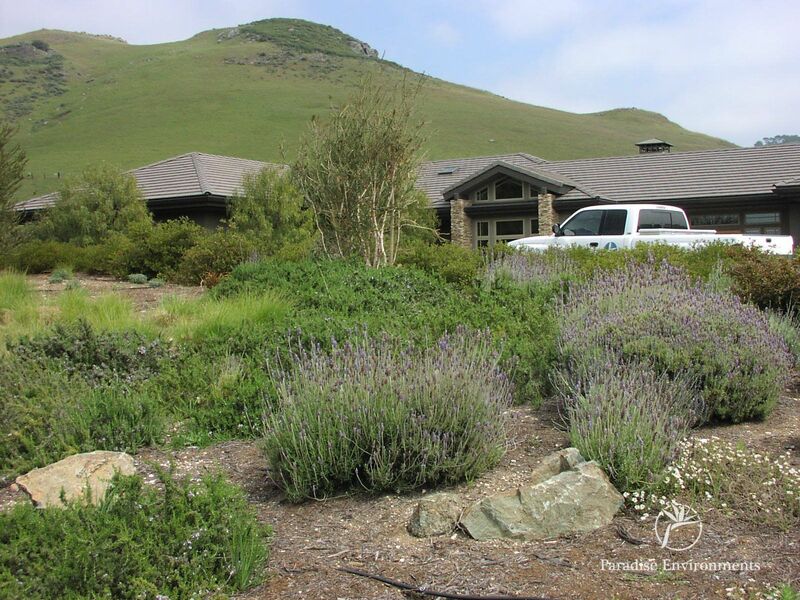 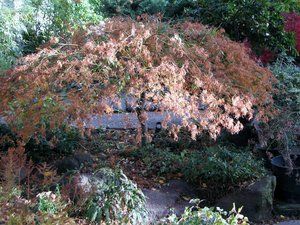 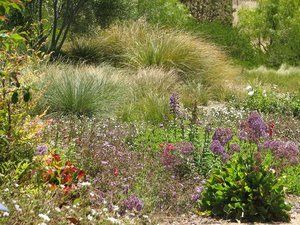 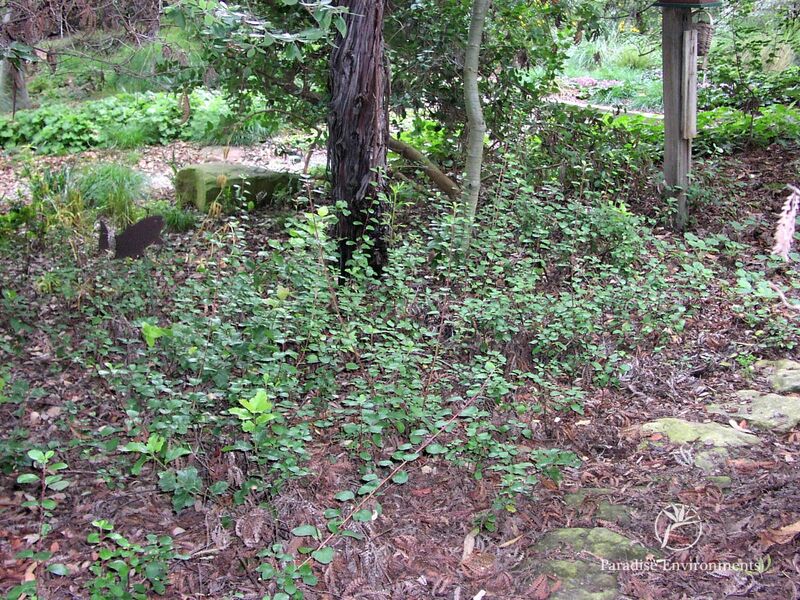 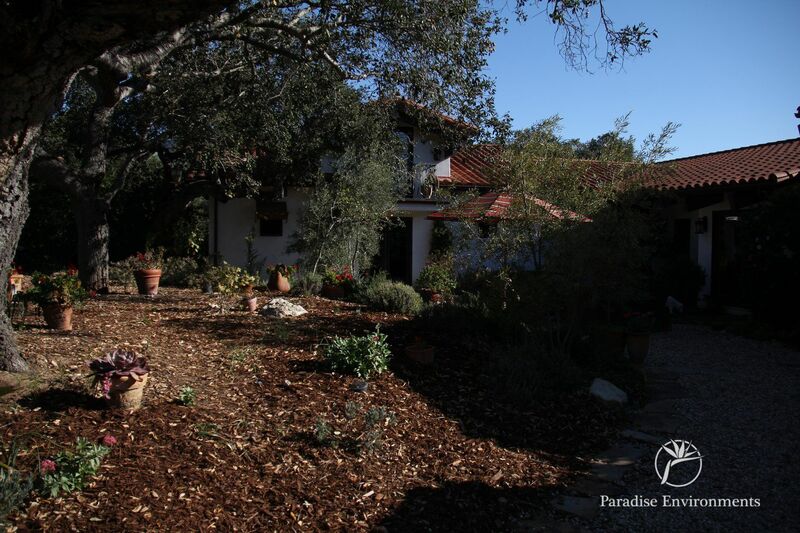 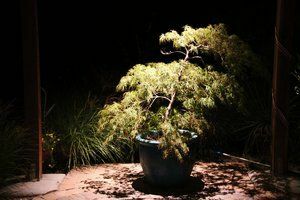 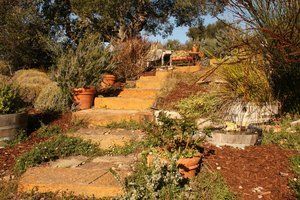 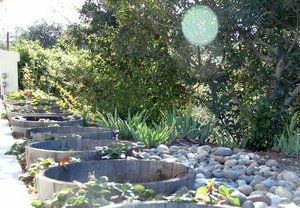 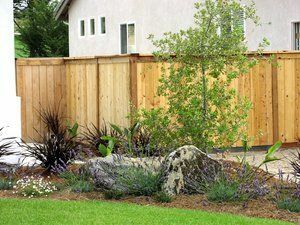 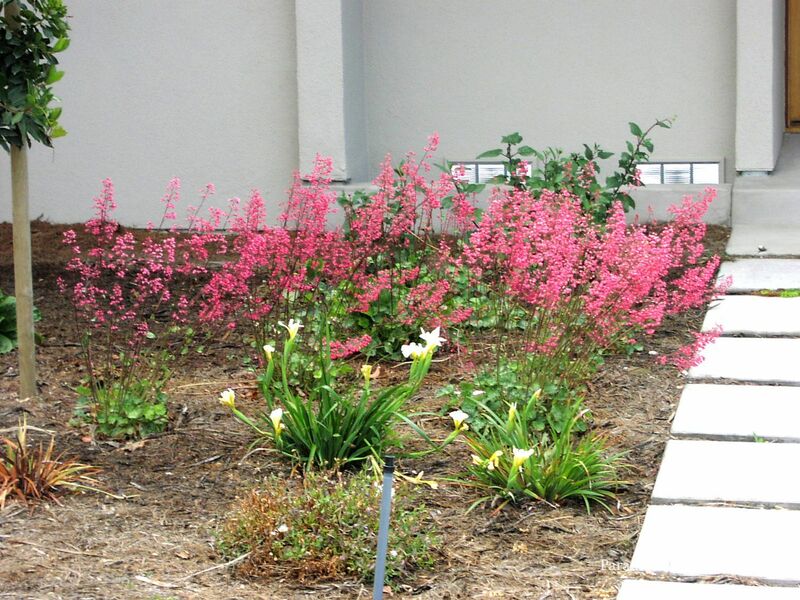 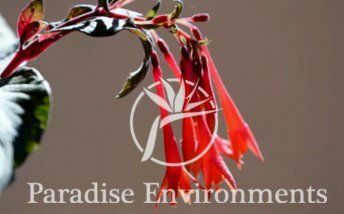 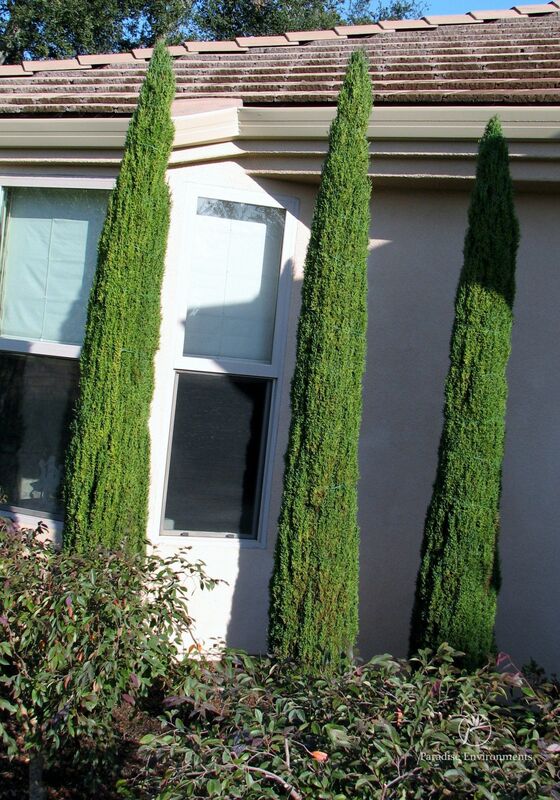 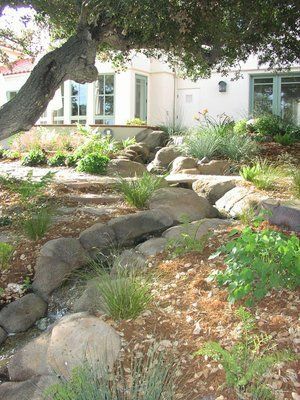 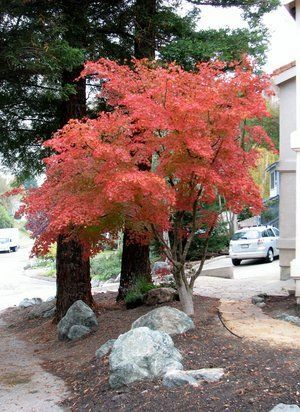 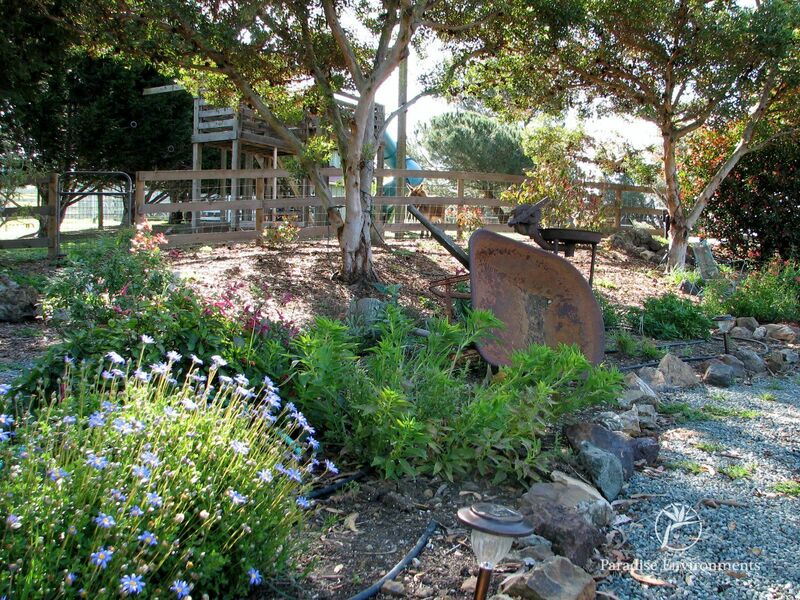 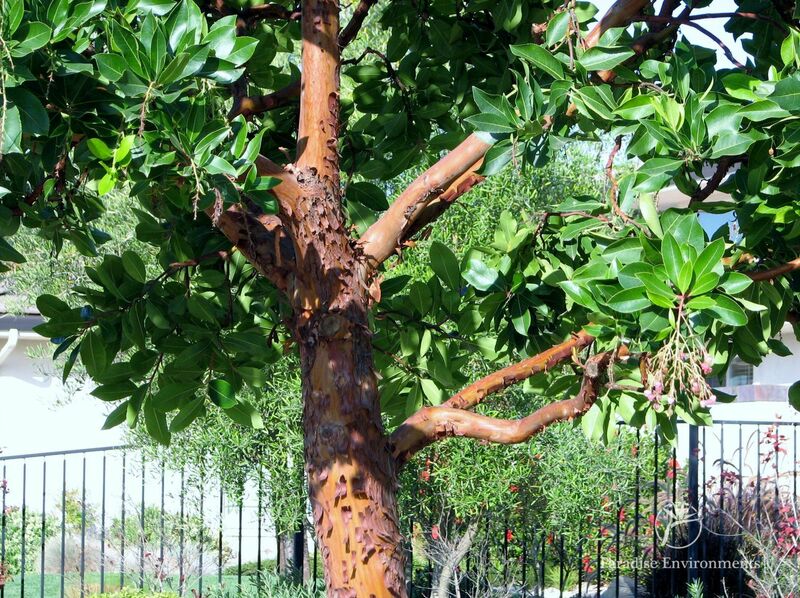 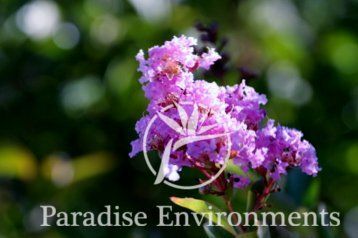 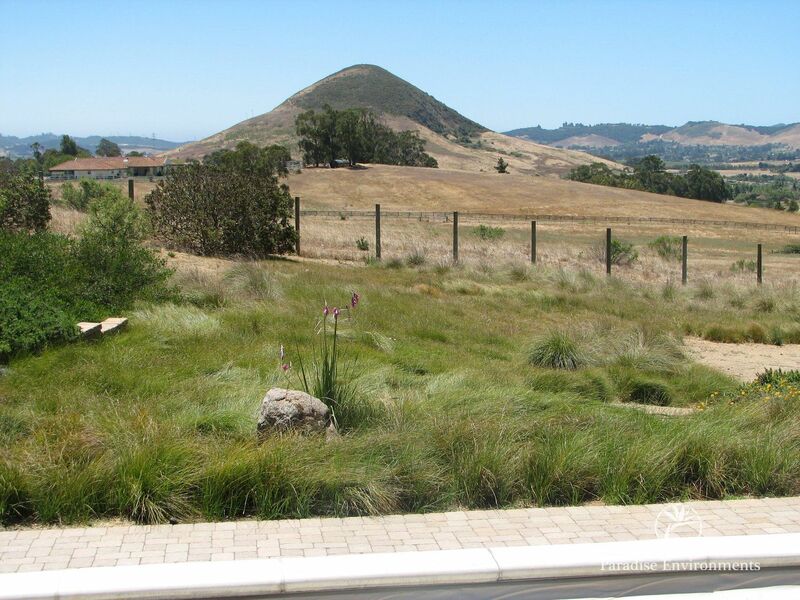 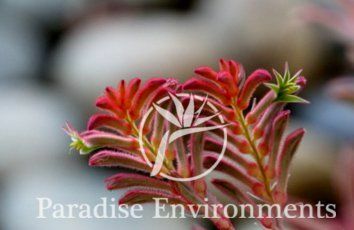 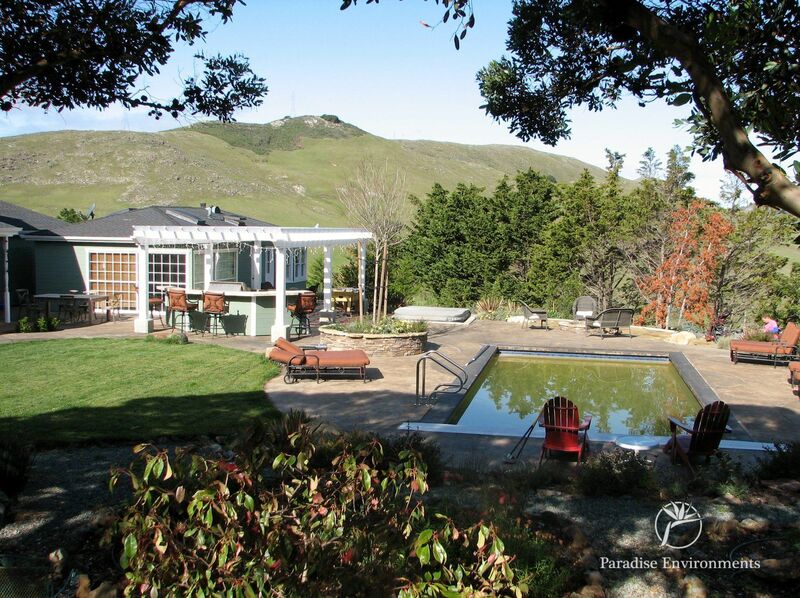 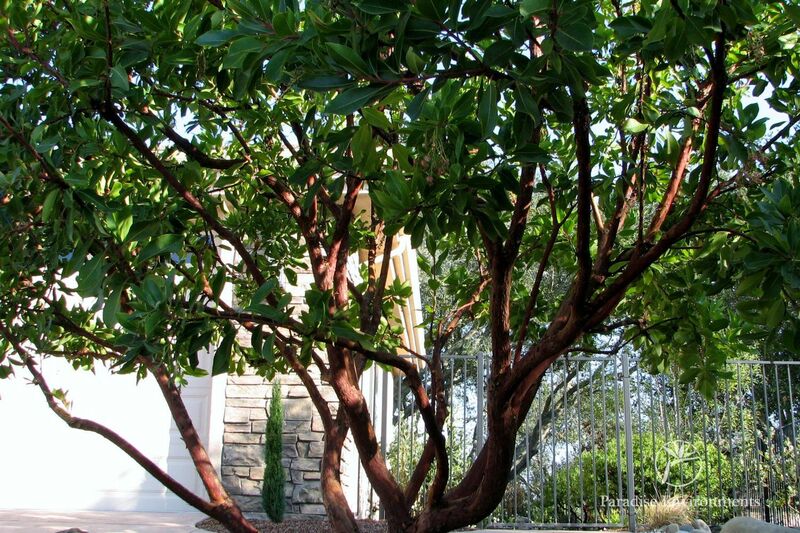 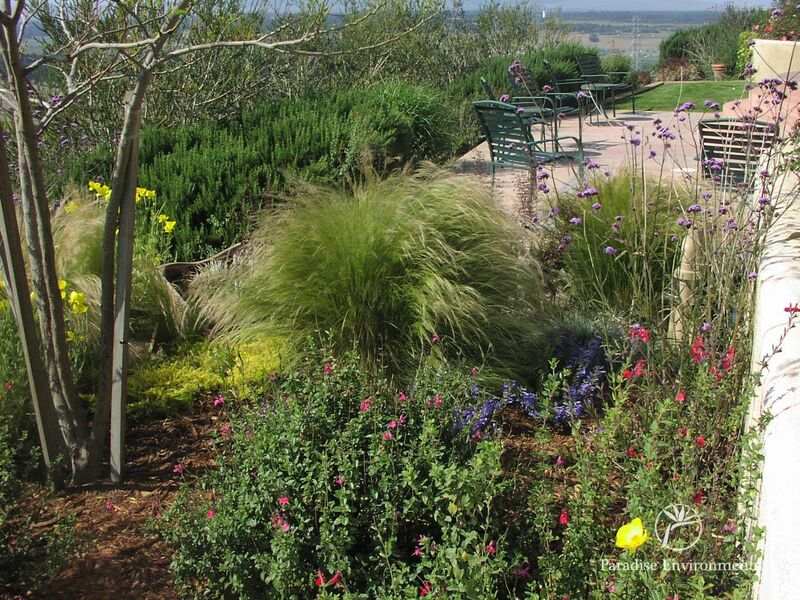 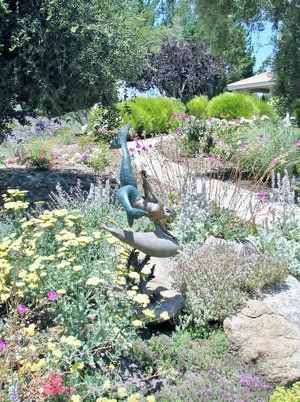 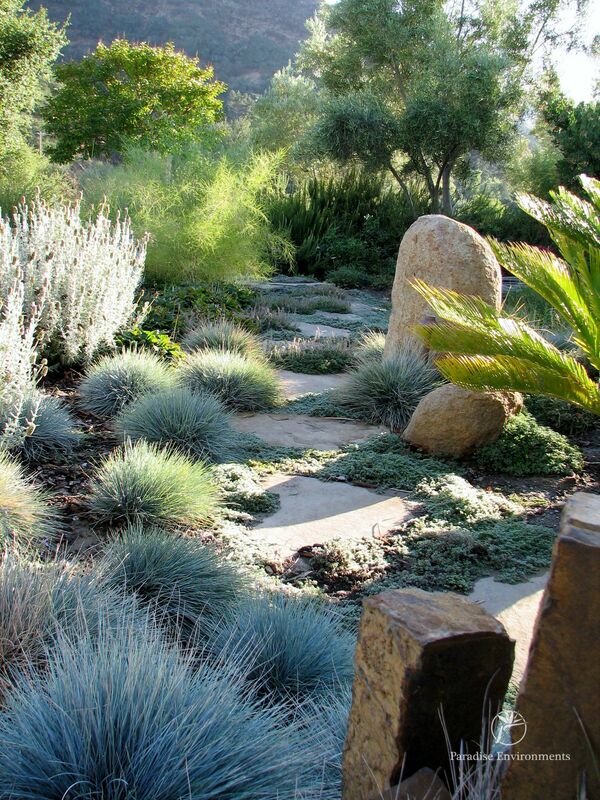 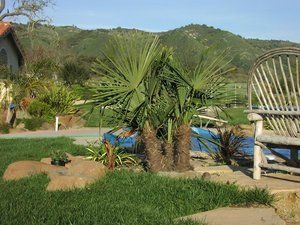 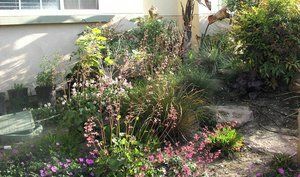 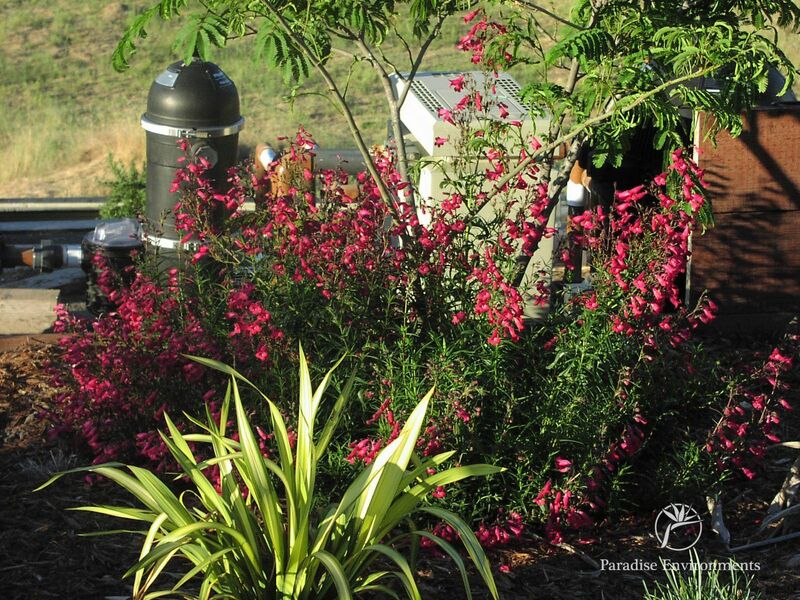 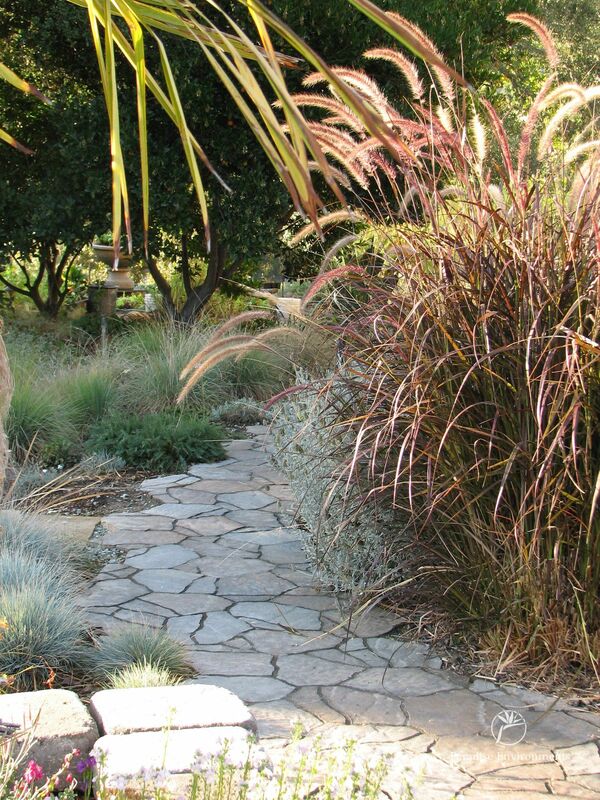 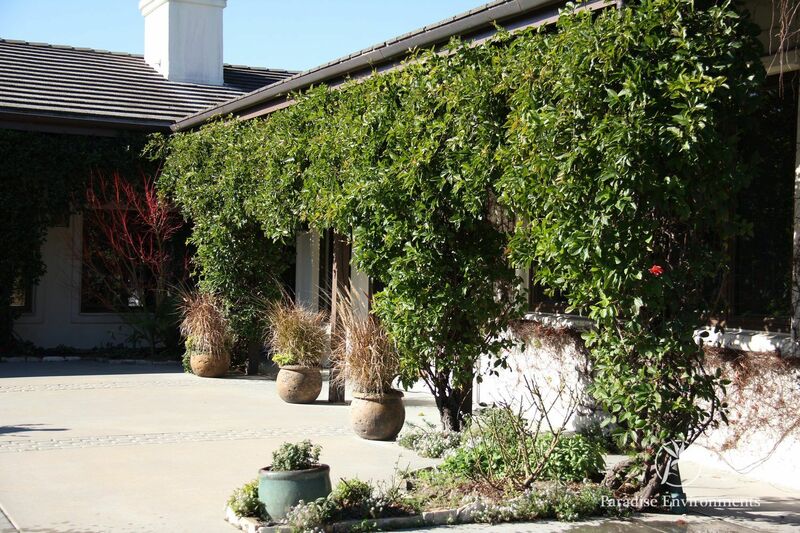 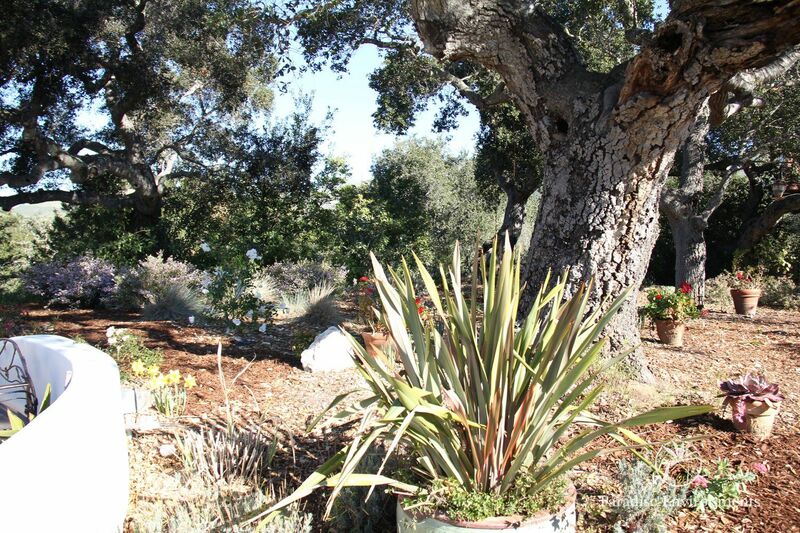 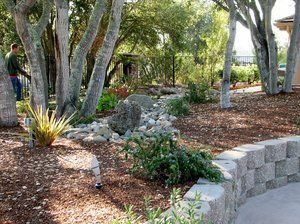 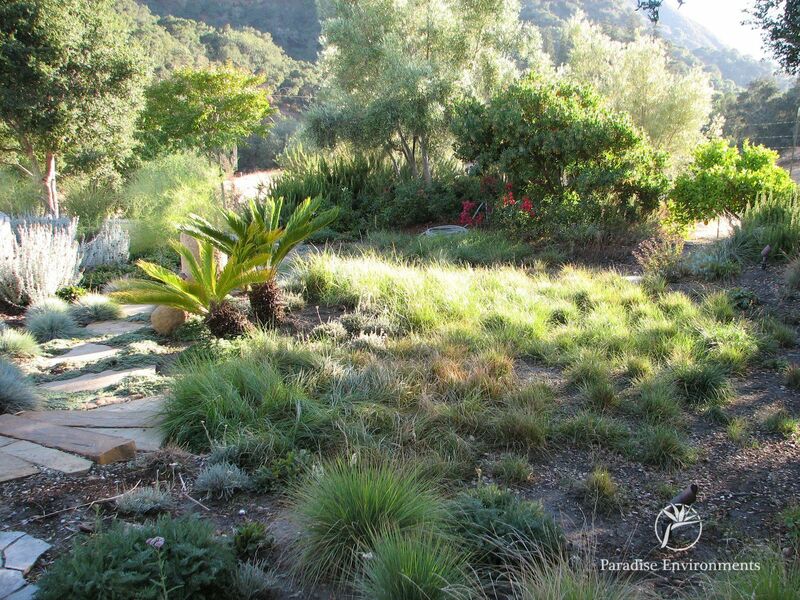 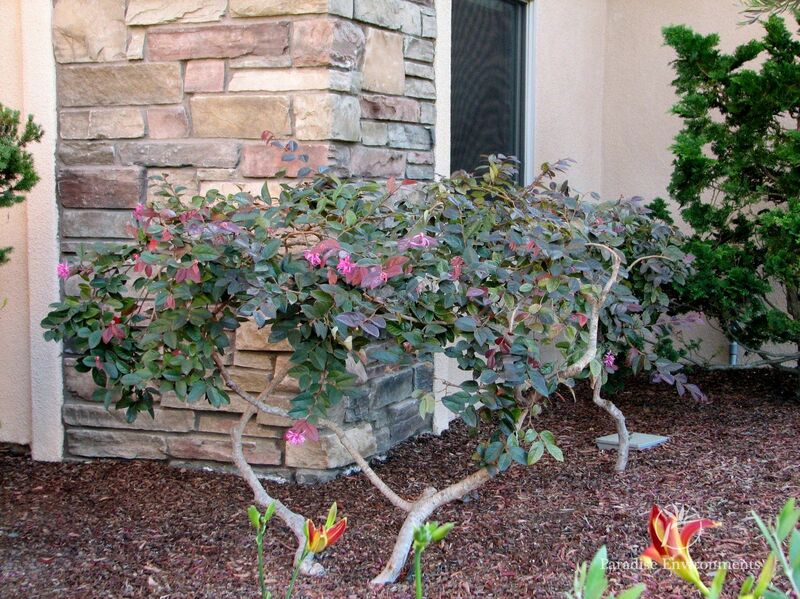 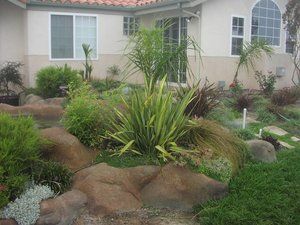 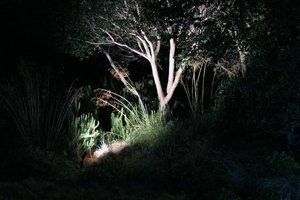 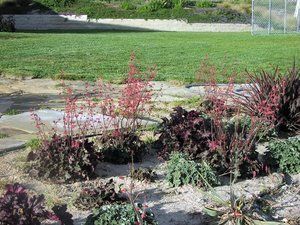 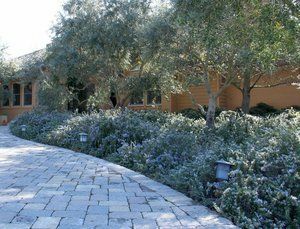 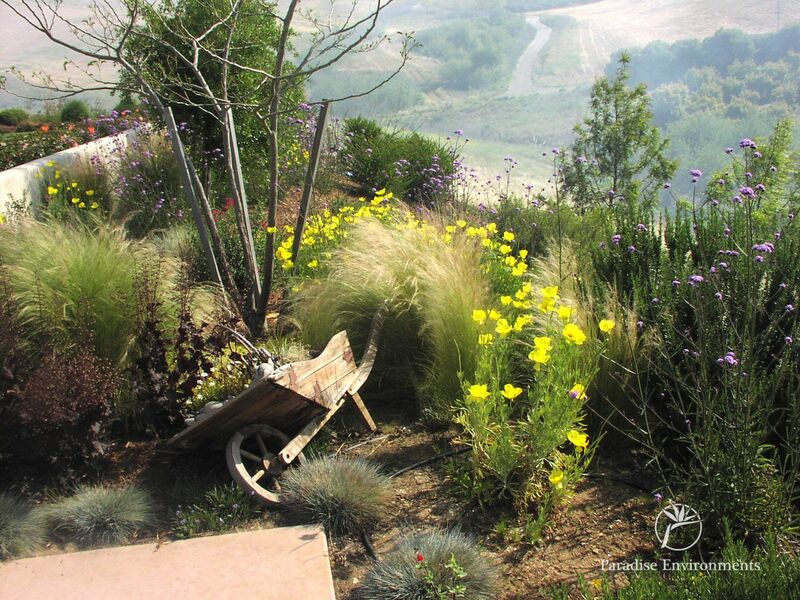 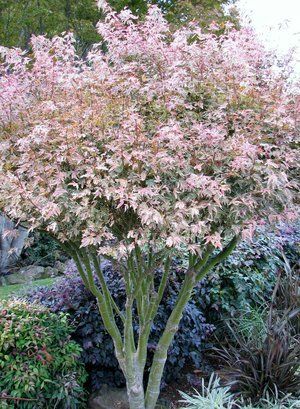 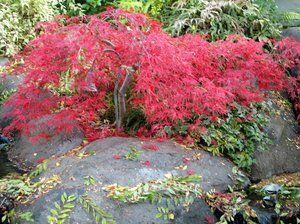 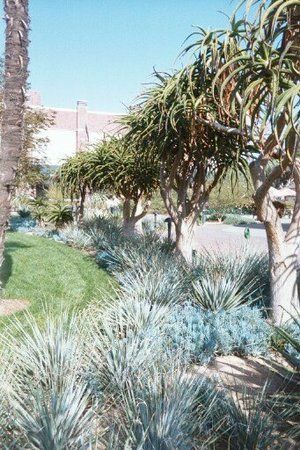 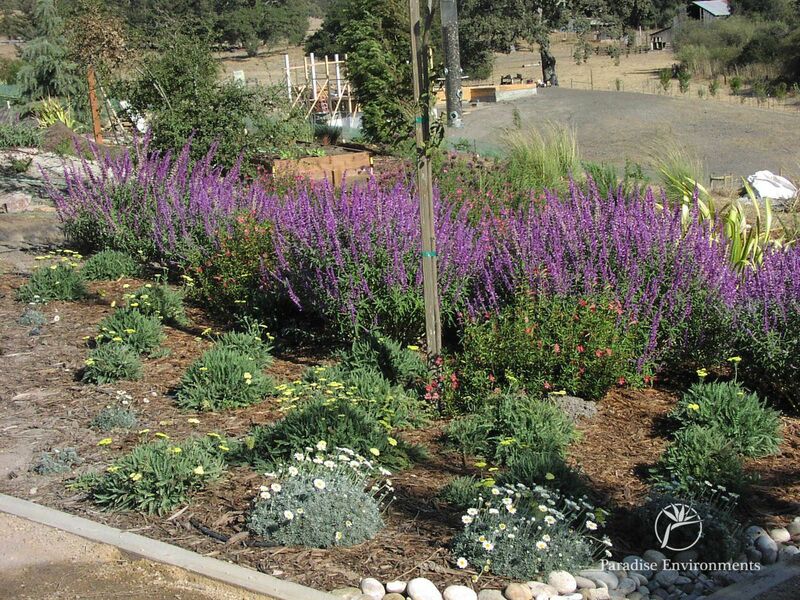 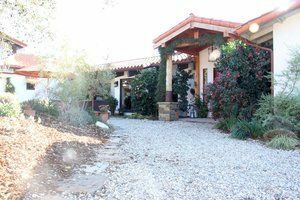 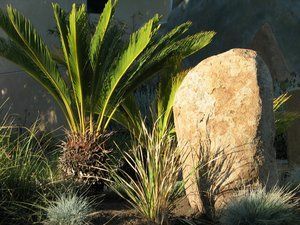 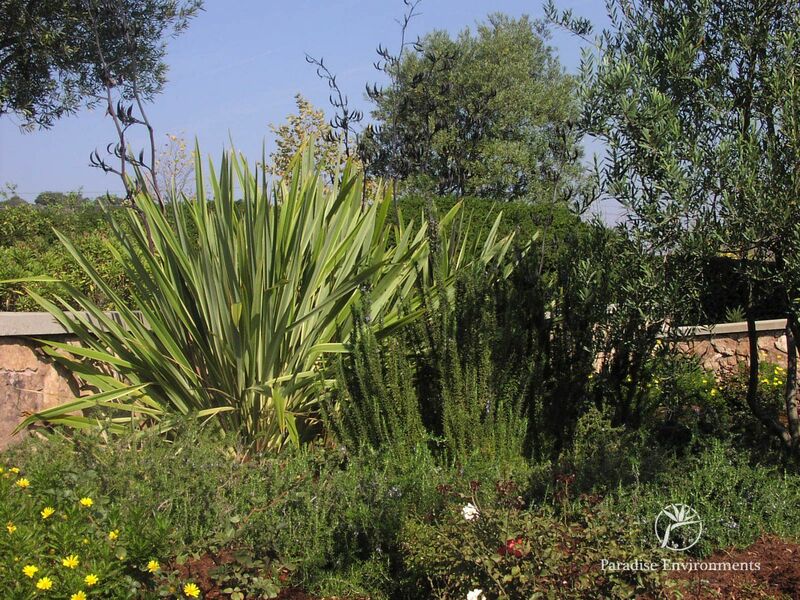 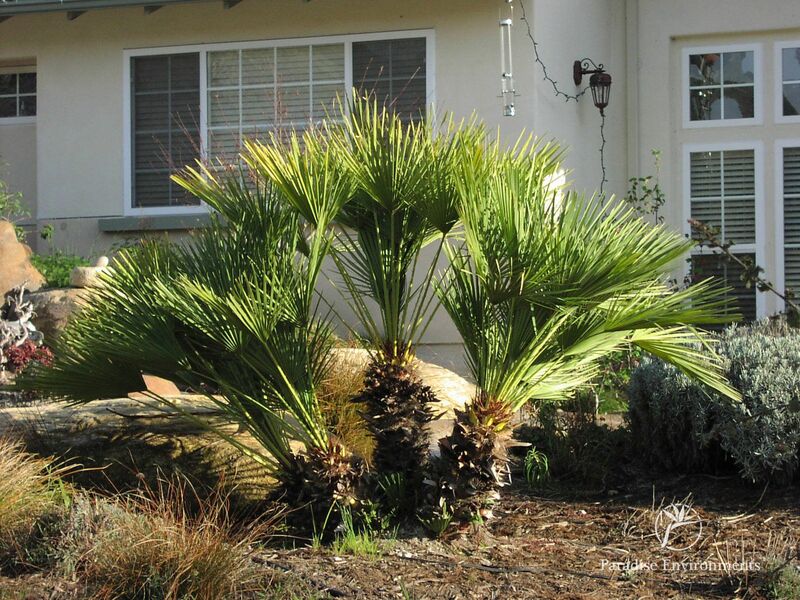 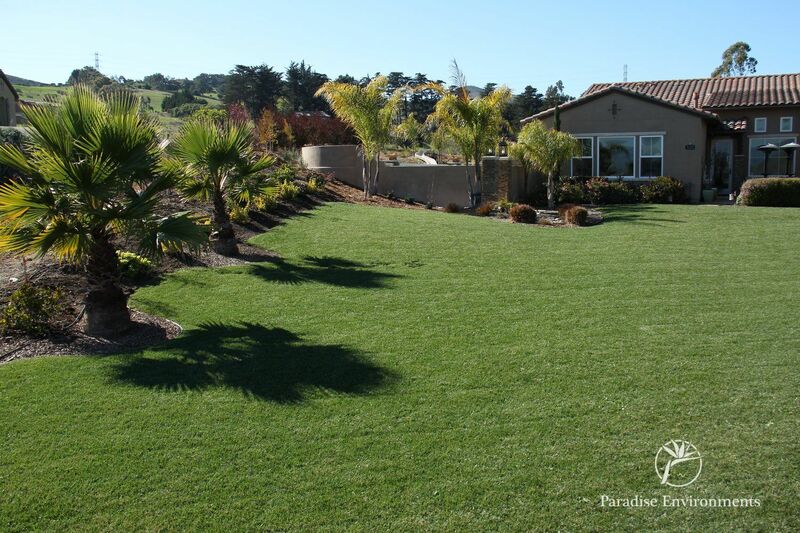 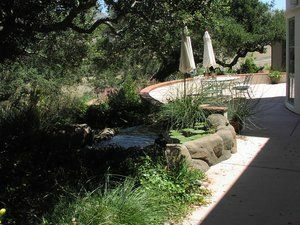 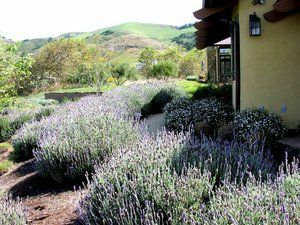 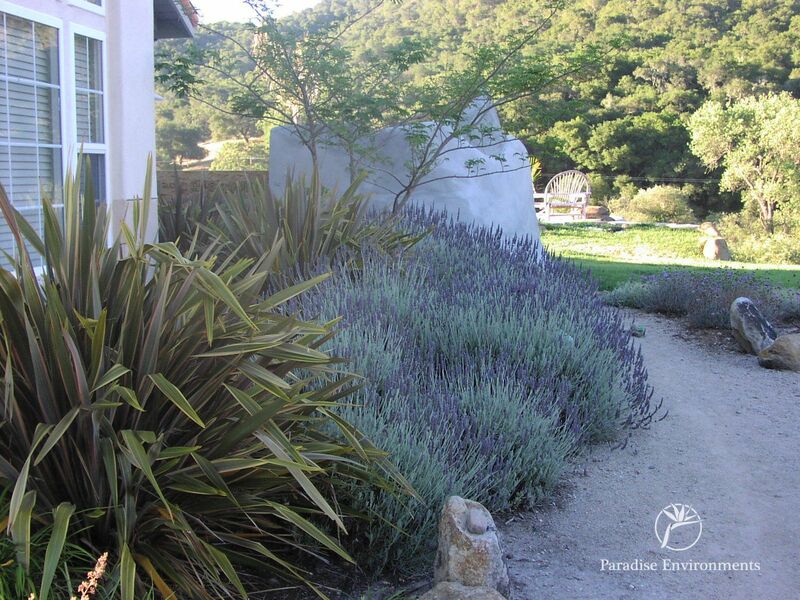 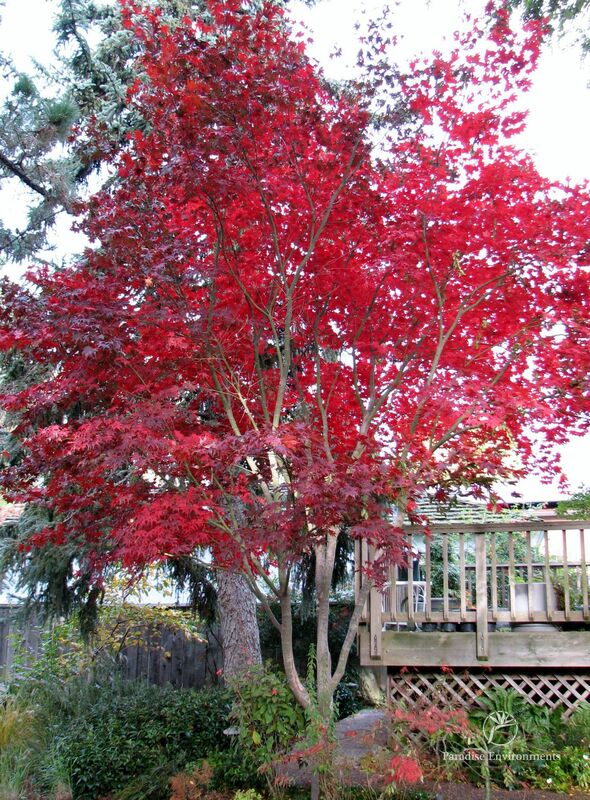 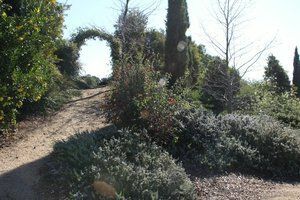 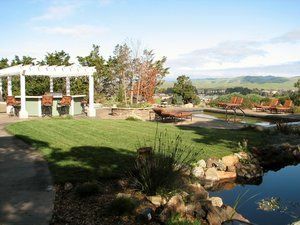 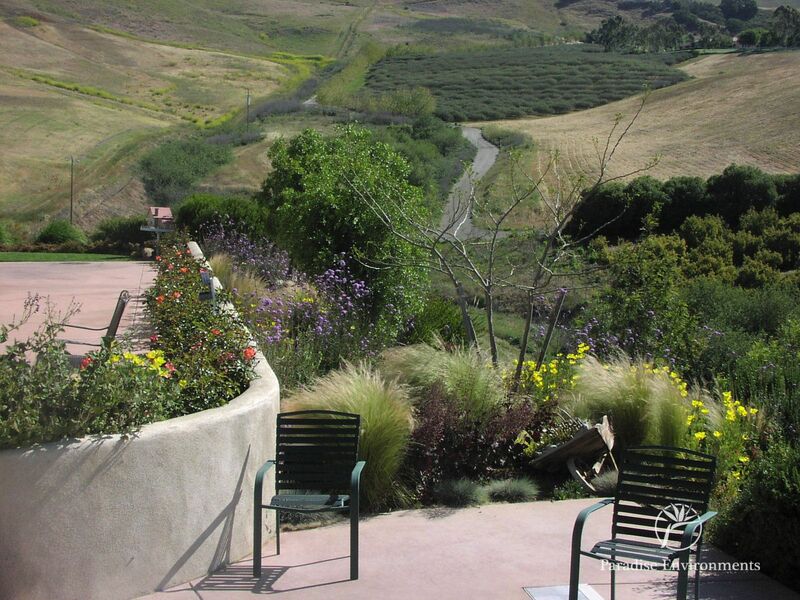 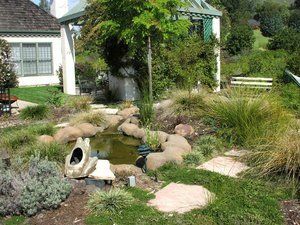 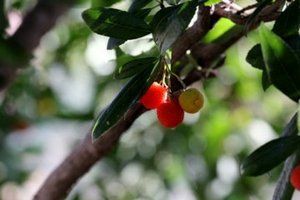 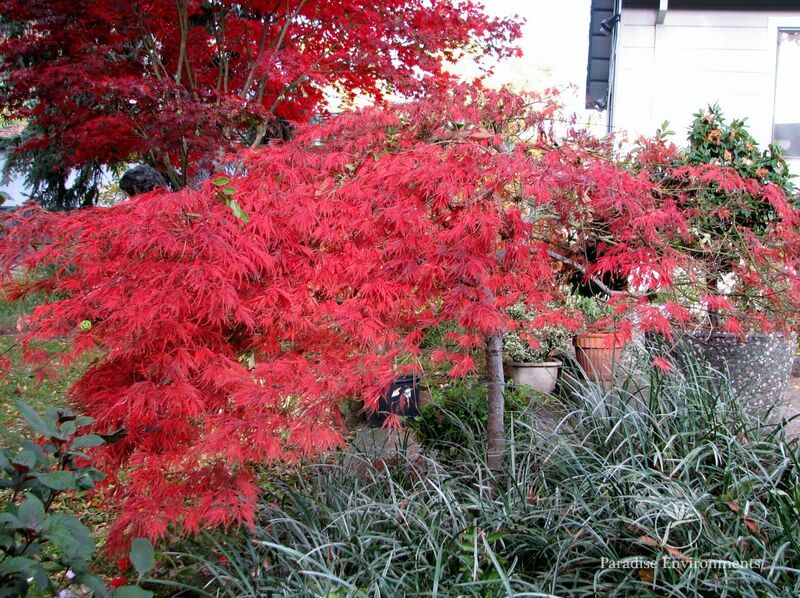 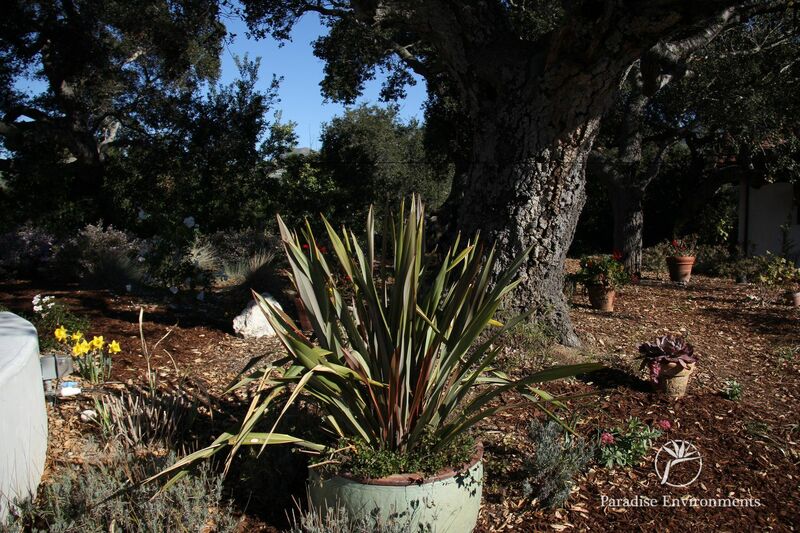 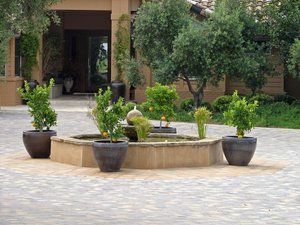 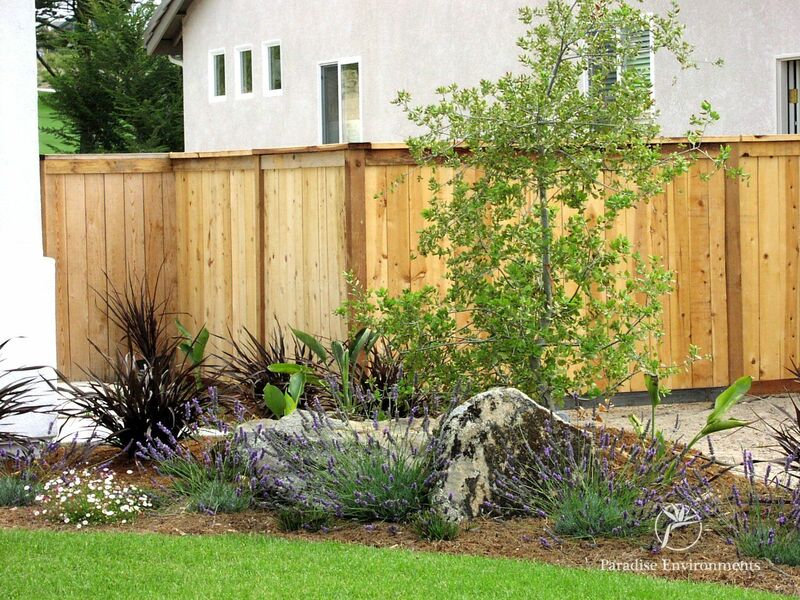 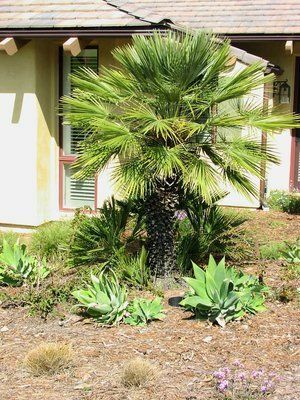 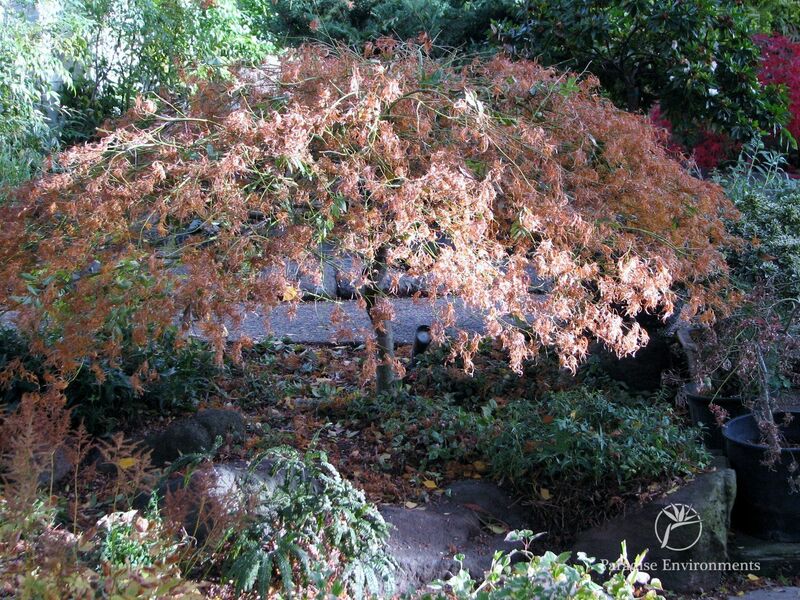 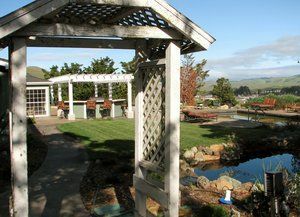 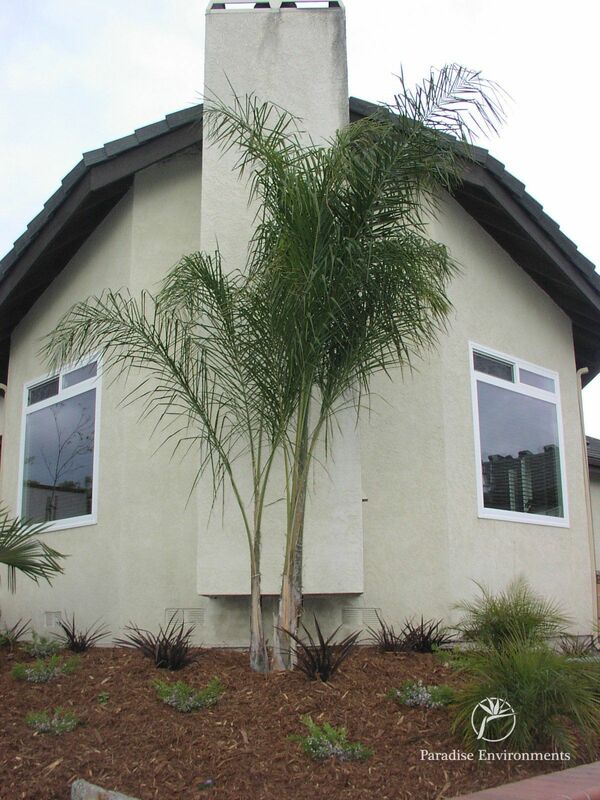 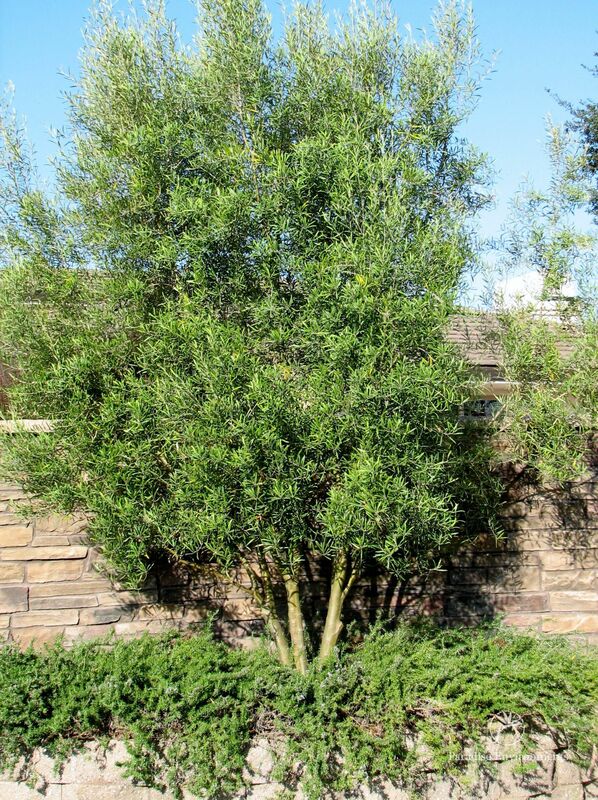 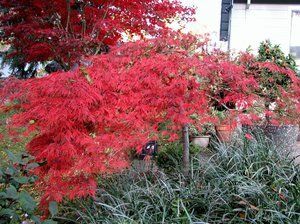 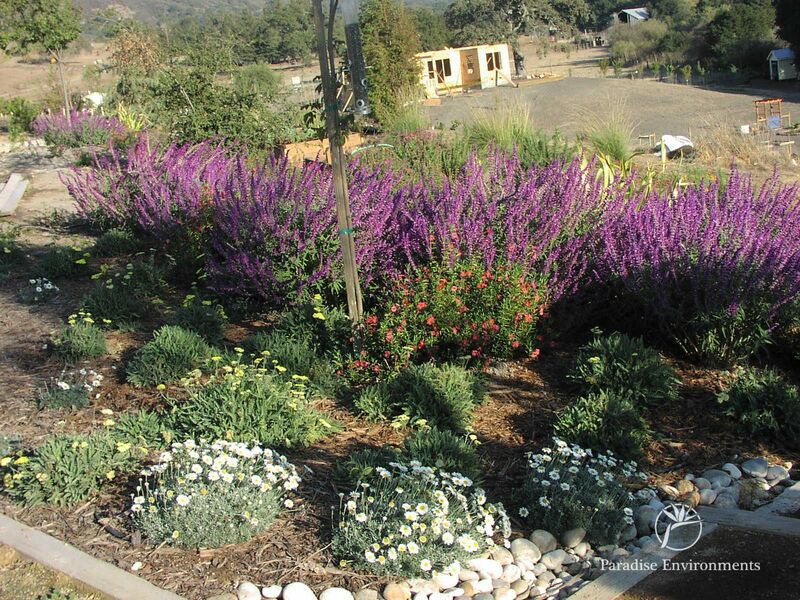 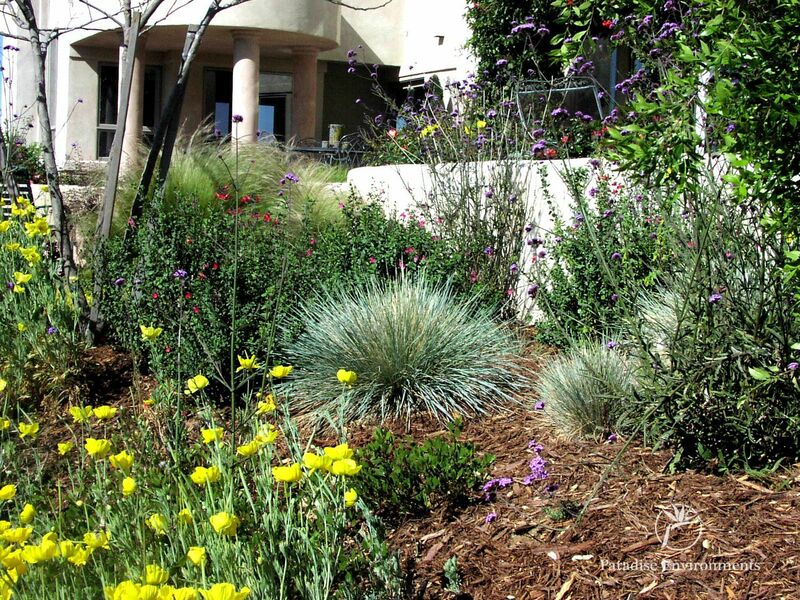 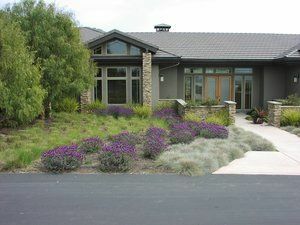 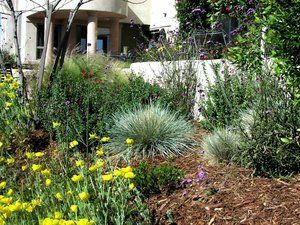 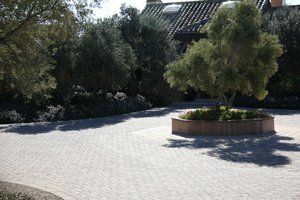 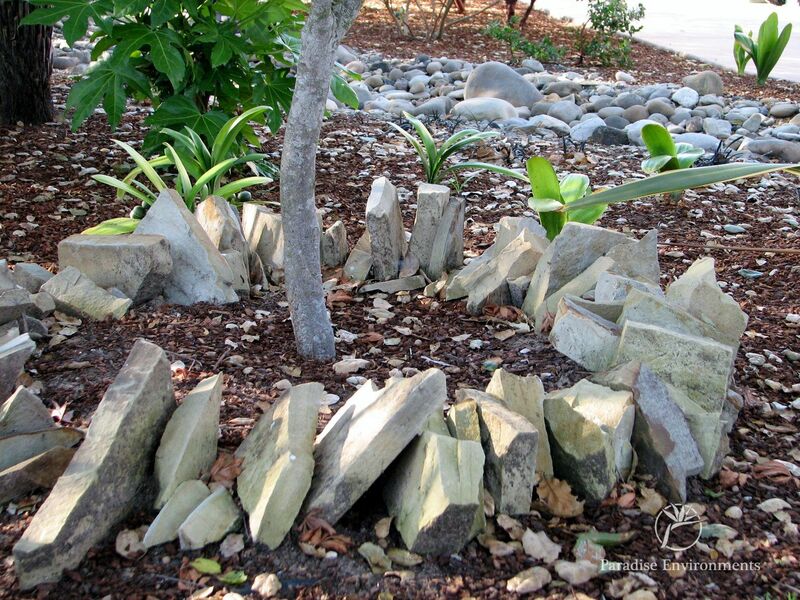 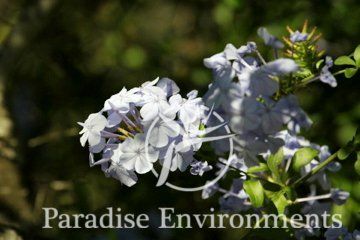 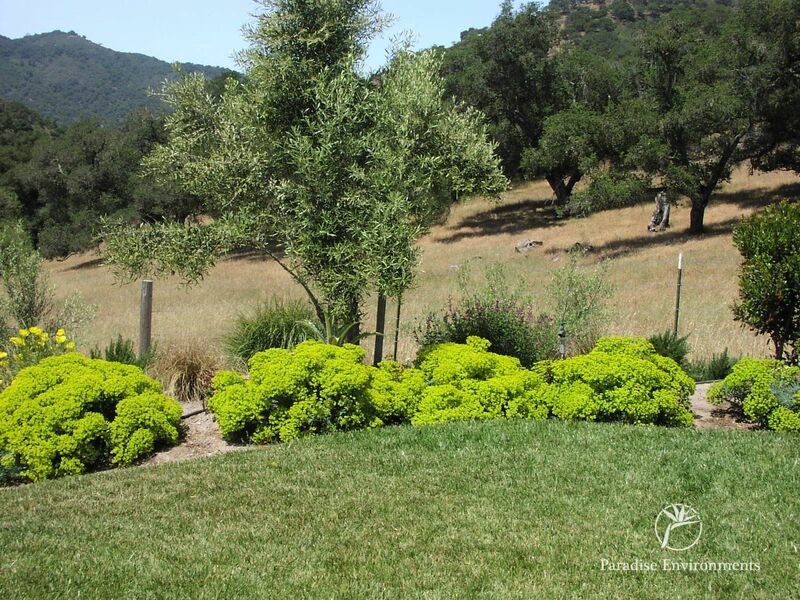 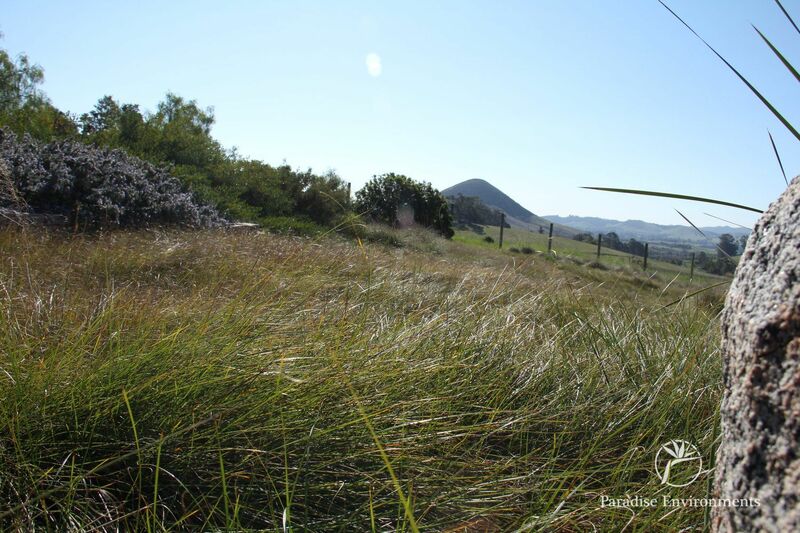 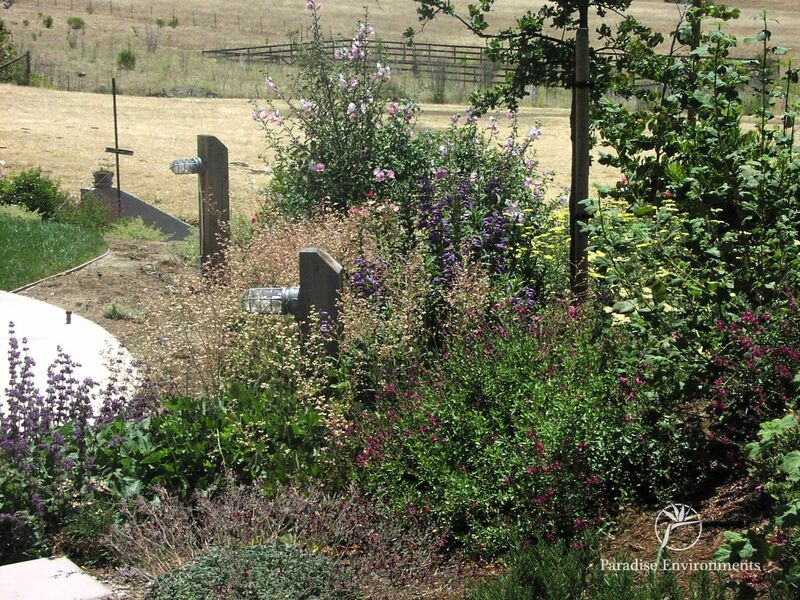 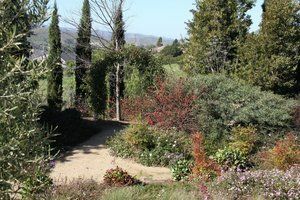 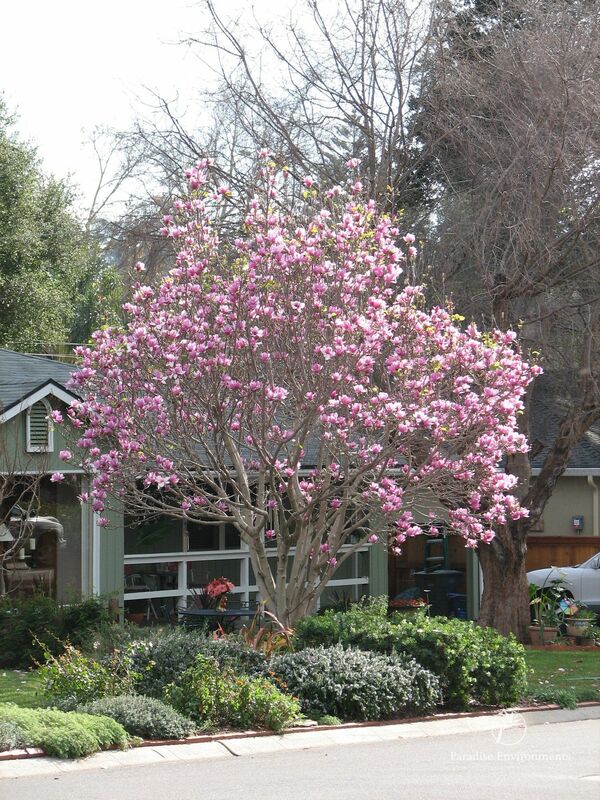 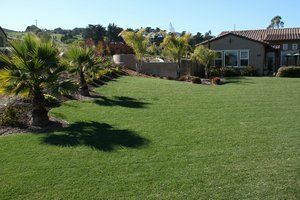 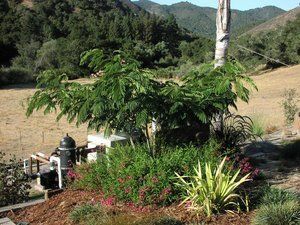 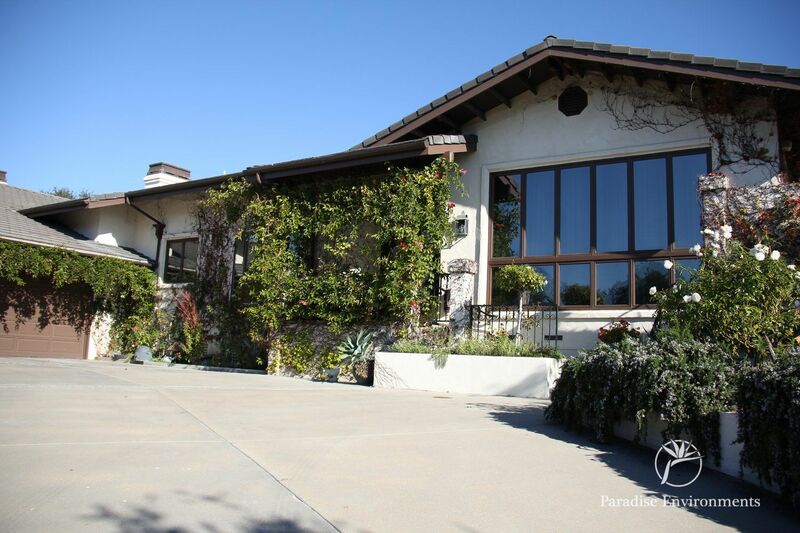 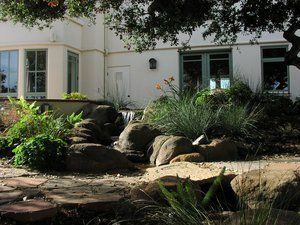 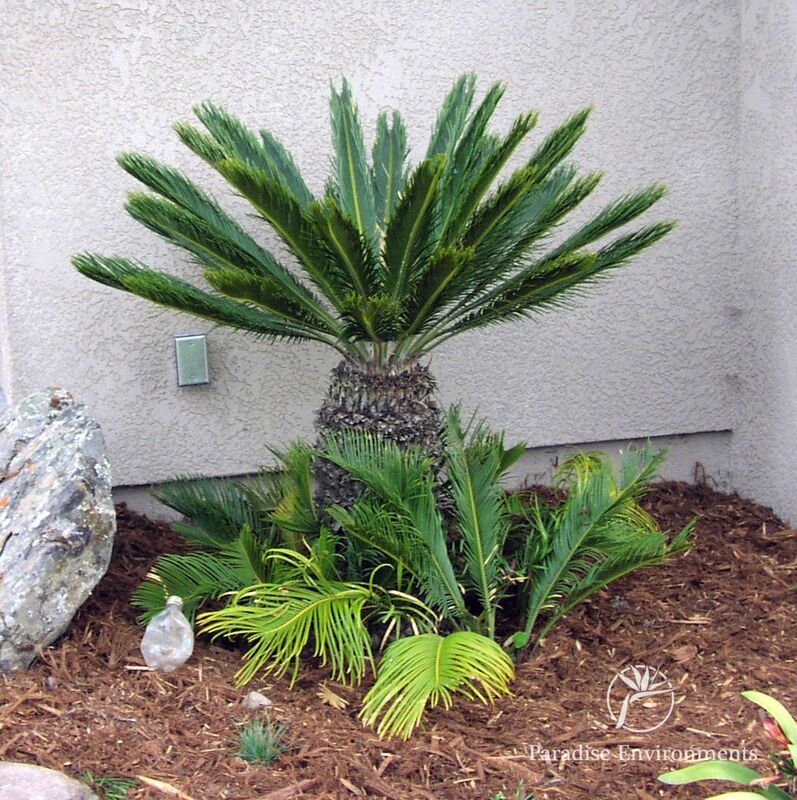 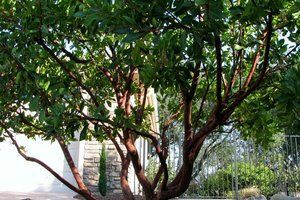 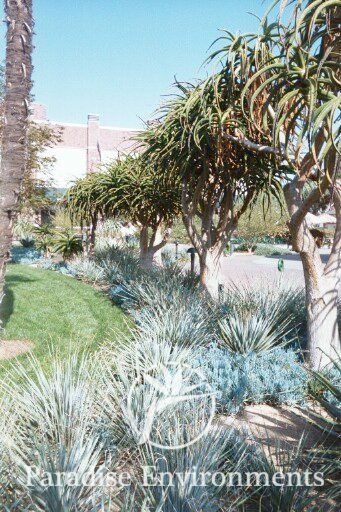 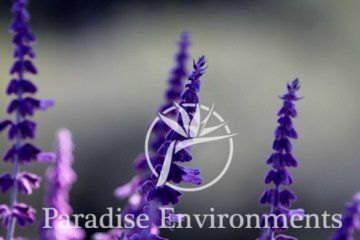 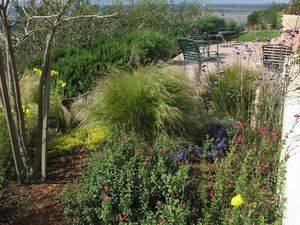 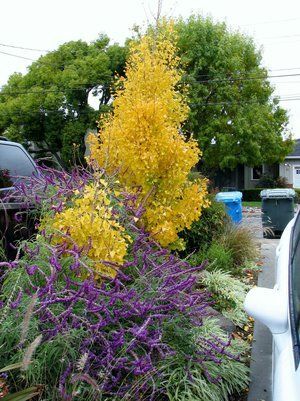 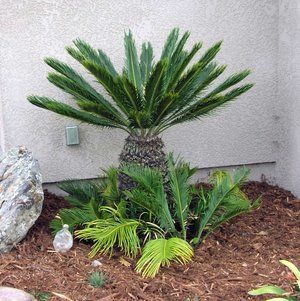 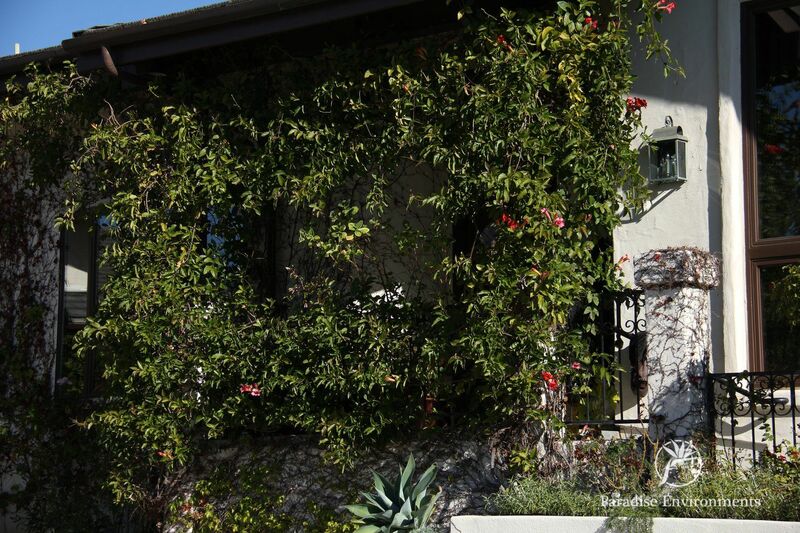 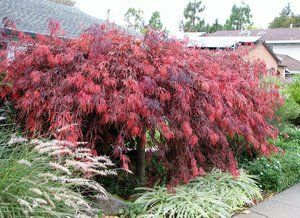 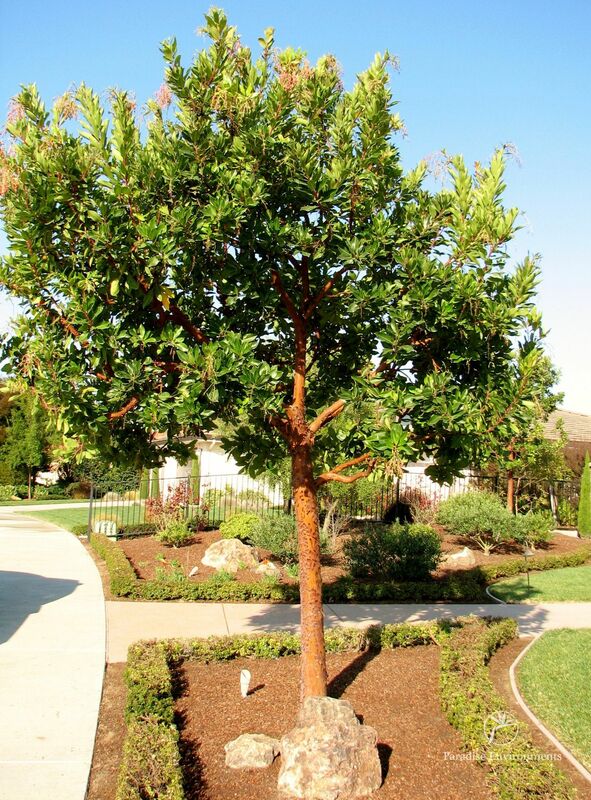 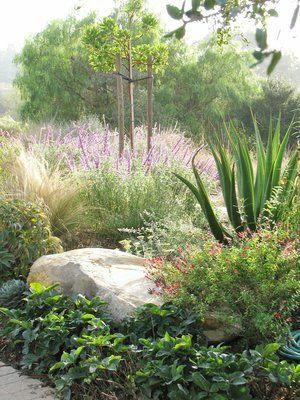 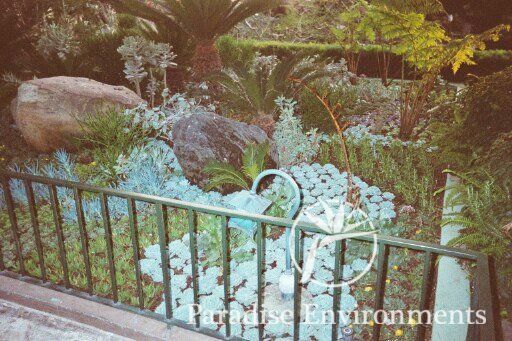 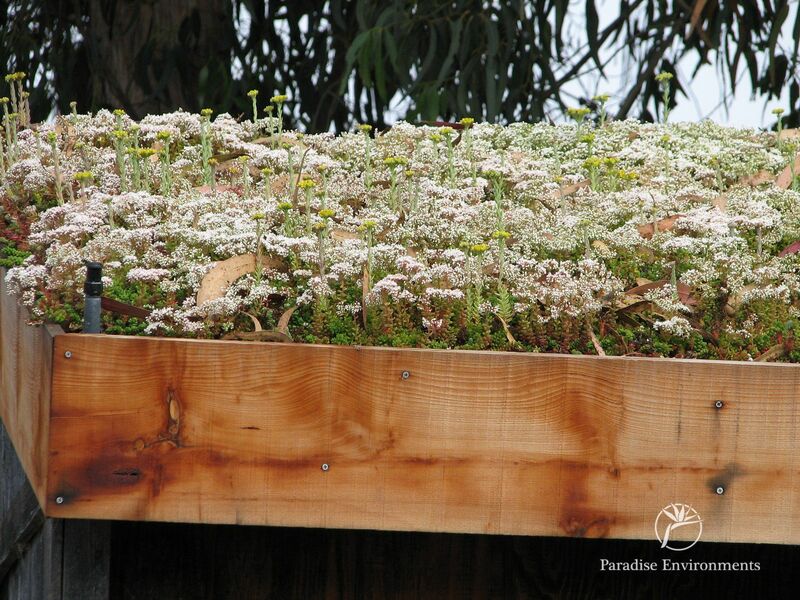 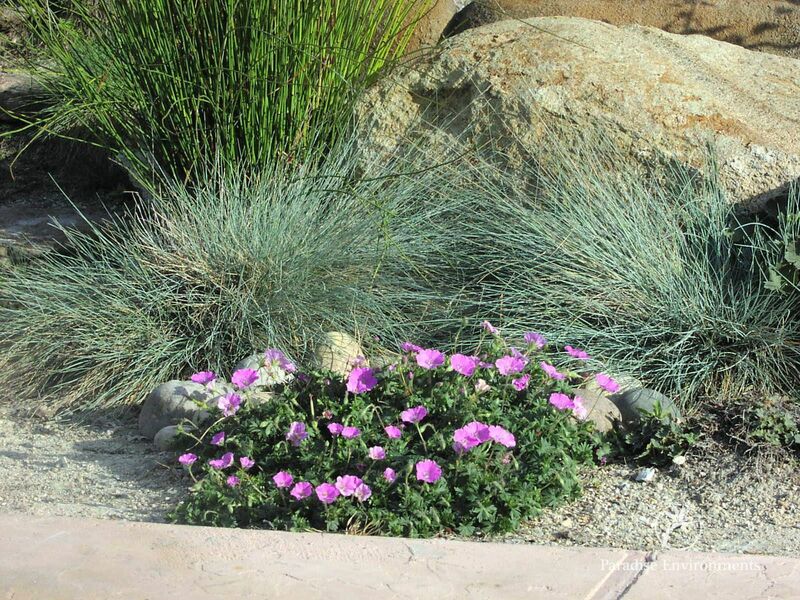 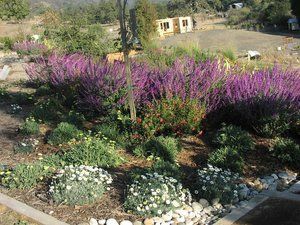 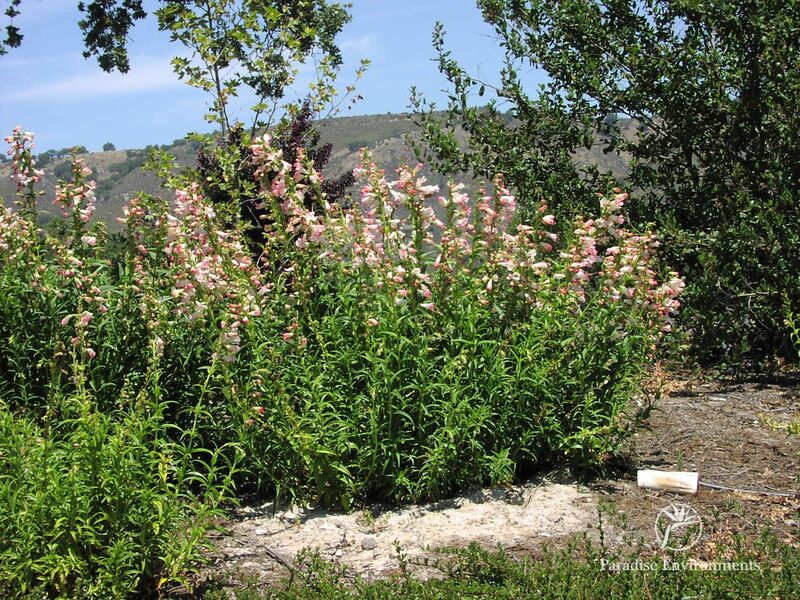 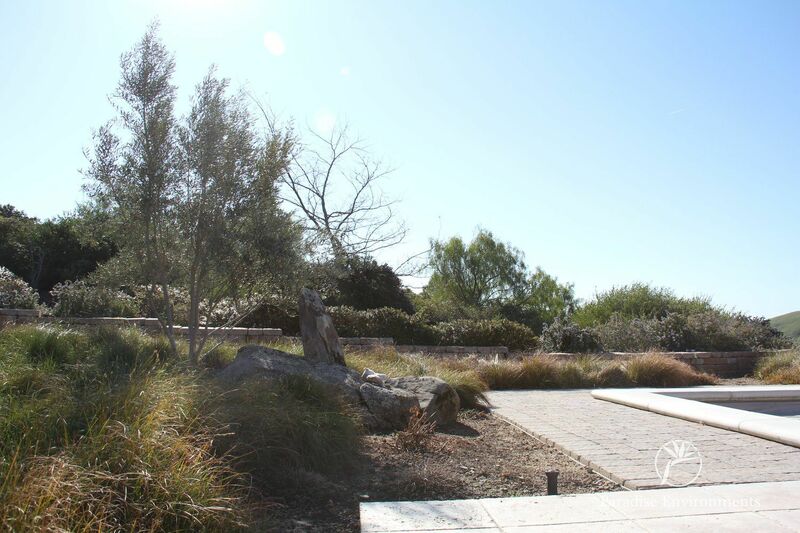 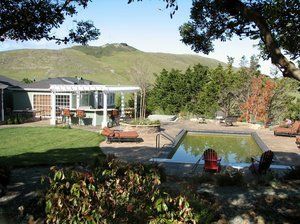 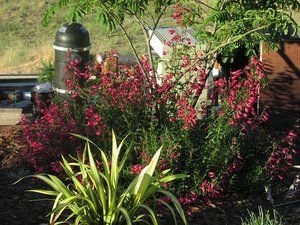 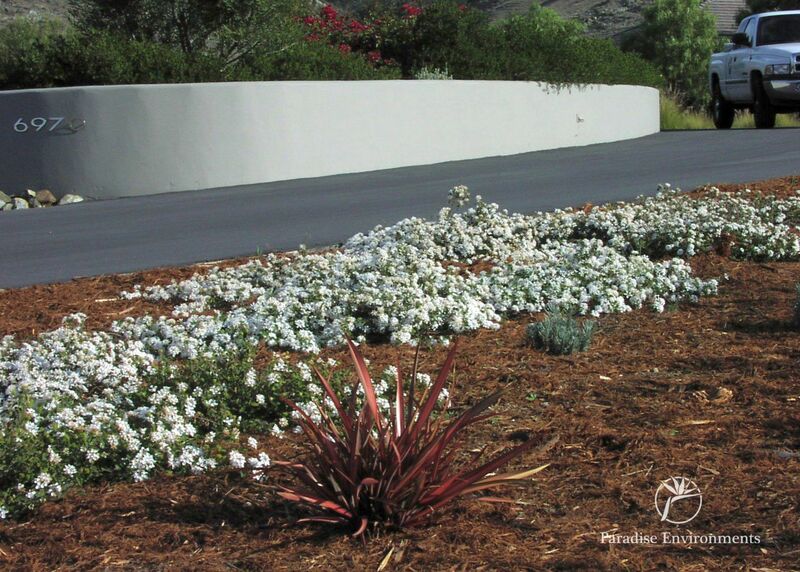 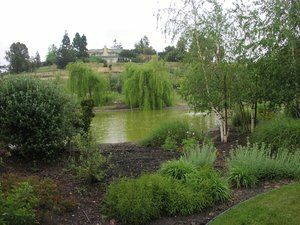 Unlike a more traditional landscape company, we specialize in using native trees, shrubs, grasses and other plants we've found that adapt well to California's many different microclimates. 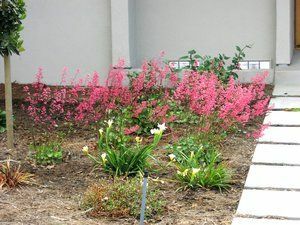 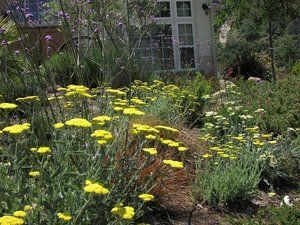 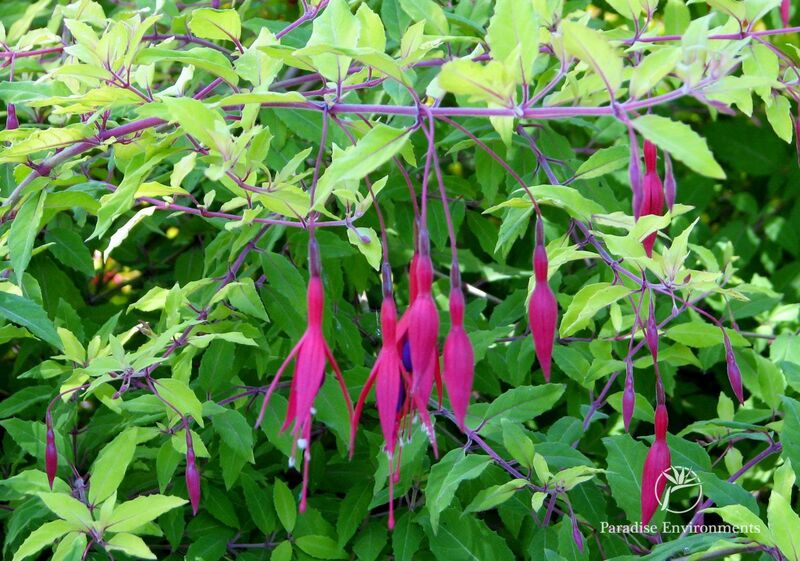 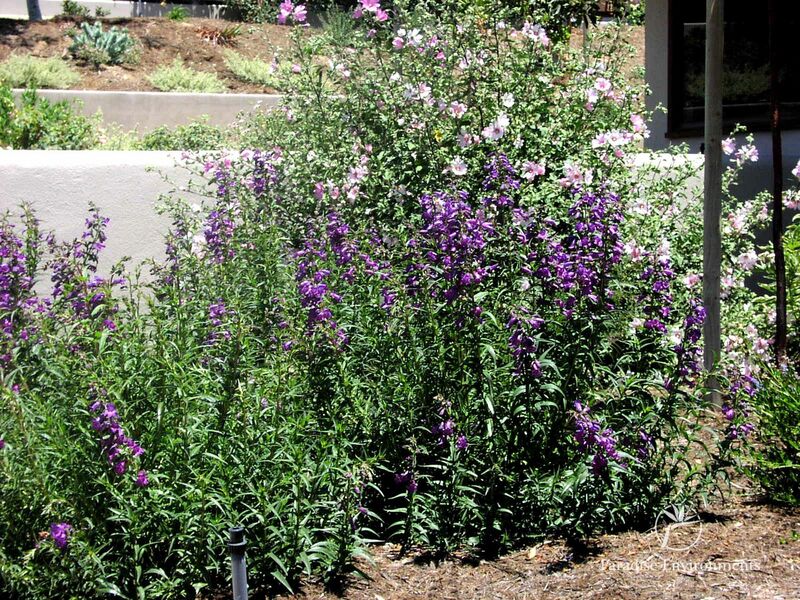 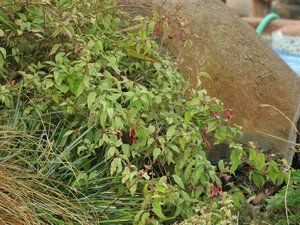 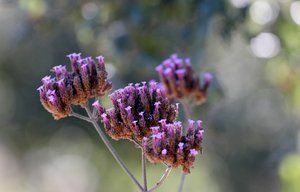 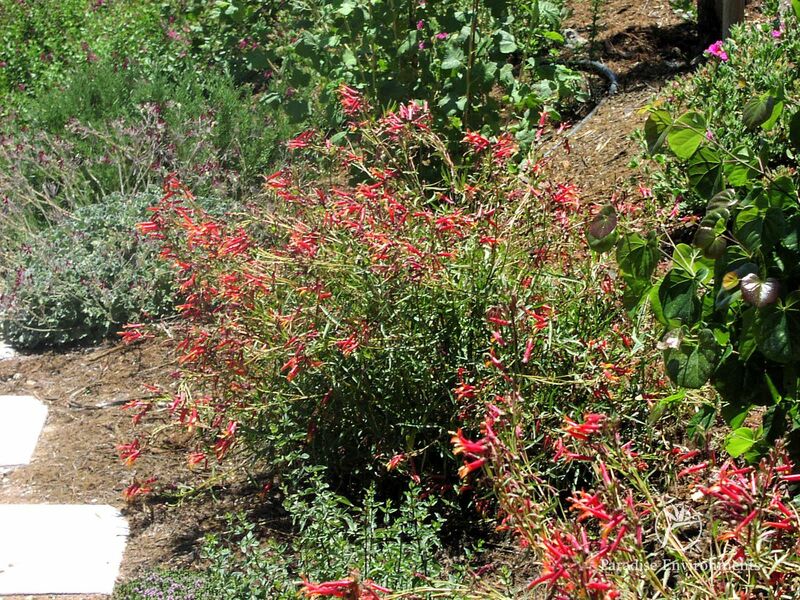 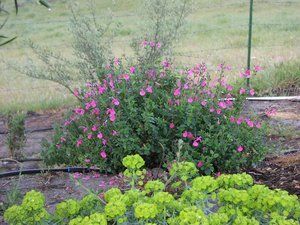 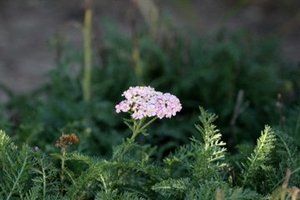 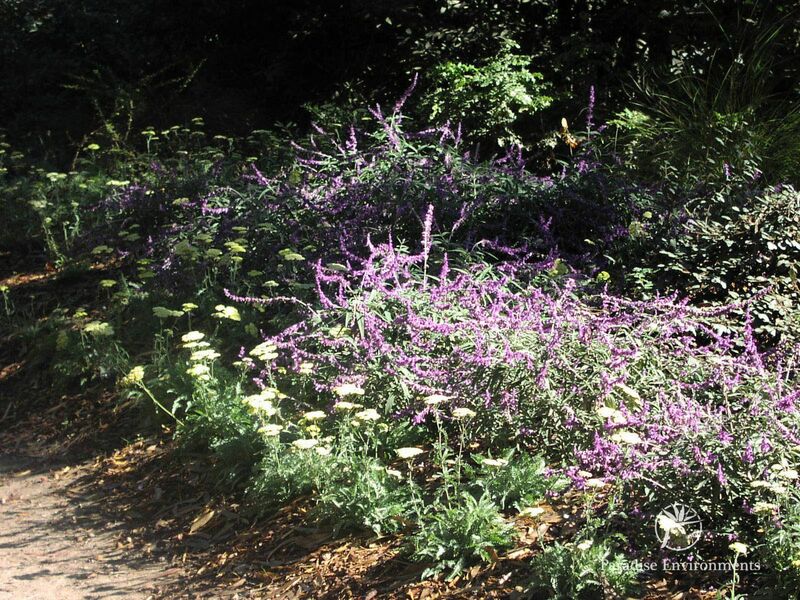 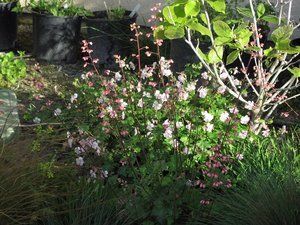 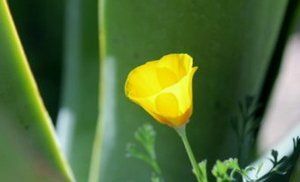 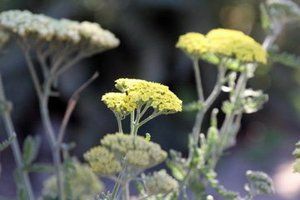 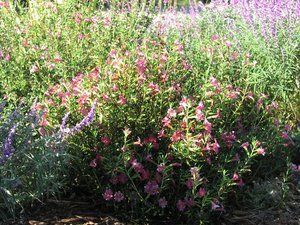 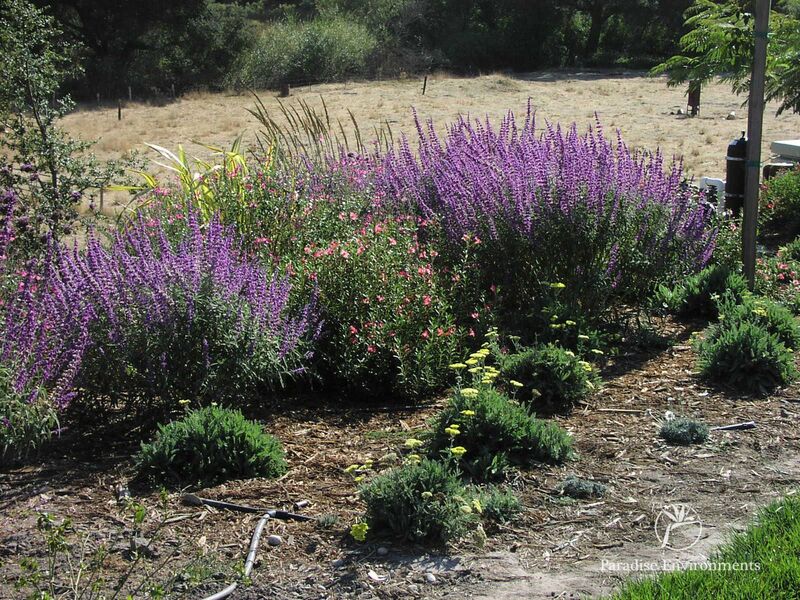 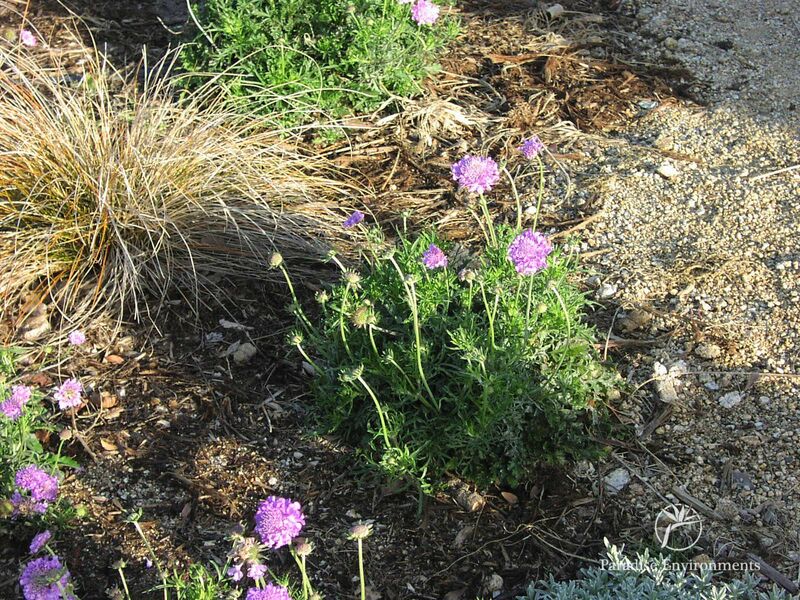 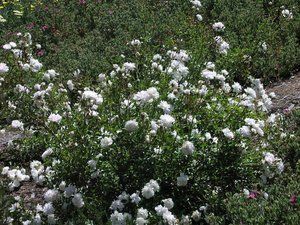 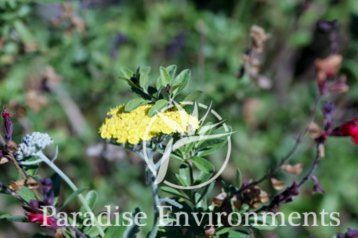 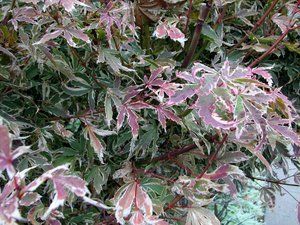 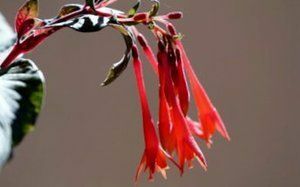 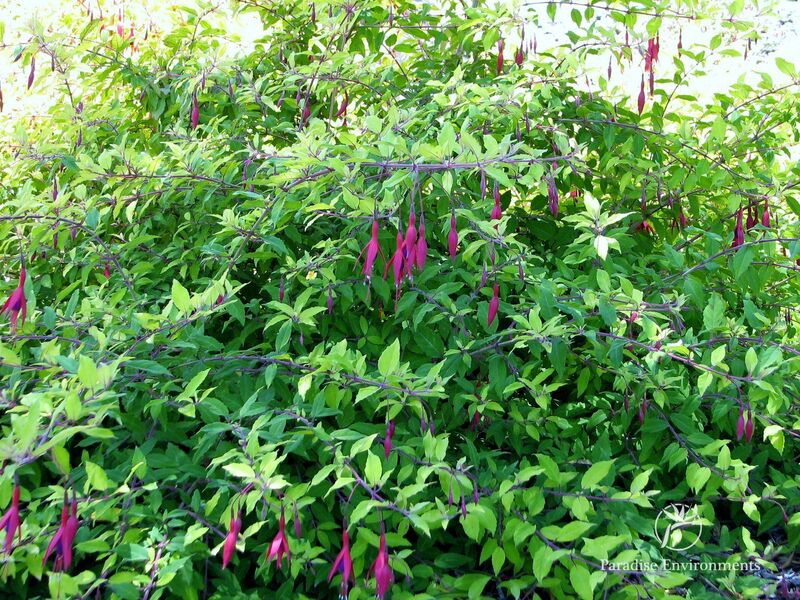 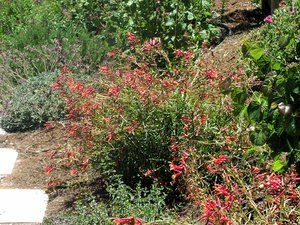 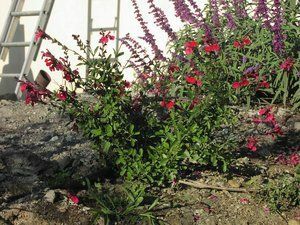 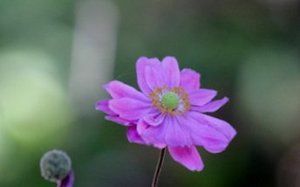 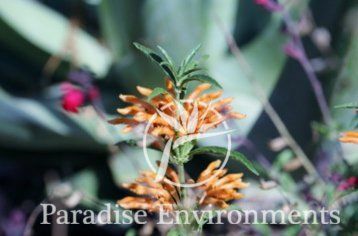 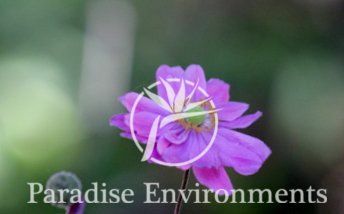 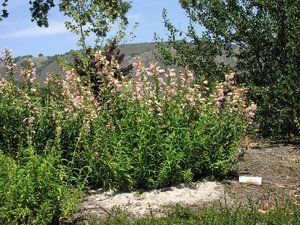 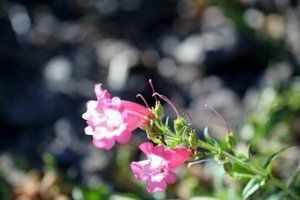 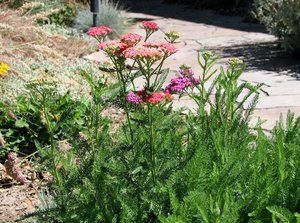 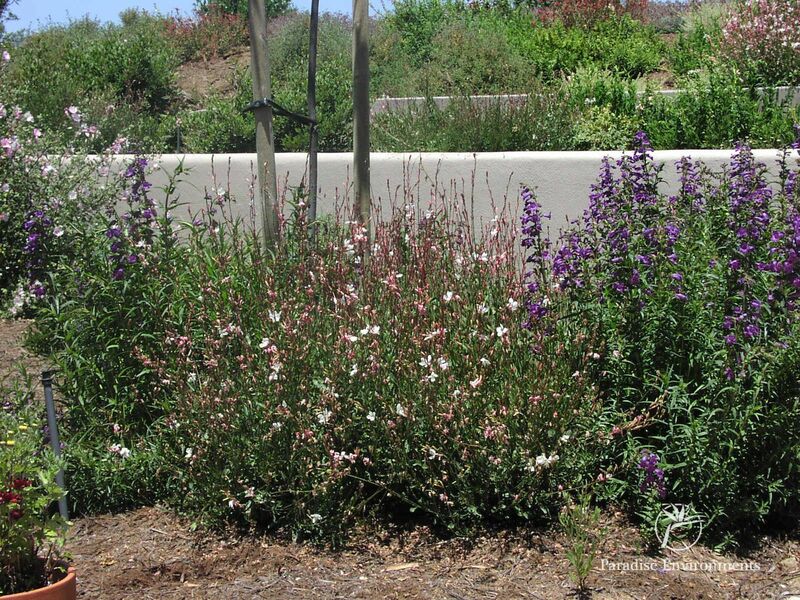 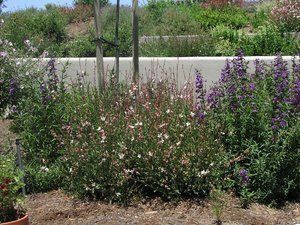 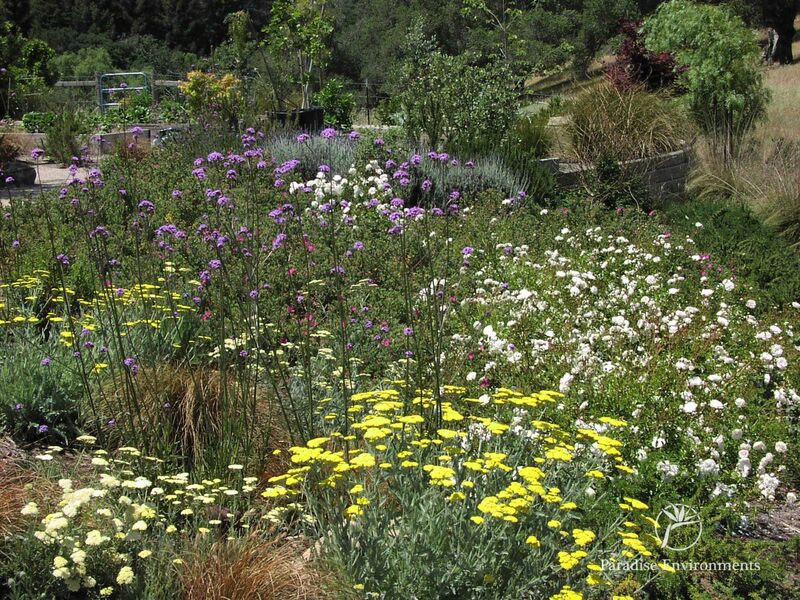 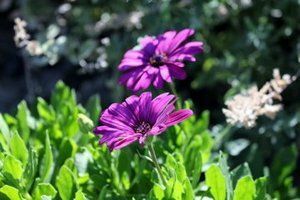 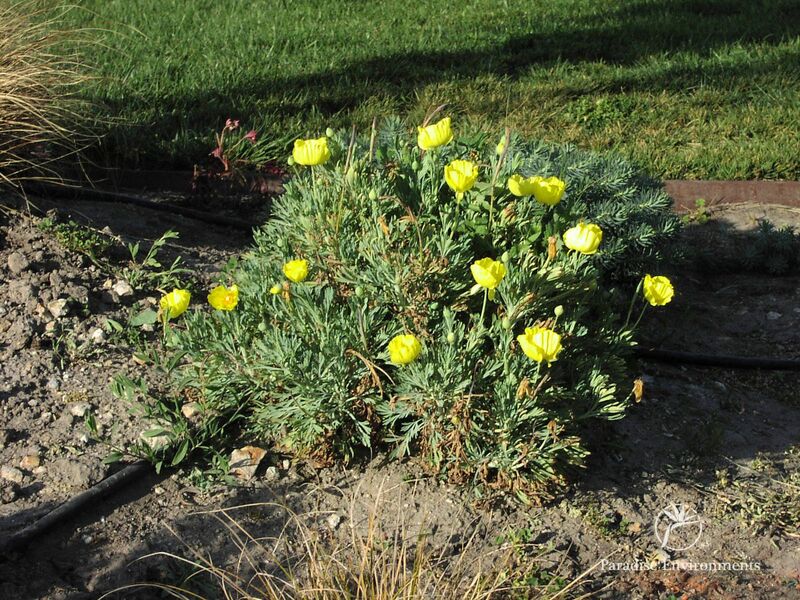 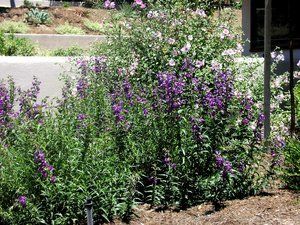 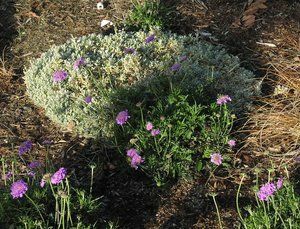 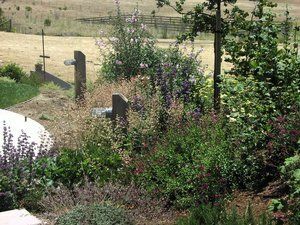 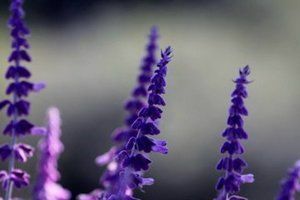 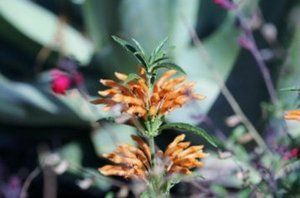 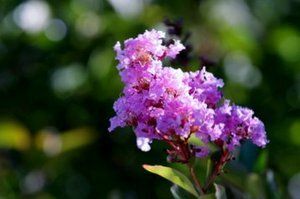 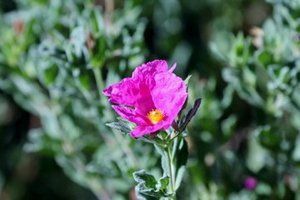 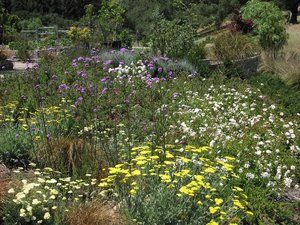 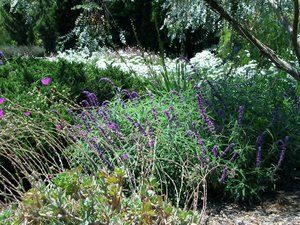 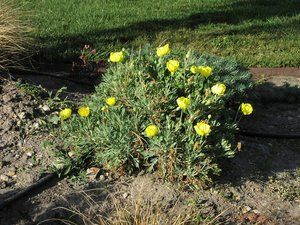 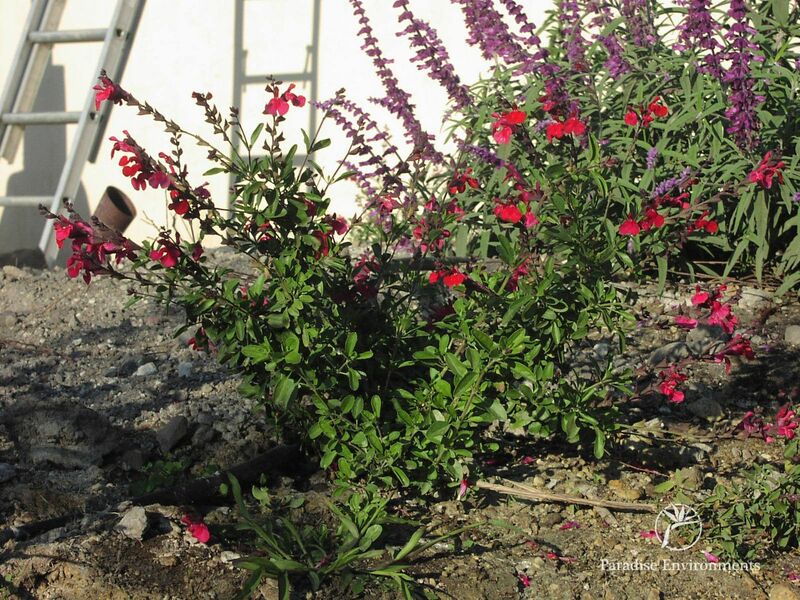 Native plants are the best choice for "low-maintenance" gardening and landscaping because they are more vigorous and hardy, and are better able to survive winter cold and summer heat. 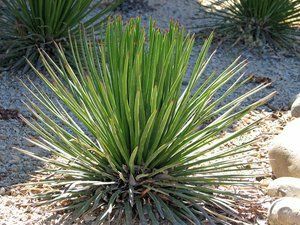 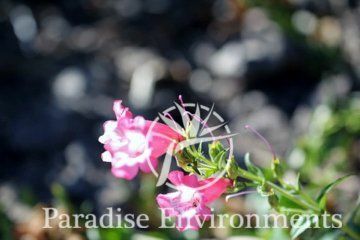 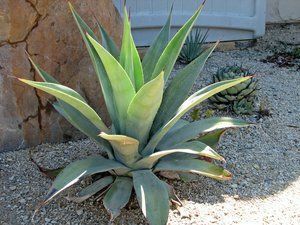 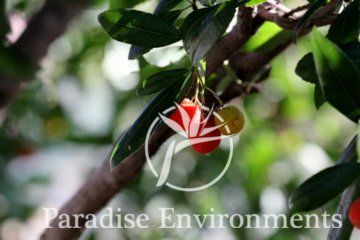 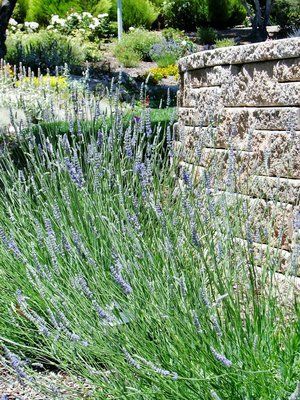 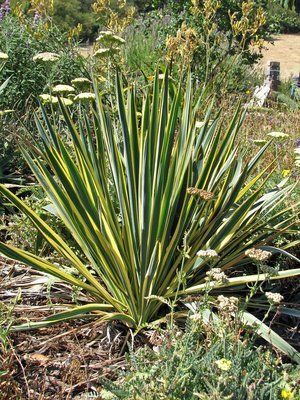 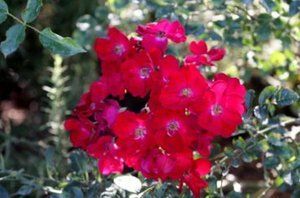 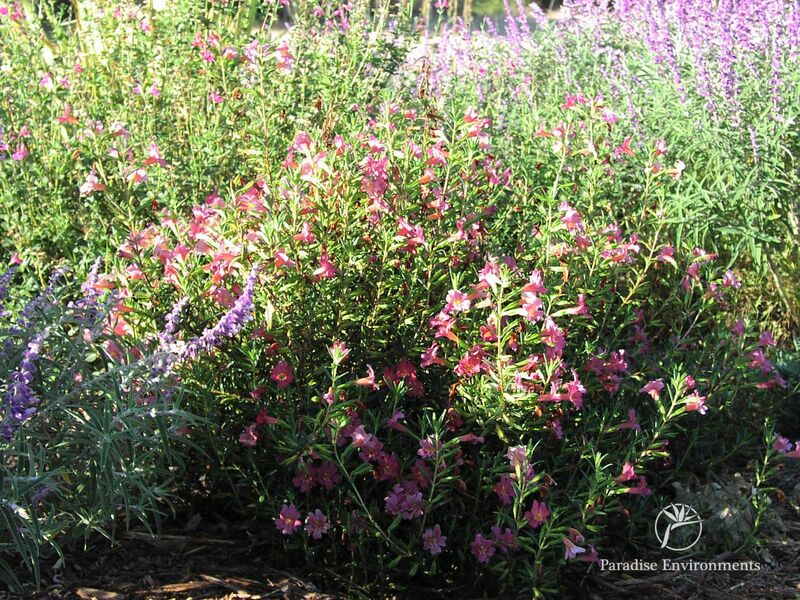 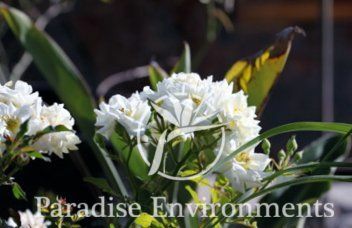 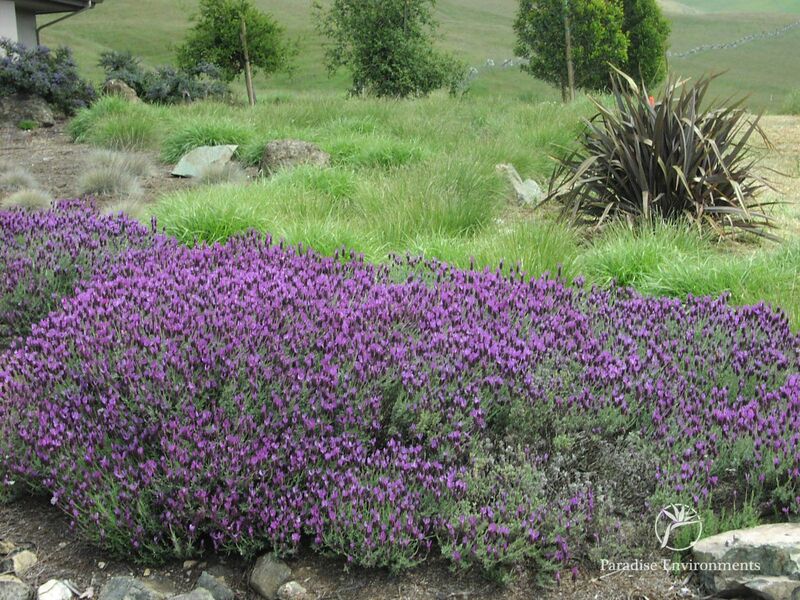 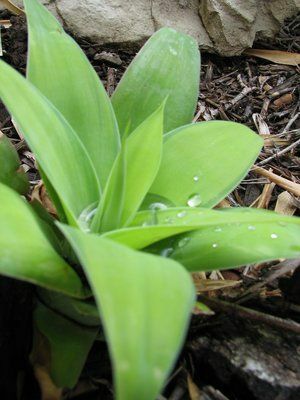 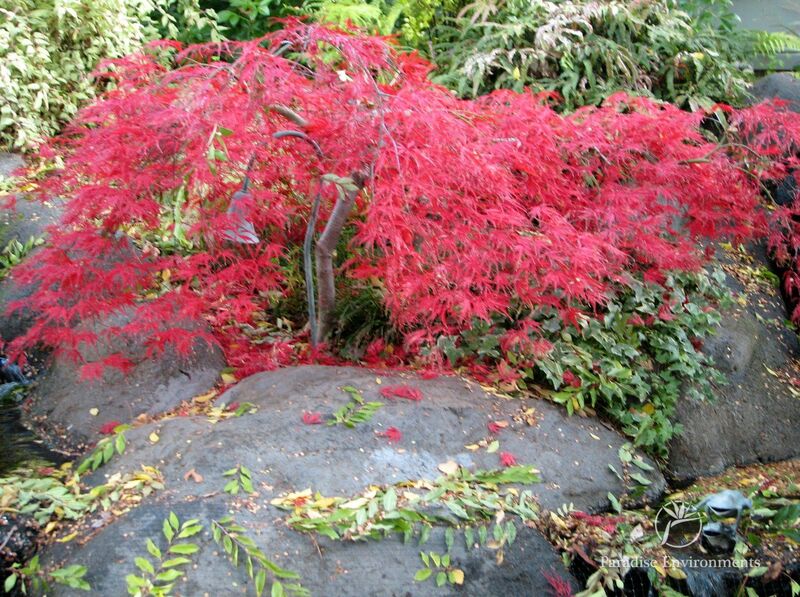 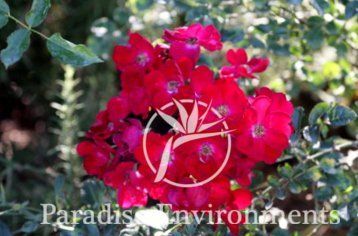 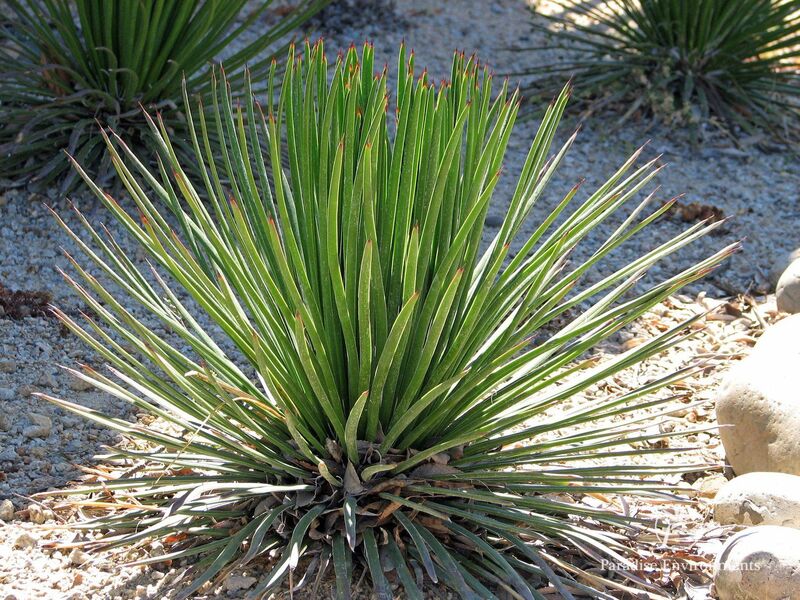 Once established, they can often flourish with minimal irrigation or fertilization, and are resistant to most pests and diseases. 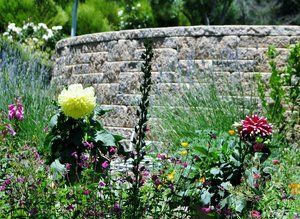 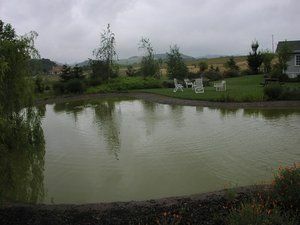 We also put special emphasis on rainwater collection and the use of gray water for irrigation, always custom-designed for the local micro-climate. 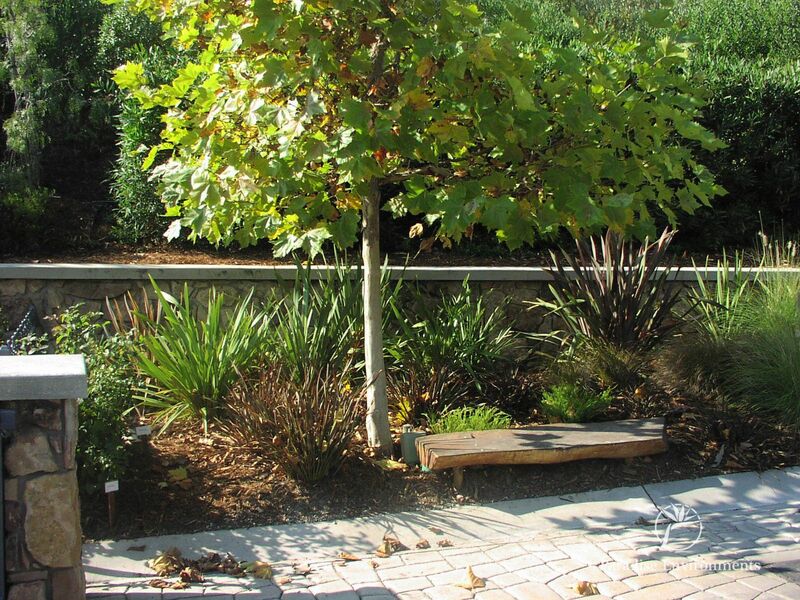 Our focus on the internationally-recognized LEED System (Leadership in Energy & Environmental Design) helps to ensure that all our projects are as “Green” as possible. 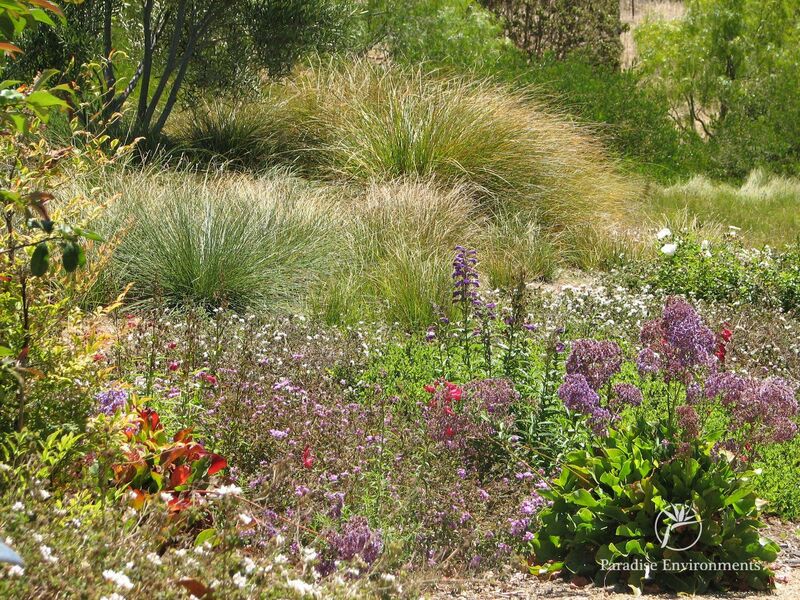 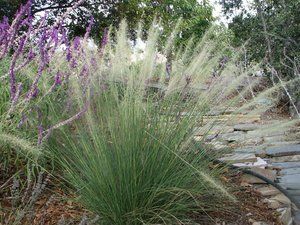 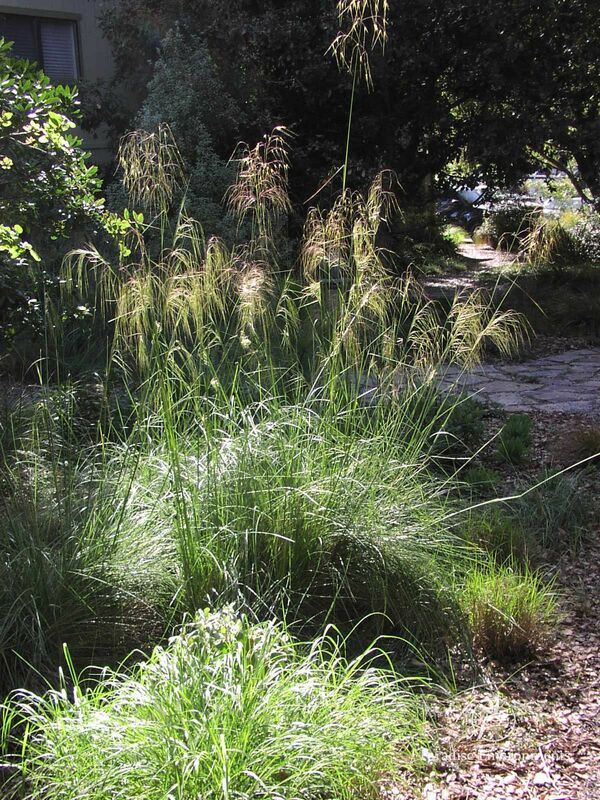 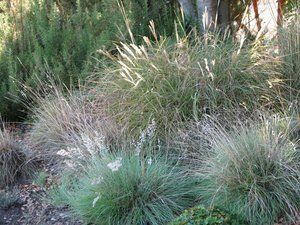 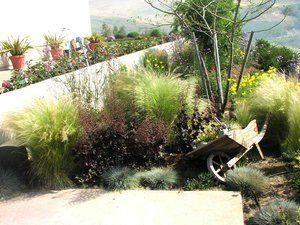 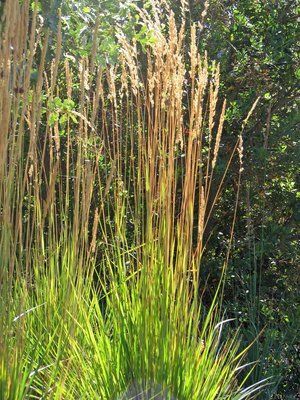 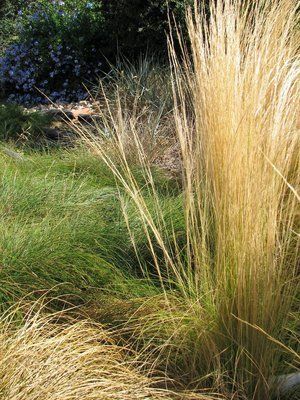 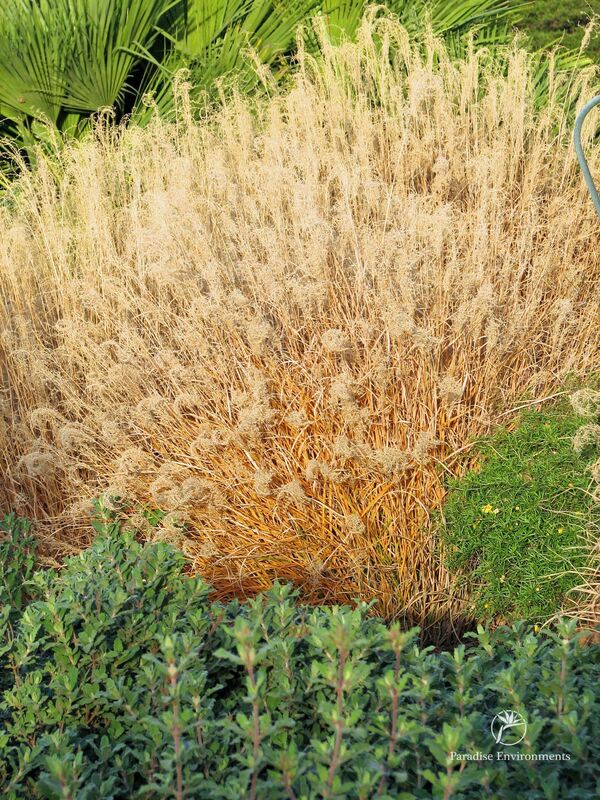 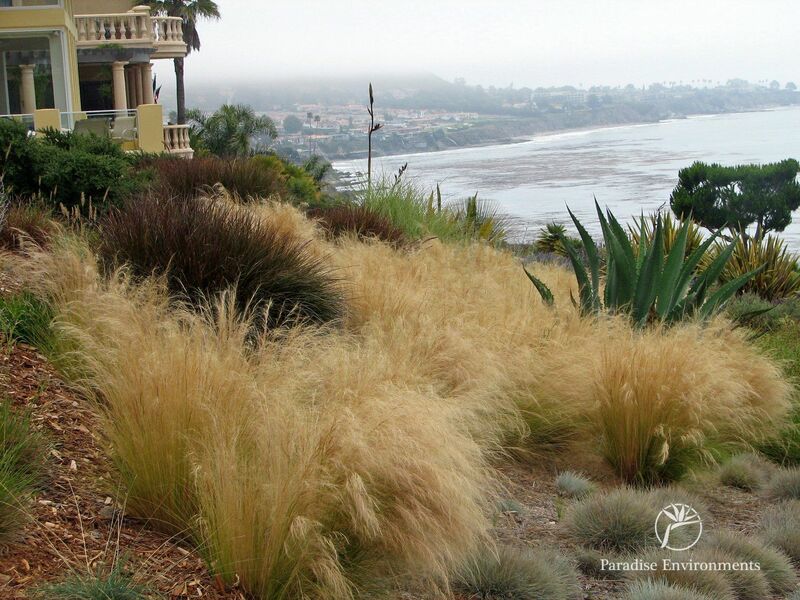 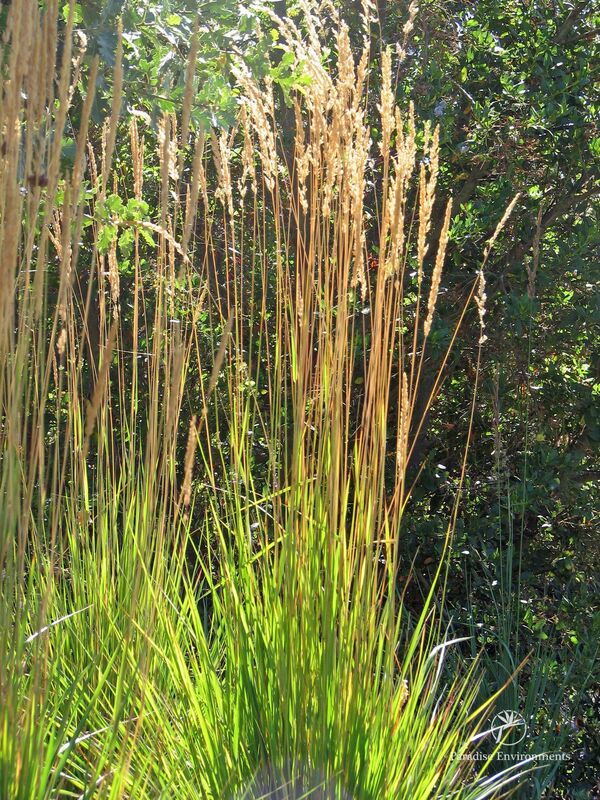 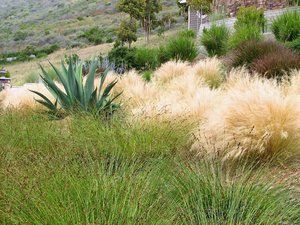 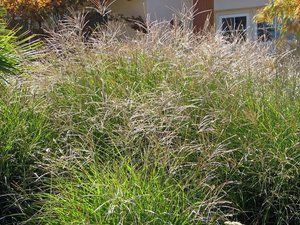 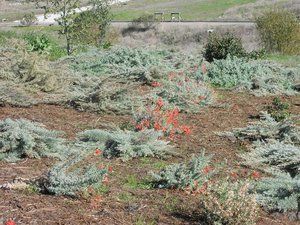 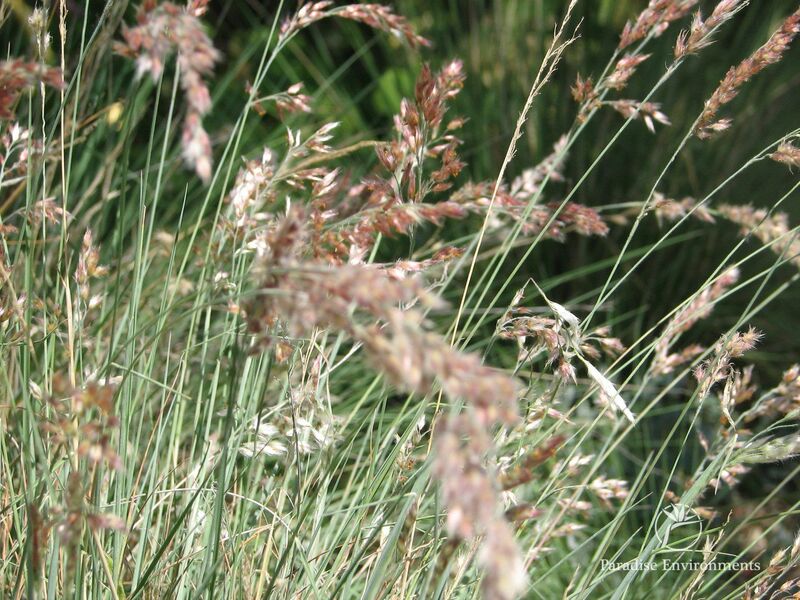 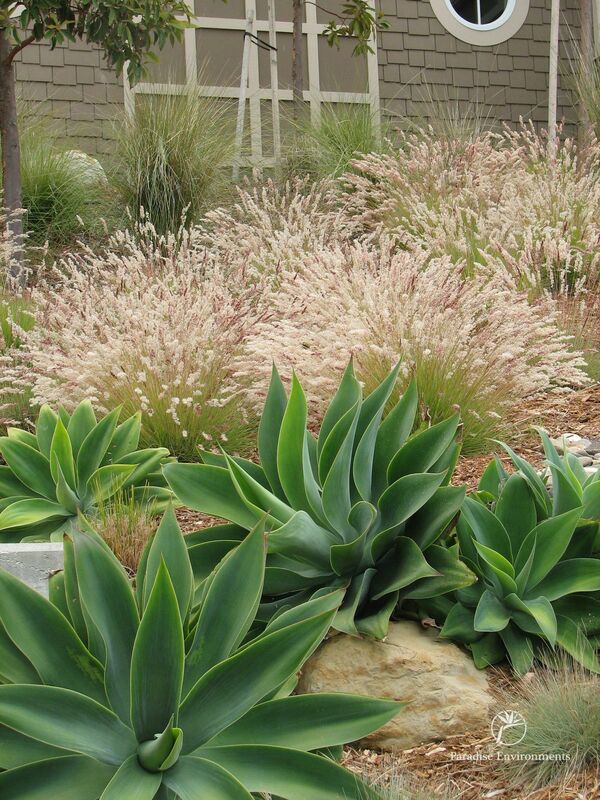 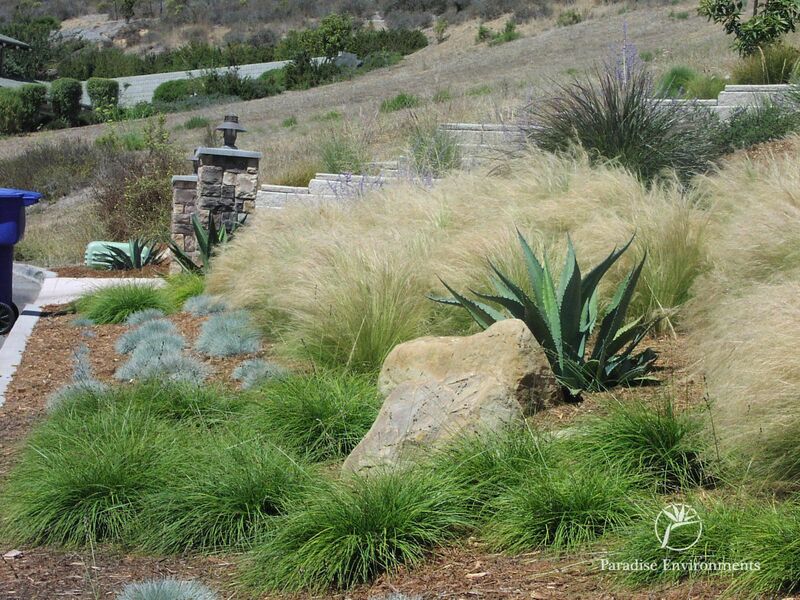 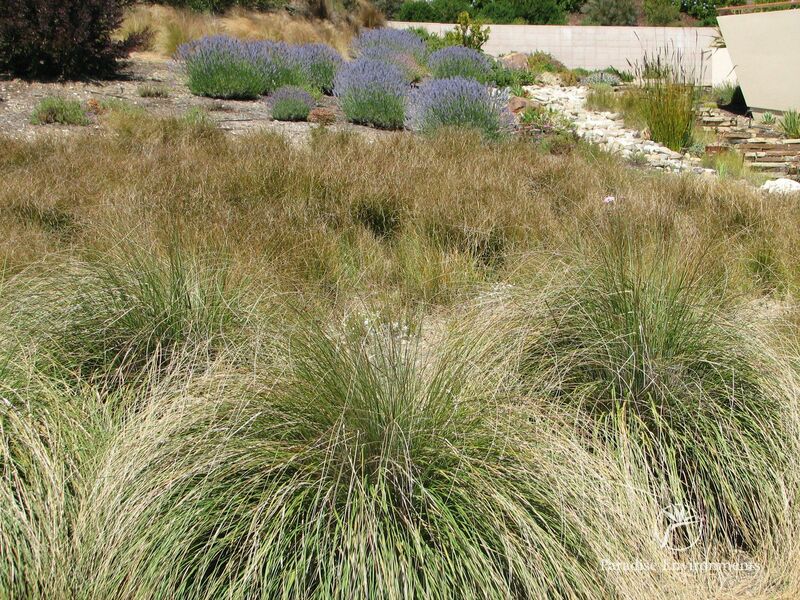 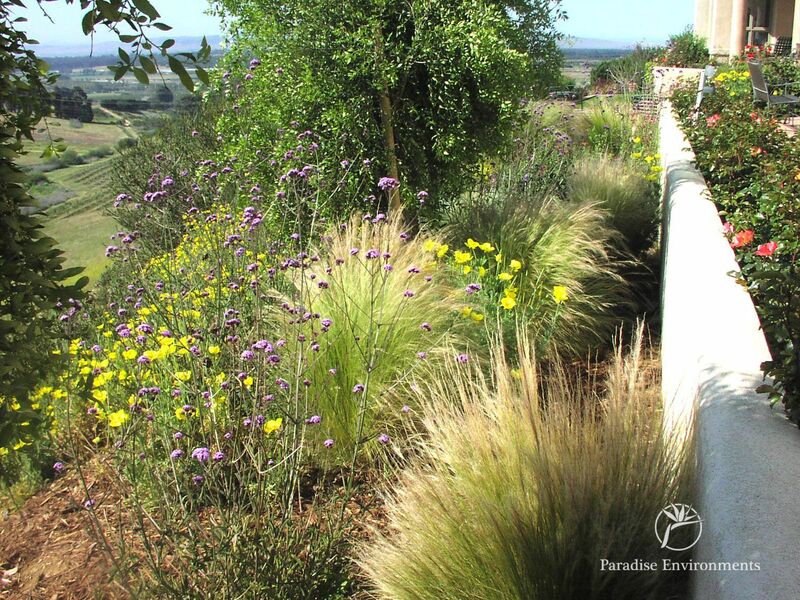 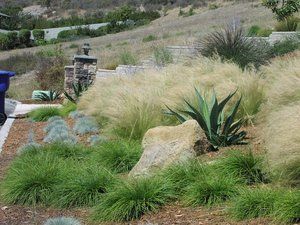 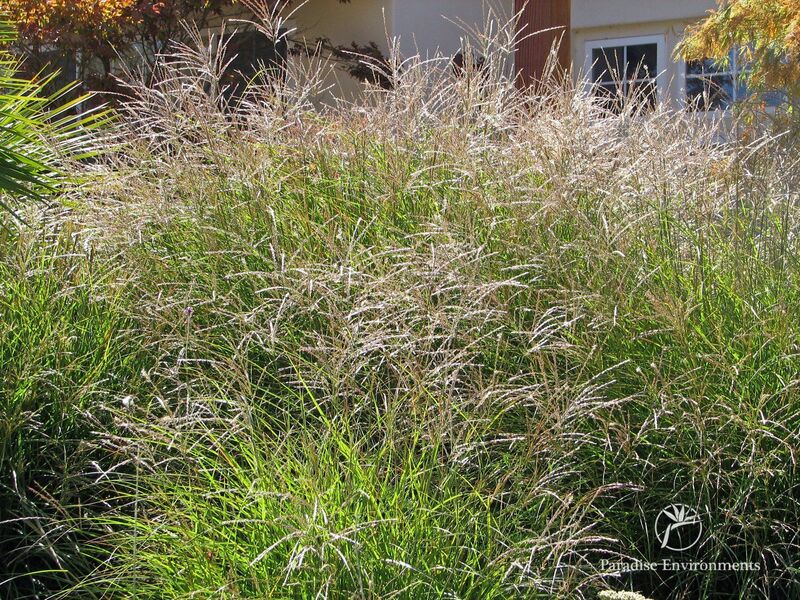 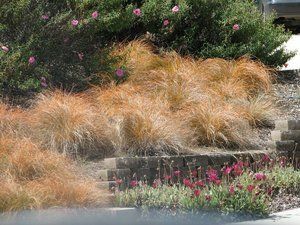 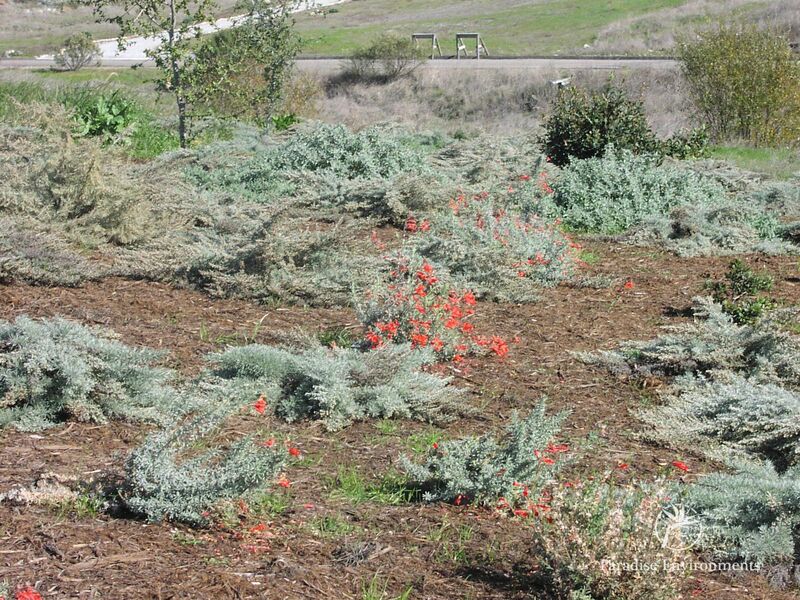 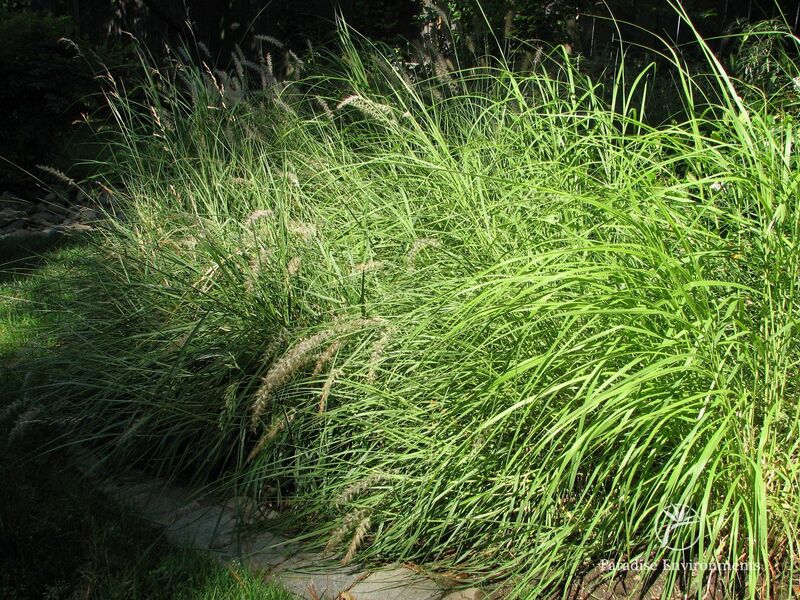 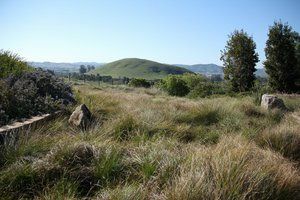 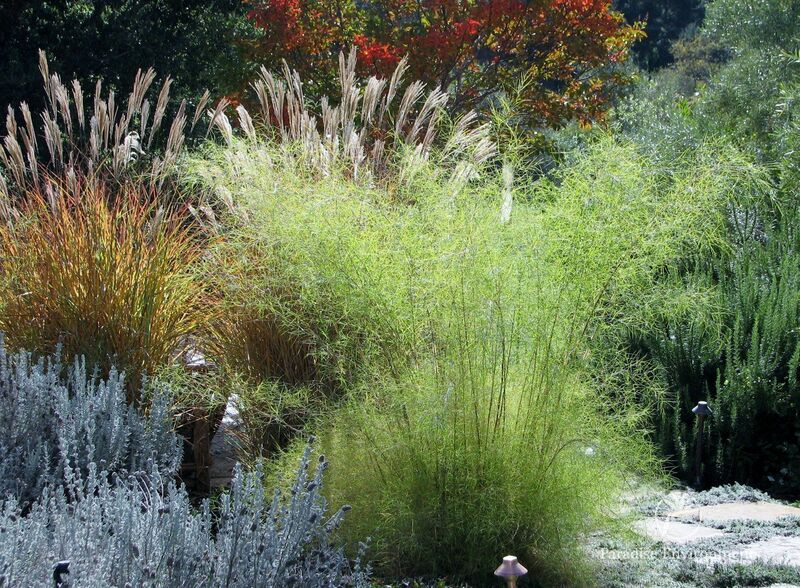 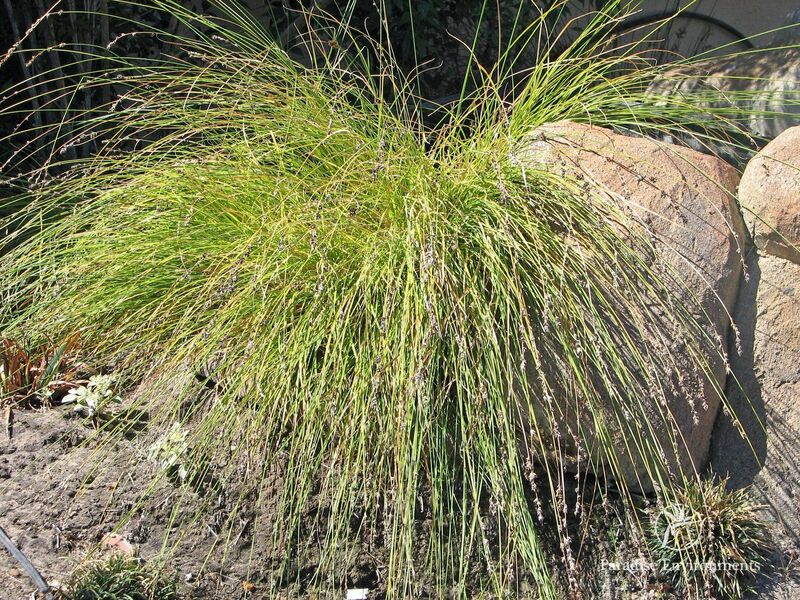 These native grasses will thrive on a minimal amount of water, and require essentially no maintenance. 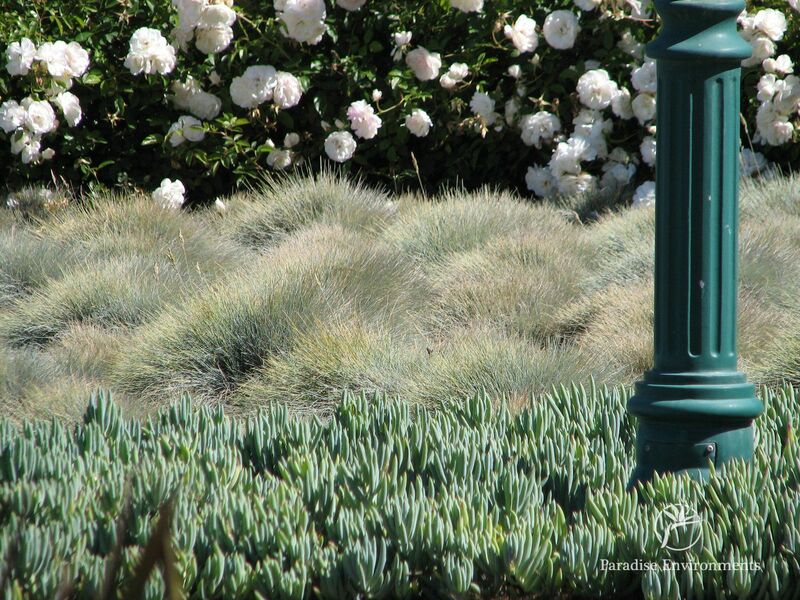 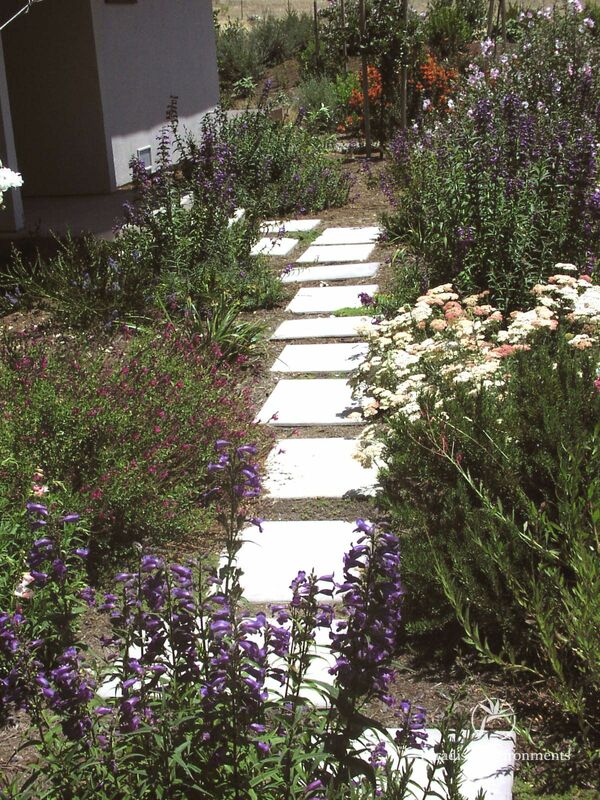 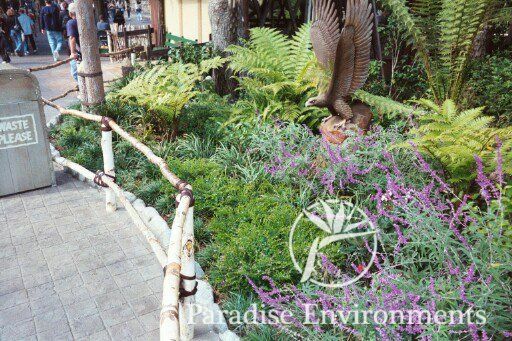 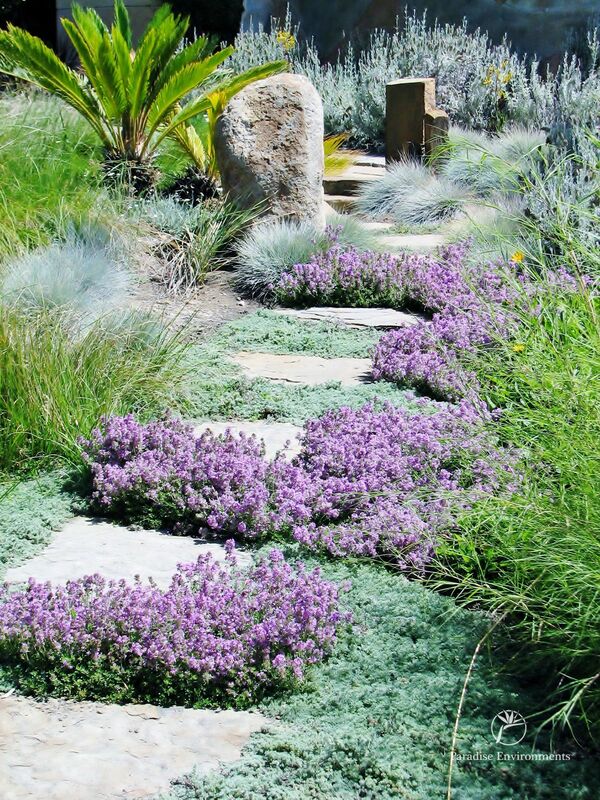 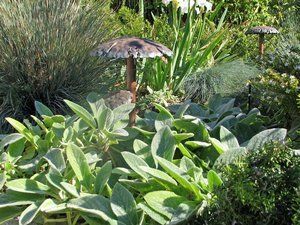 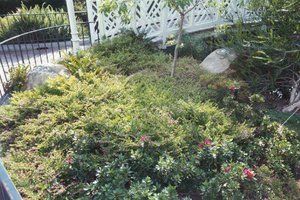 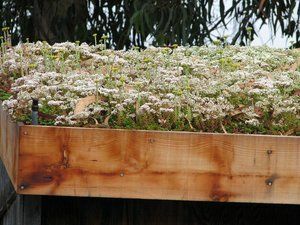 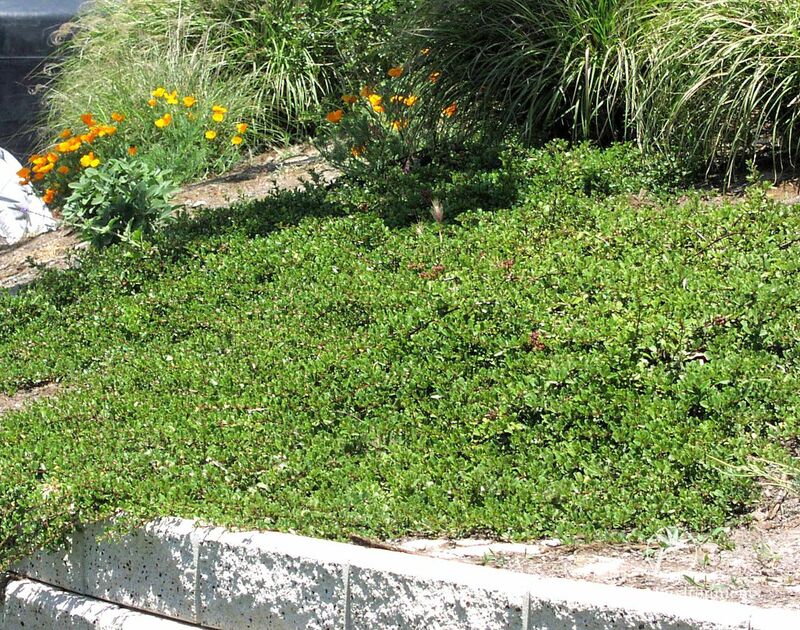 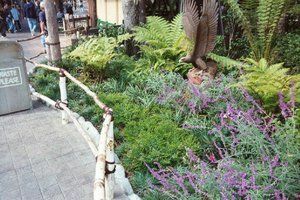 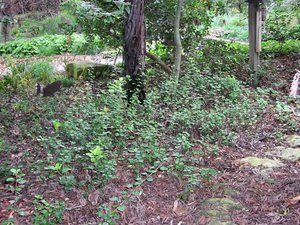 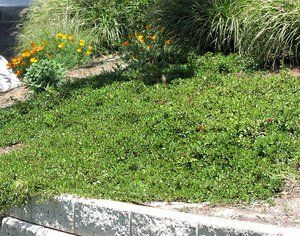 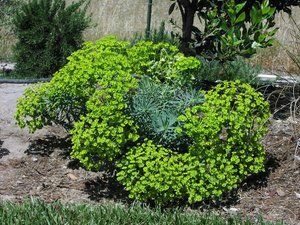 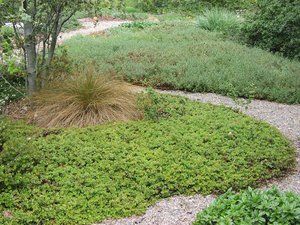 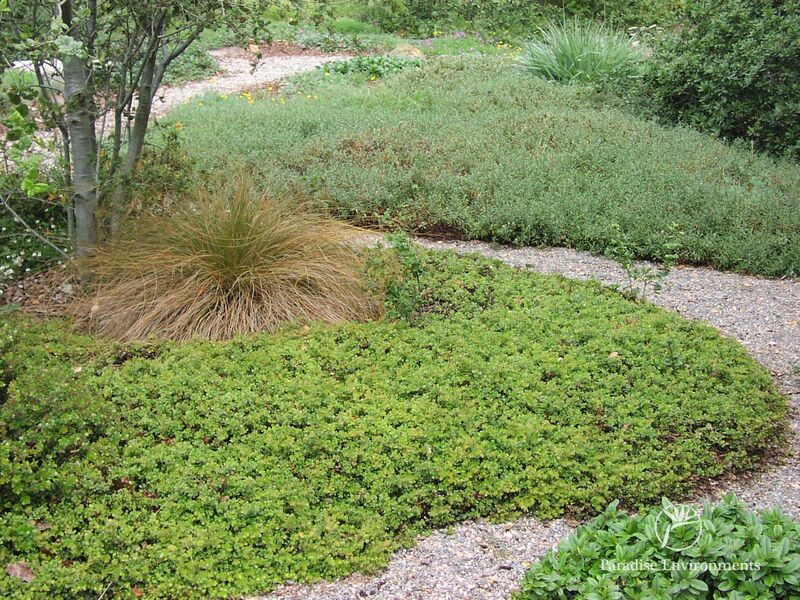 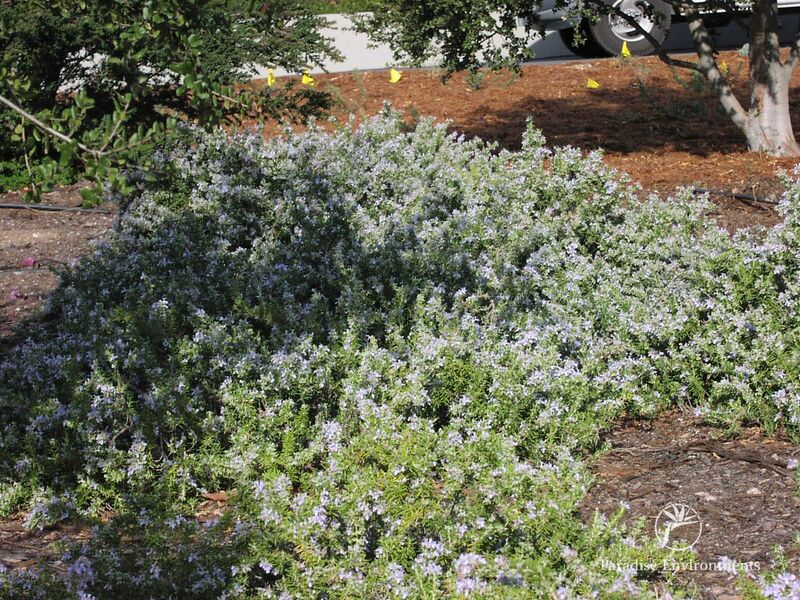 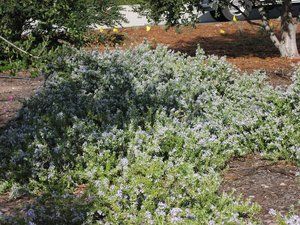 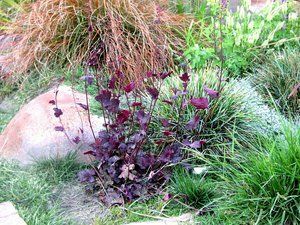 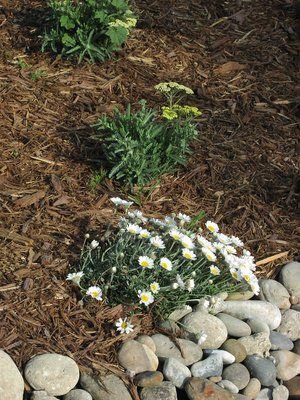 These ground covers require a minimal amount of maintenance, while controlling the soil and providing an interesting view. 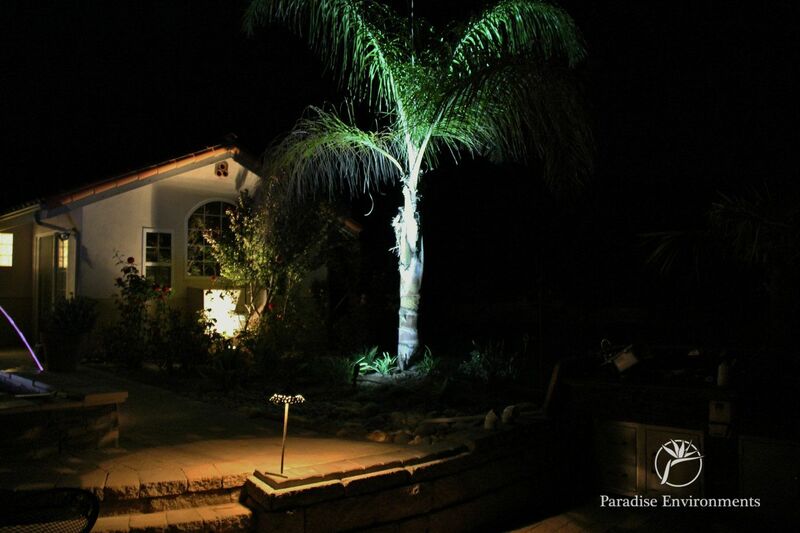 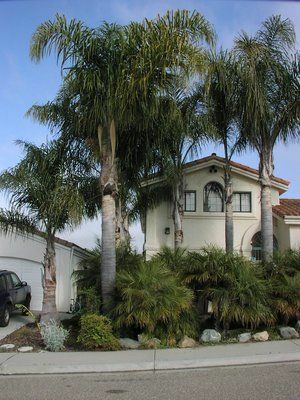 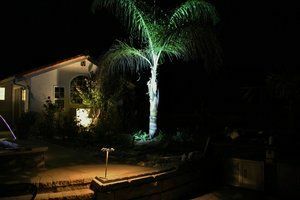 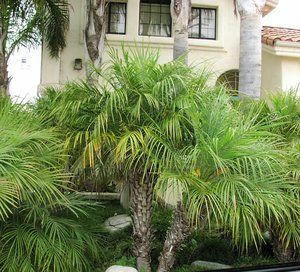 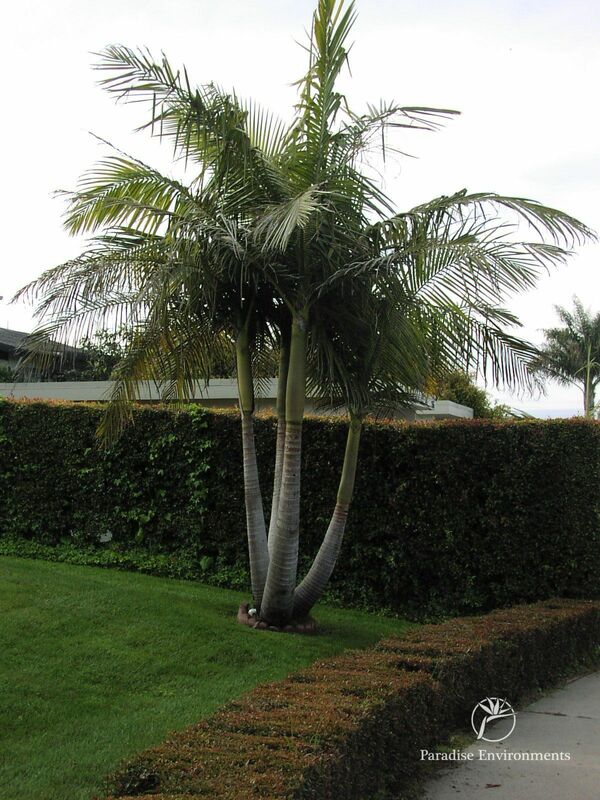 Palm trees add interest and an area of focus for any garden or landscaped area. These specimens are extremely low maintenance. 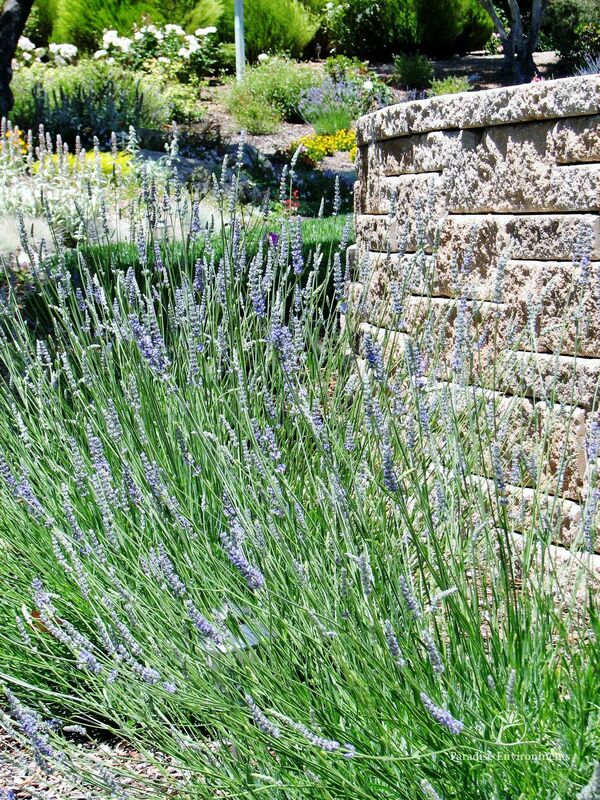 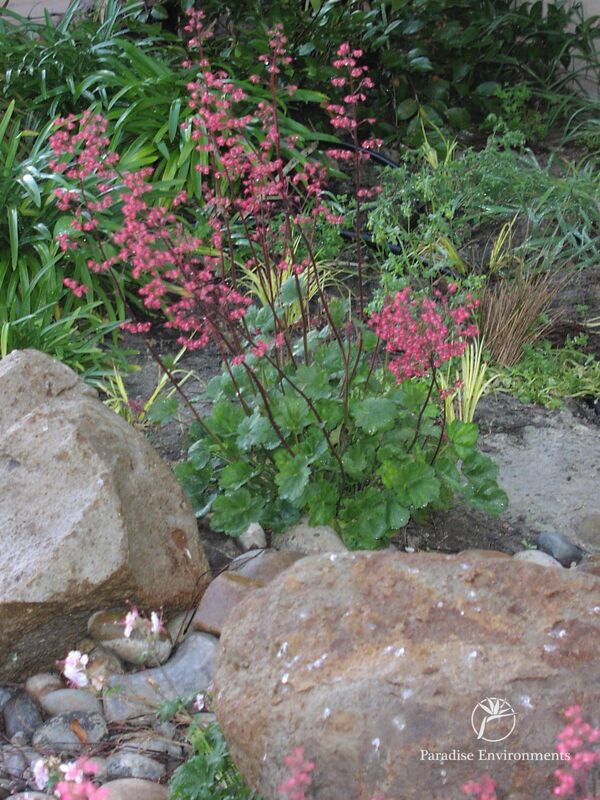 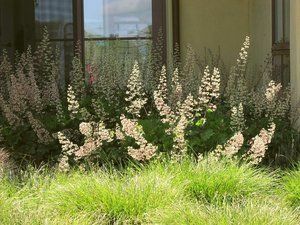 Unlike annuals that need to be replanted every year, these perennials will delight the homeowner for years to come. 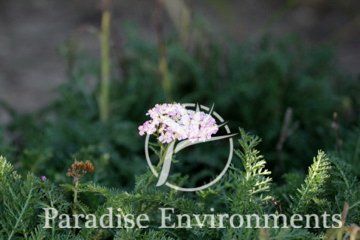 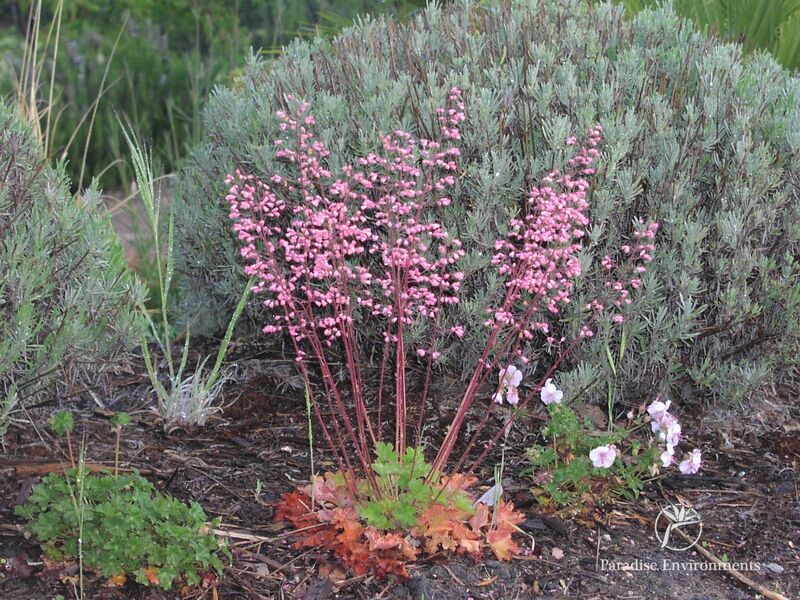 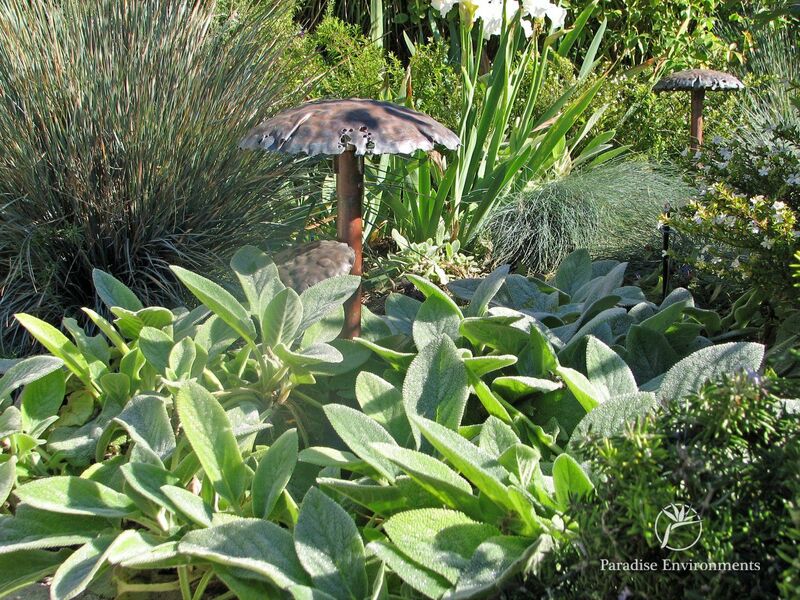 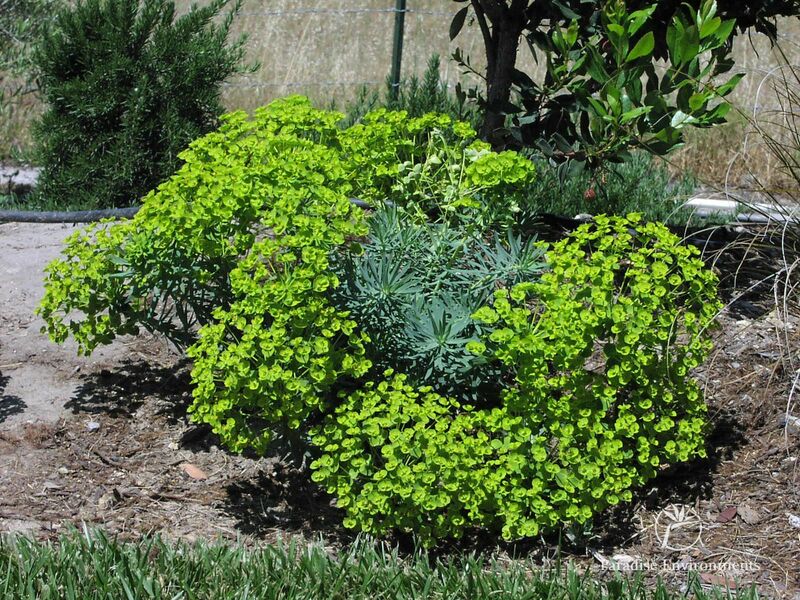 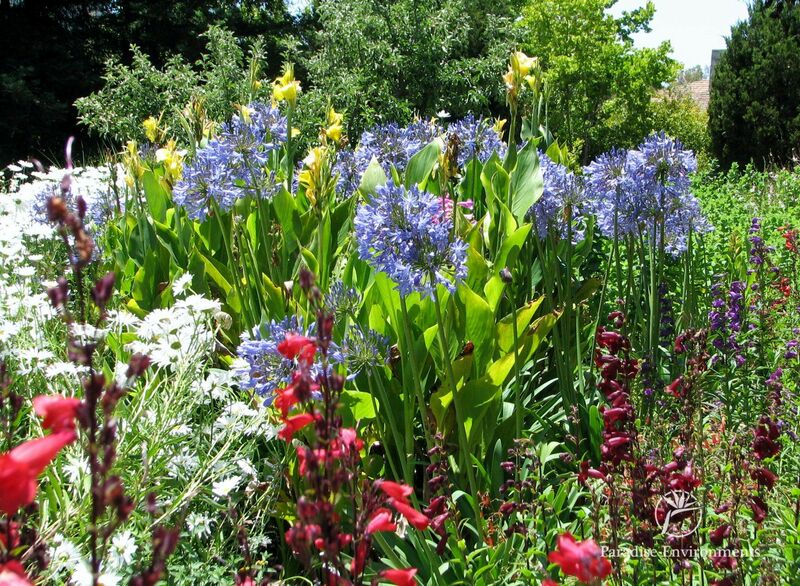 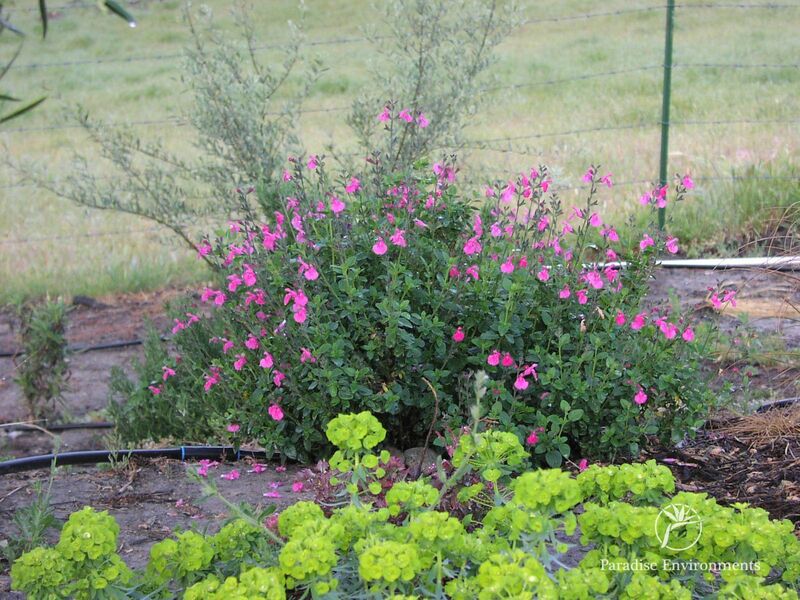 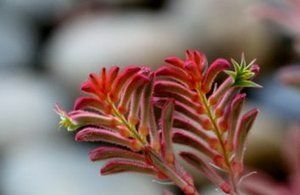 These evergreen perennials come in all sizes and encompass a full spectrum of colors. 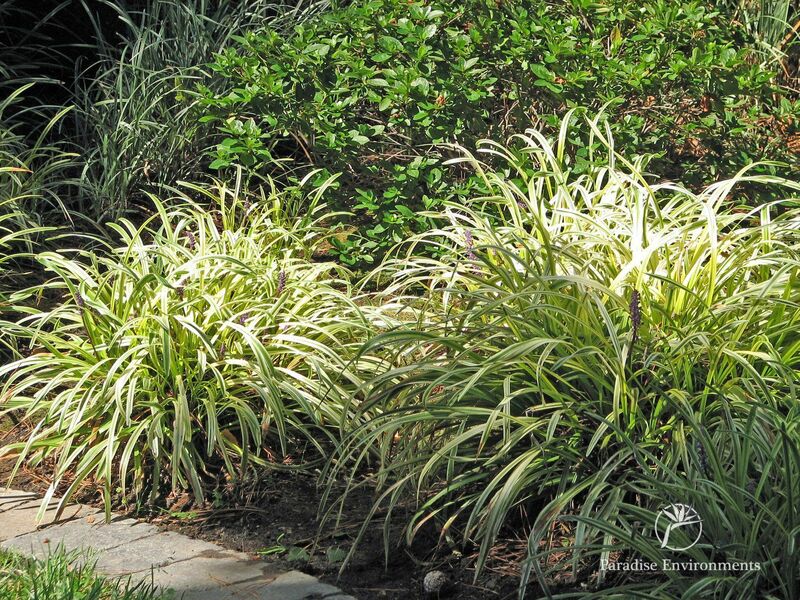 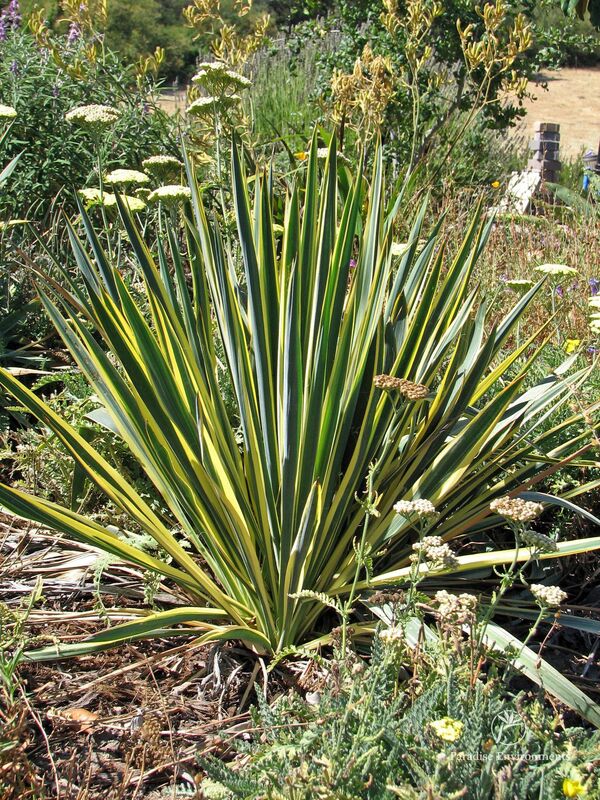 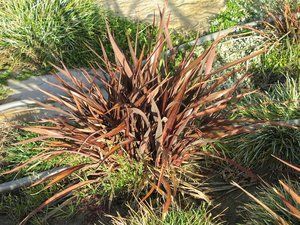 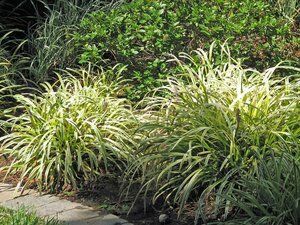 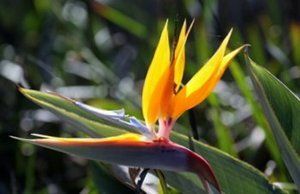 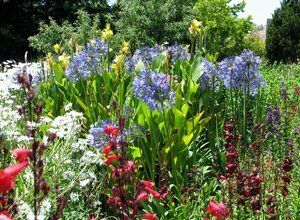 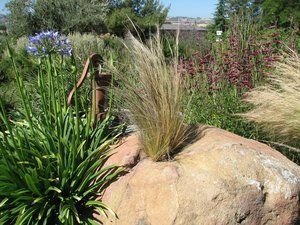 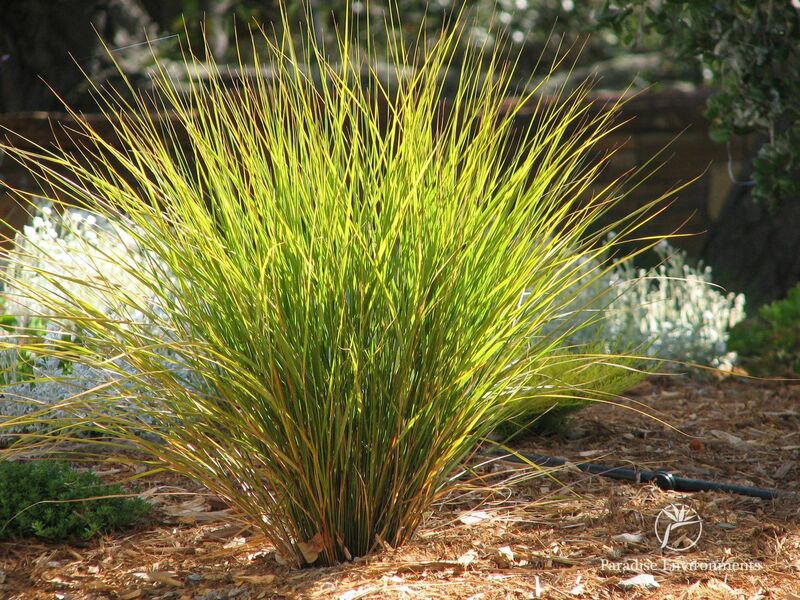 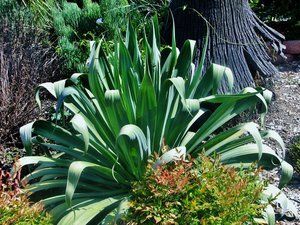 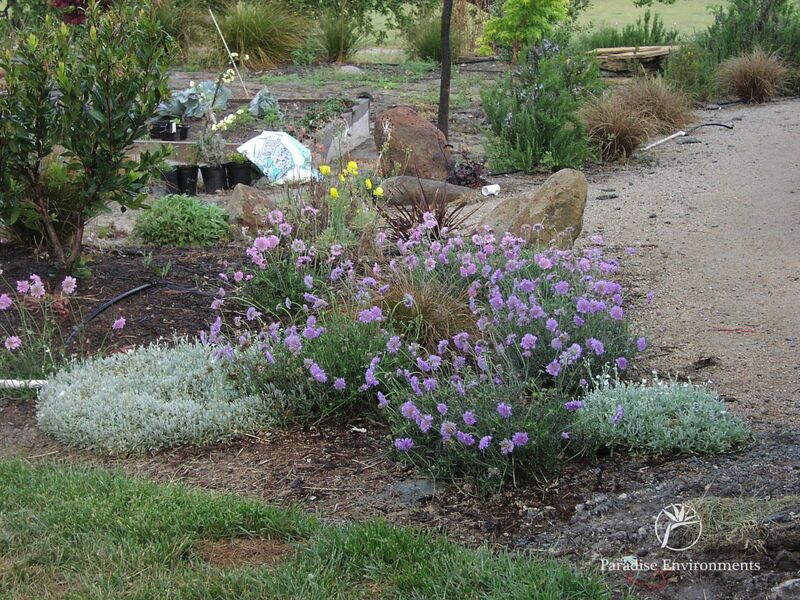 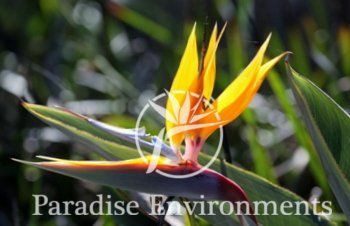 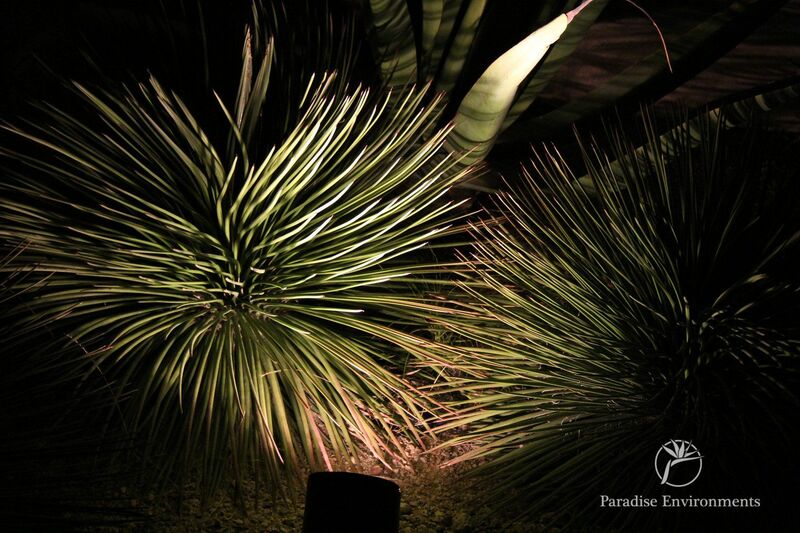 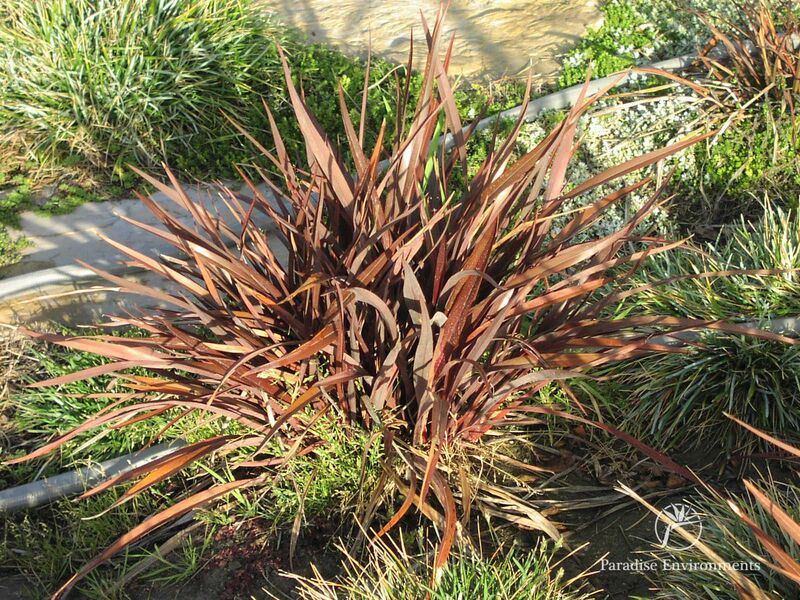 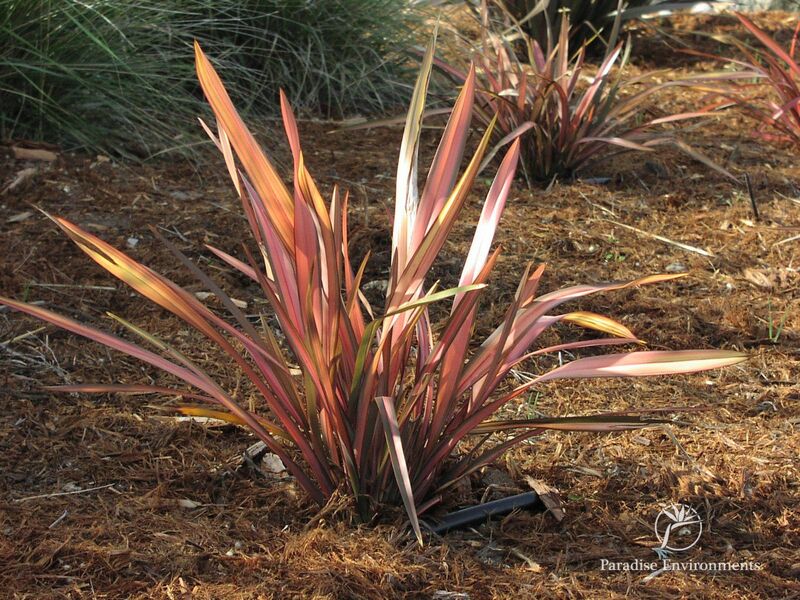 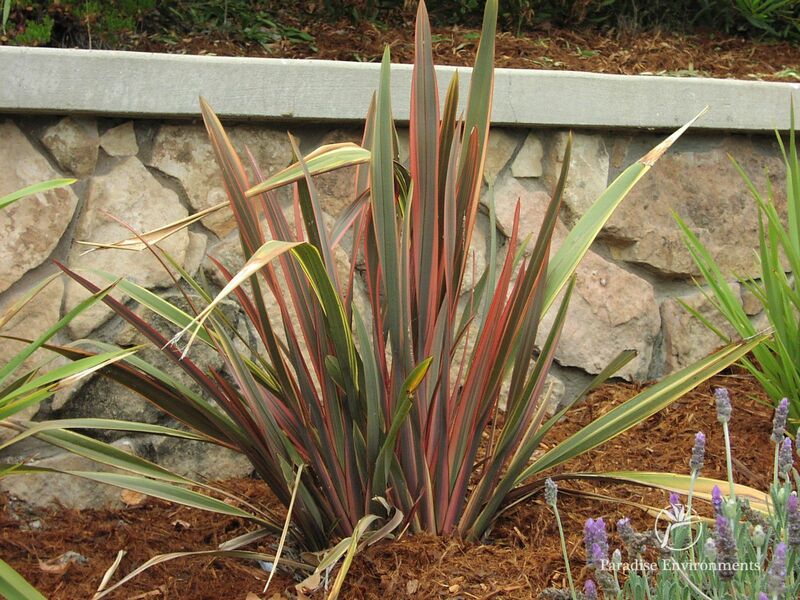 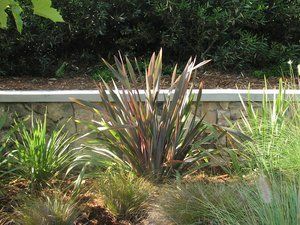 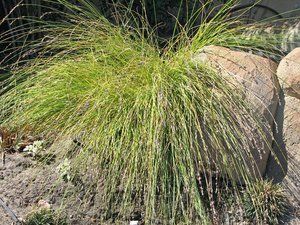 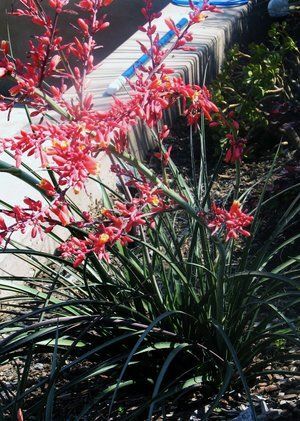 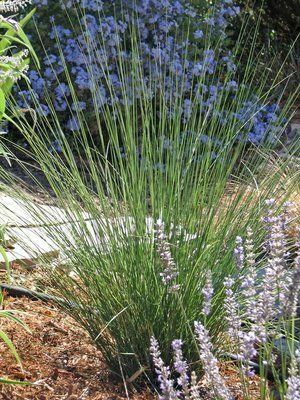 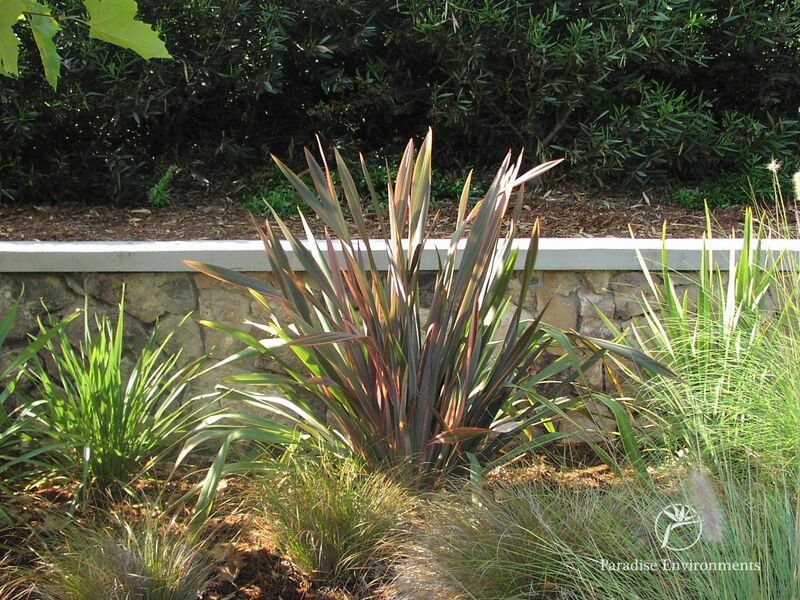 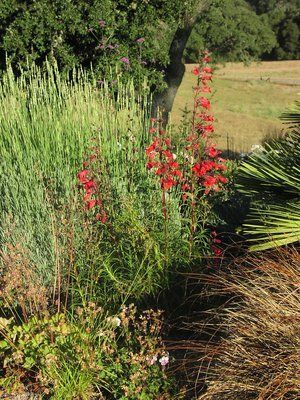 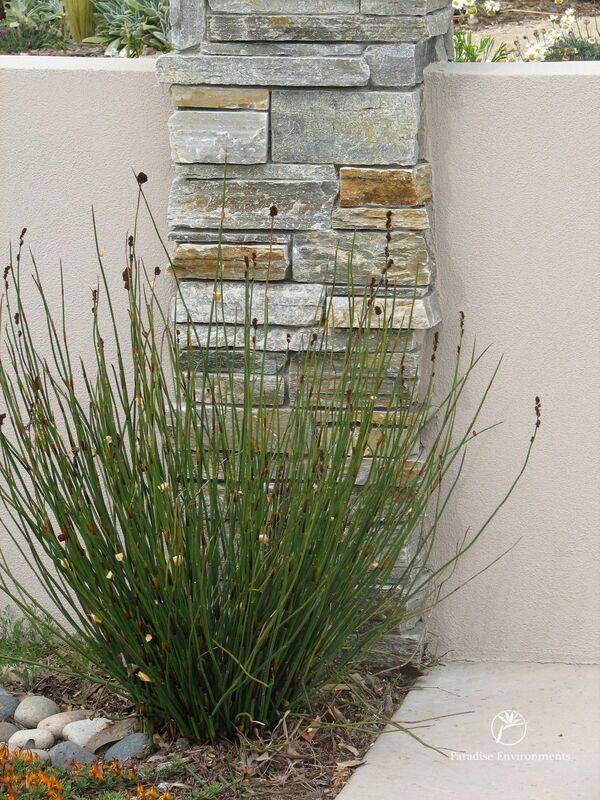 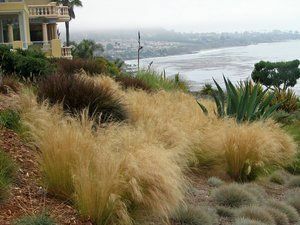 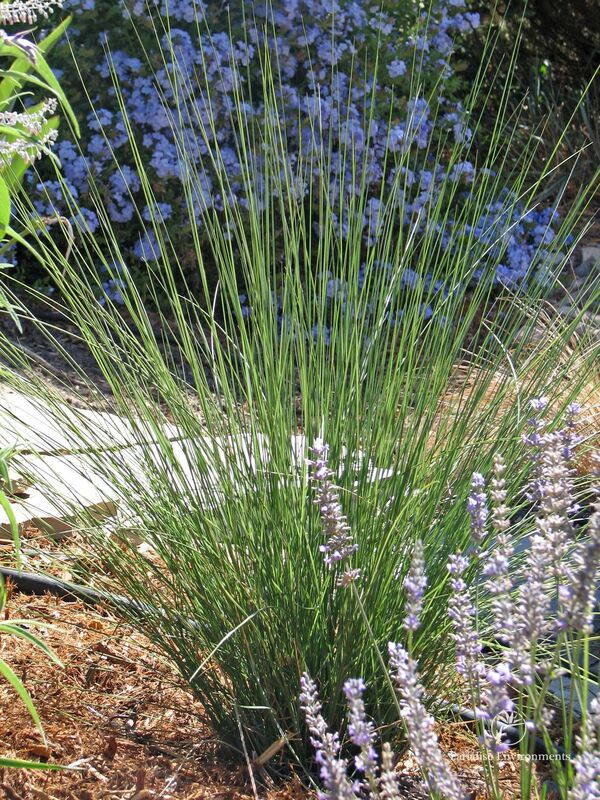 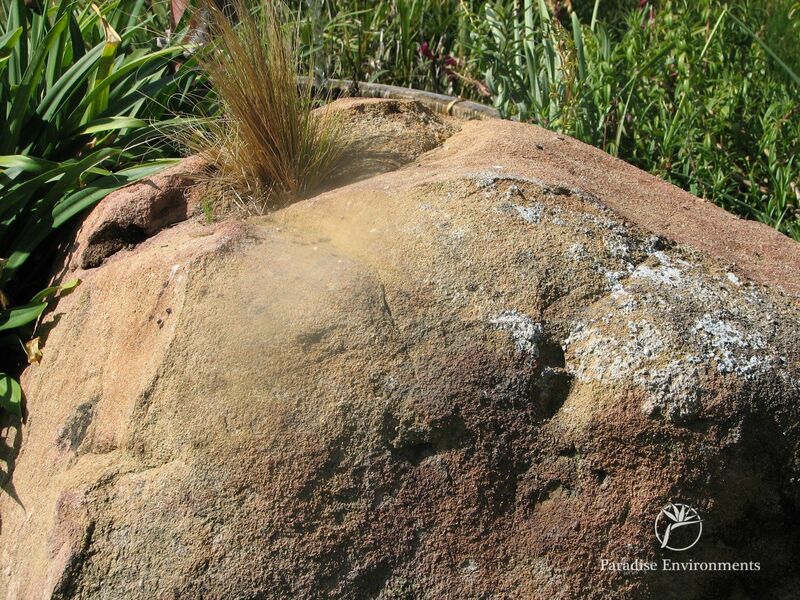 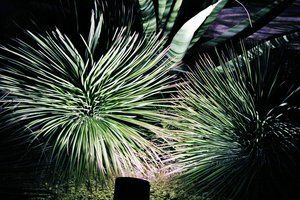 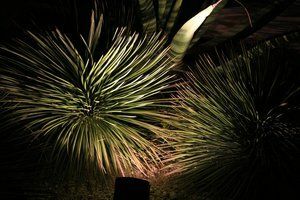 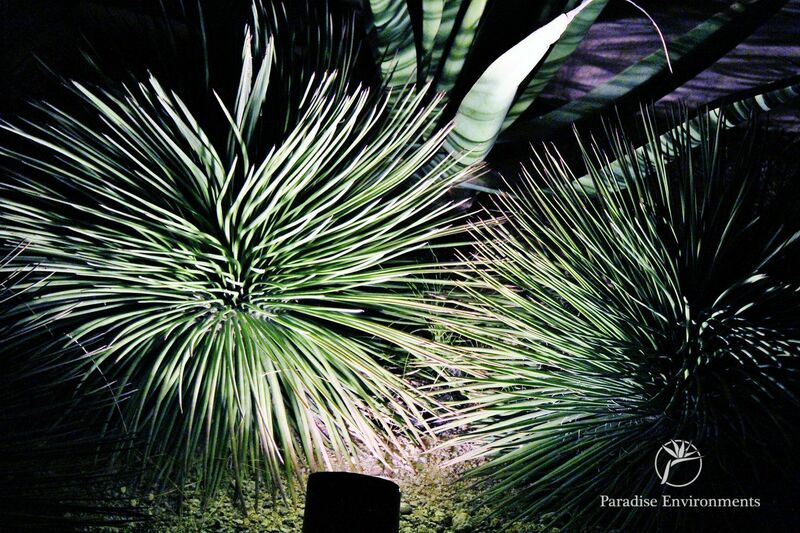 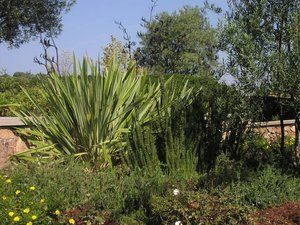 Phormiums, also sometimes referred to as the “flax” plant, originated in New Zealand, and are now praised the world over as an excellent, low-maintenance accent plant. 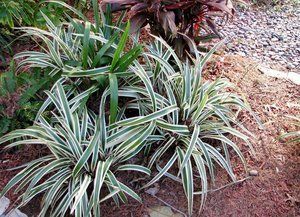 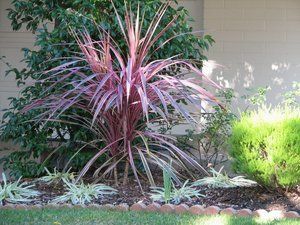 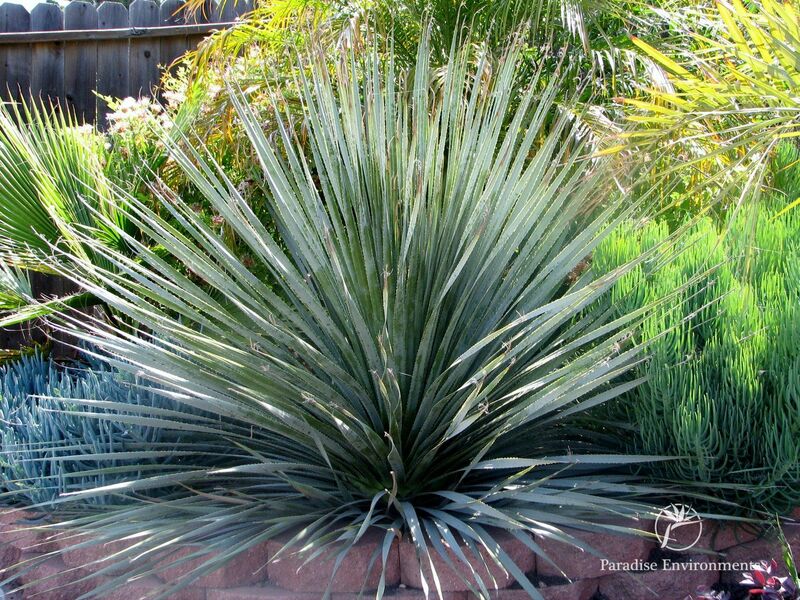 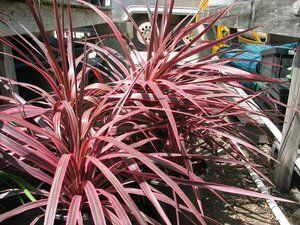 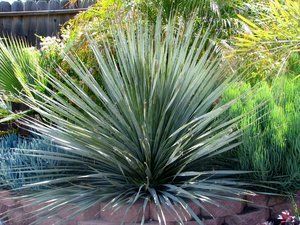 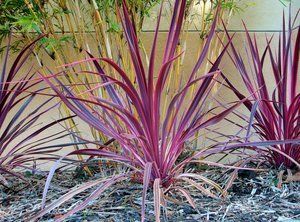 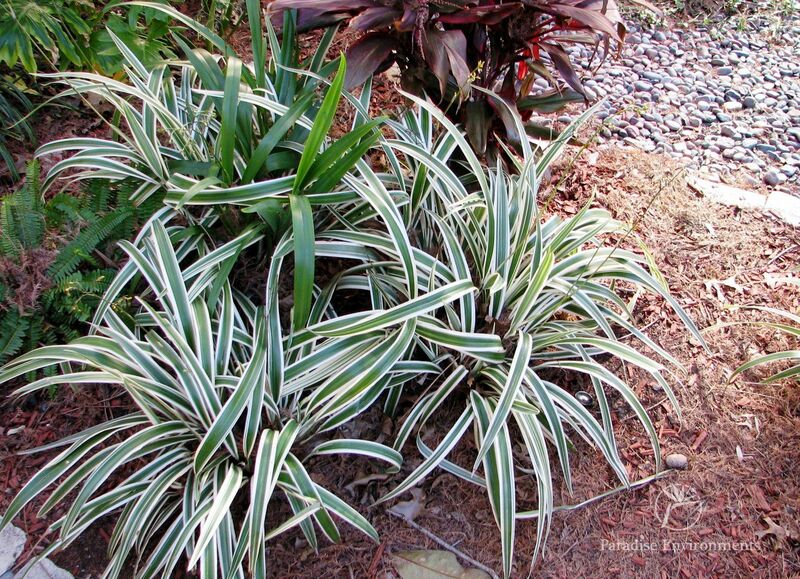 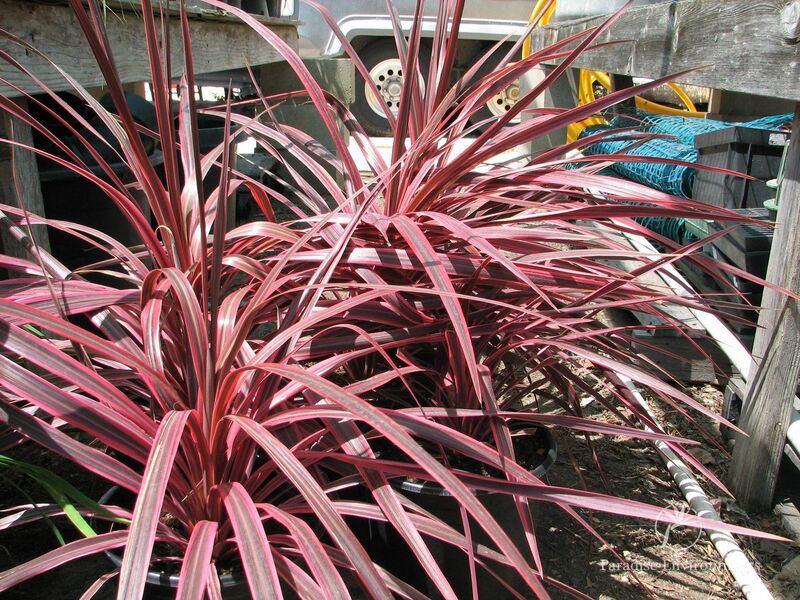 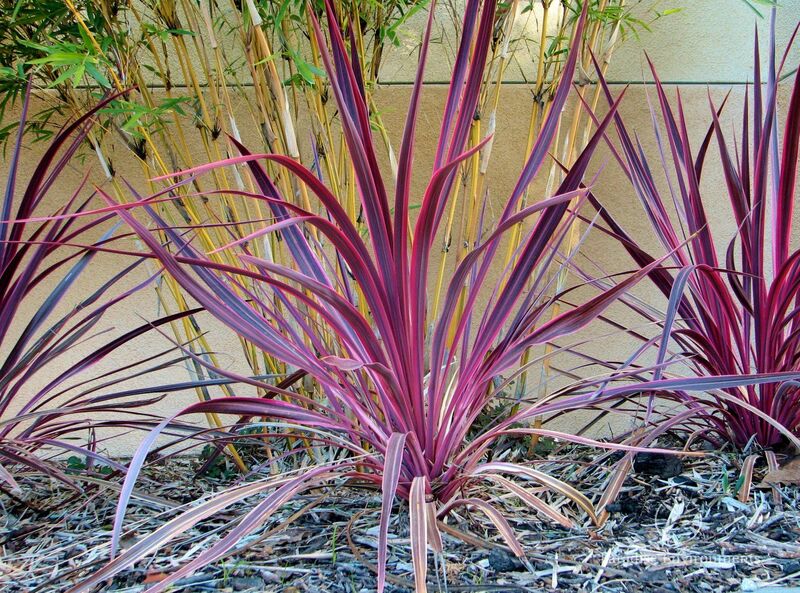 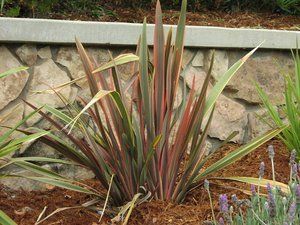 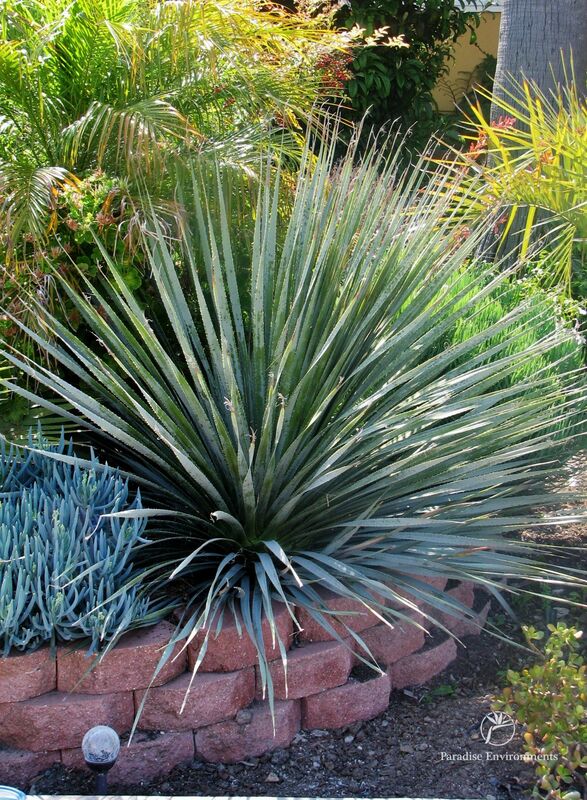 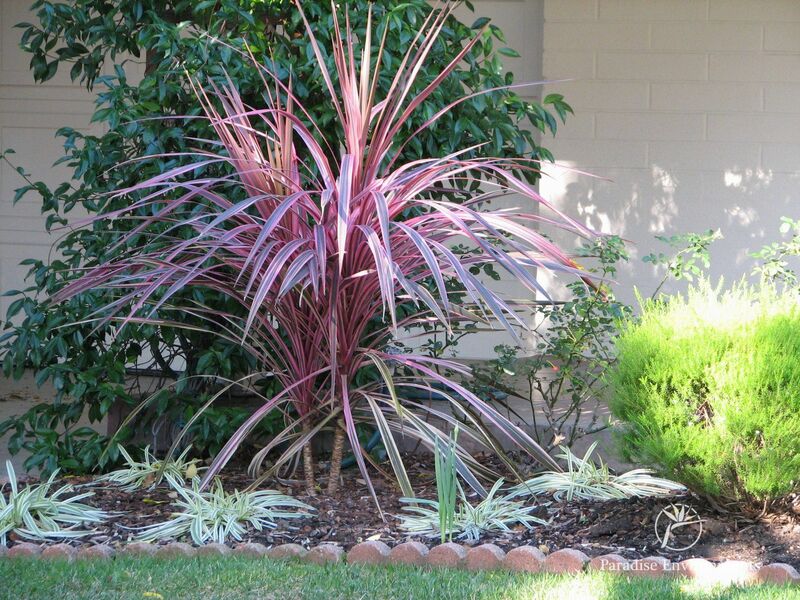 Cordylines also originate from the New Zealand and Eastern Australia, and are very popular for their palm like appearance. Few things can bring such peace and tranquility as you'll get with a softly gurgling brook or a gentle pond in your own yard. 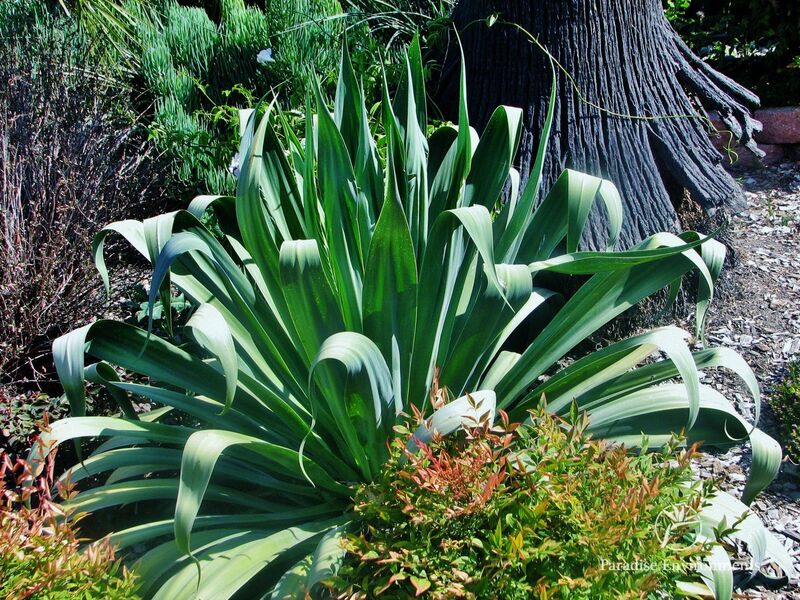 And it's a great way to show off some beautiful plant specimens that may not look right in other areas. 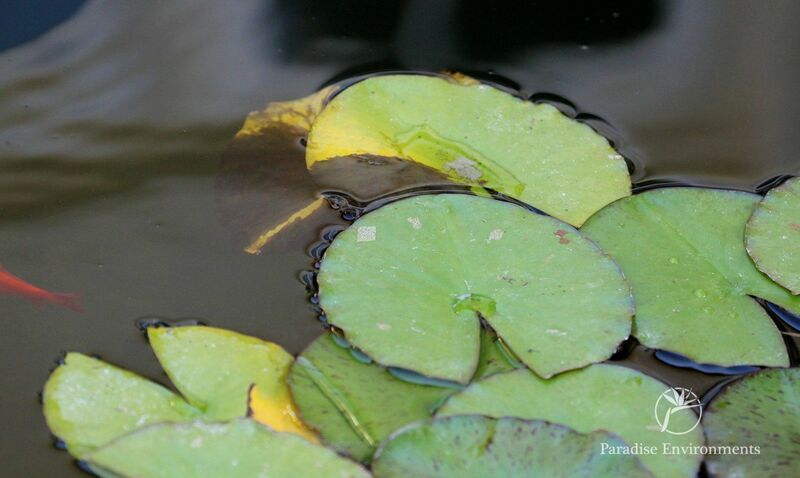 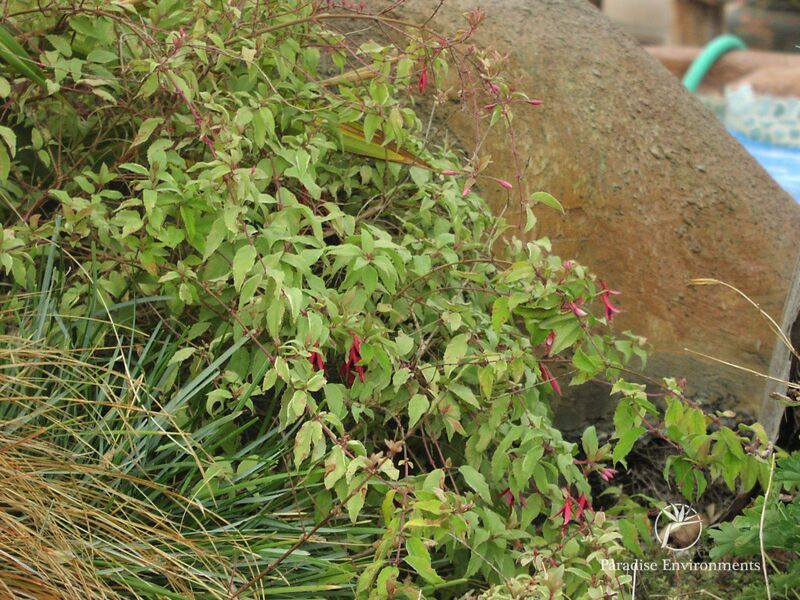 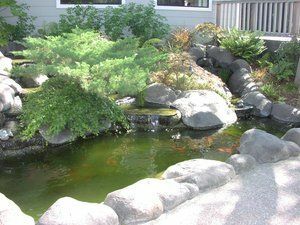 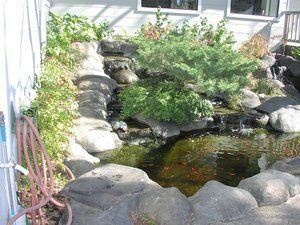 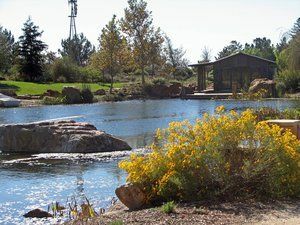 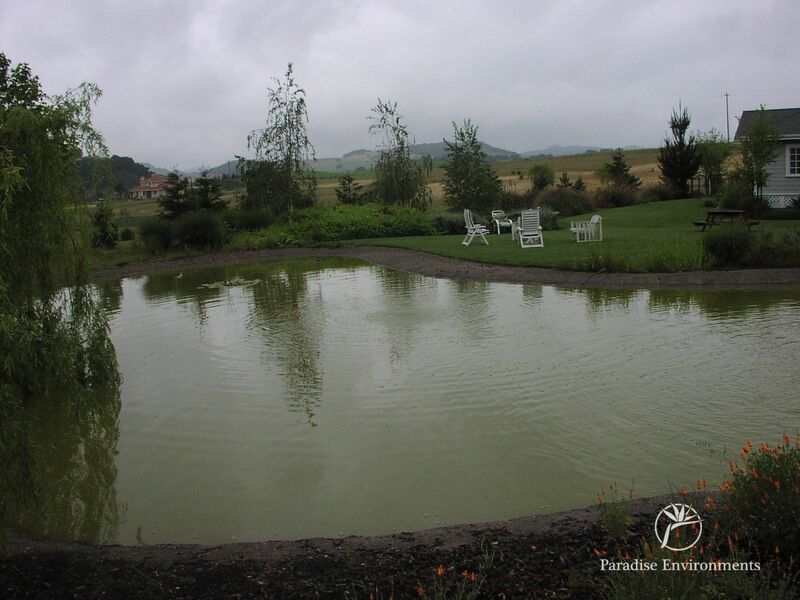 With or without fish, every one of our ponds and streams are designed to be completely natural looking, very low maintenance, and perfect for the location you've chosen. 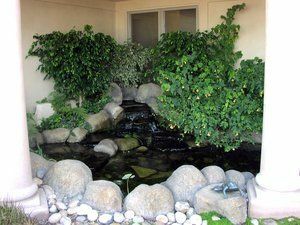 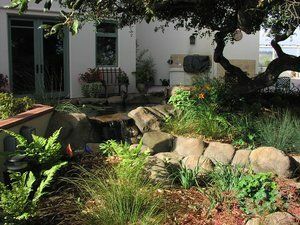 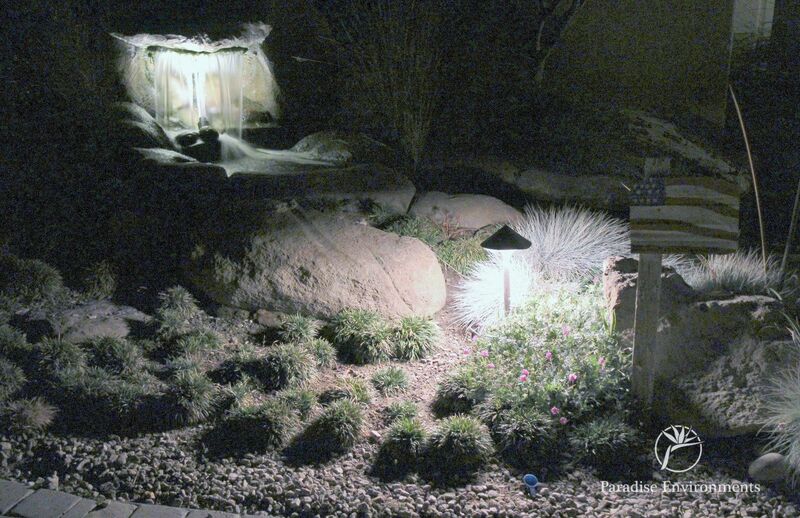 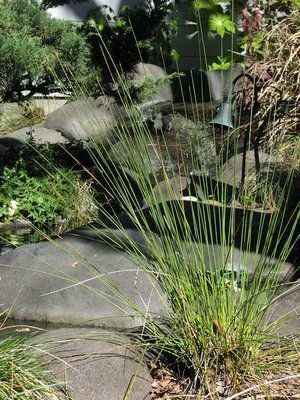 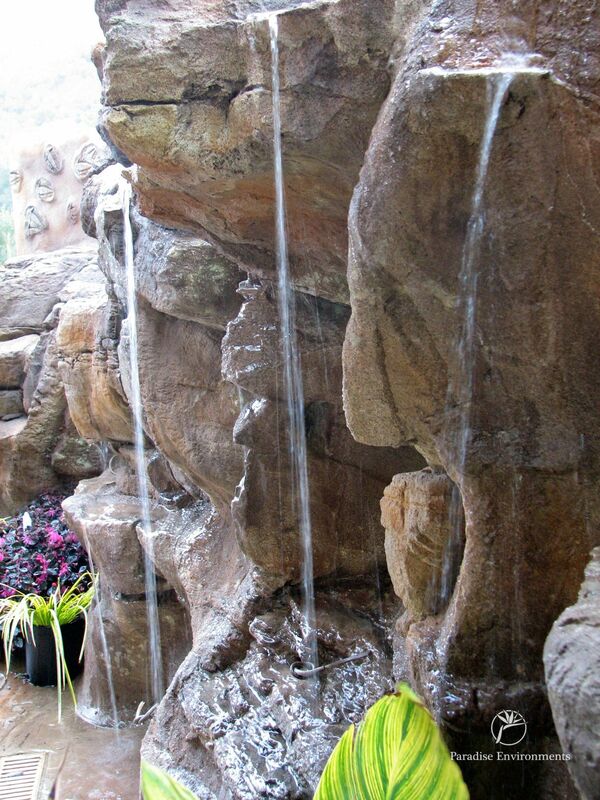 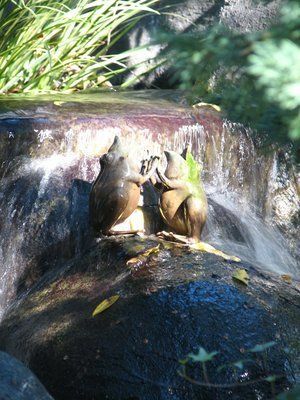 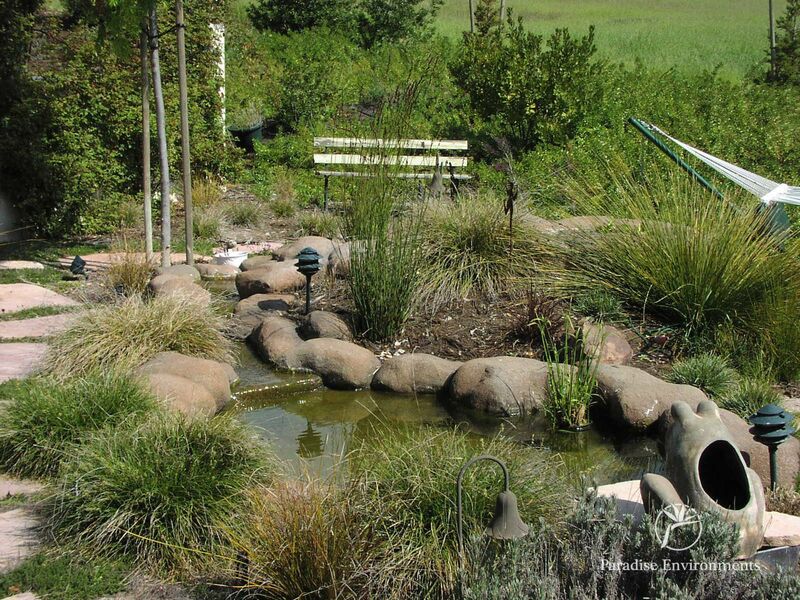 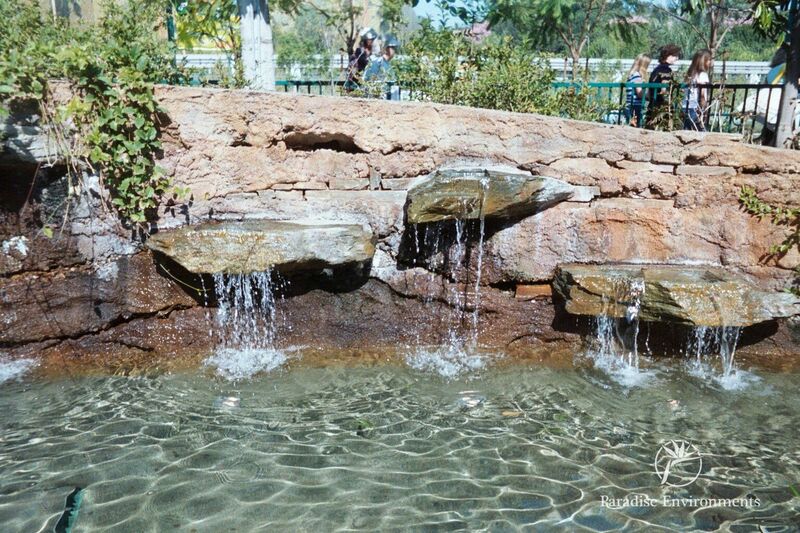 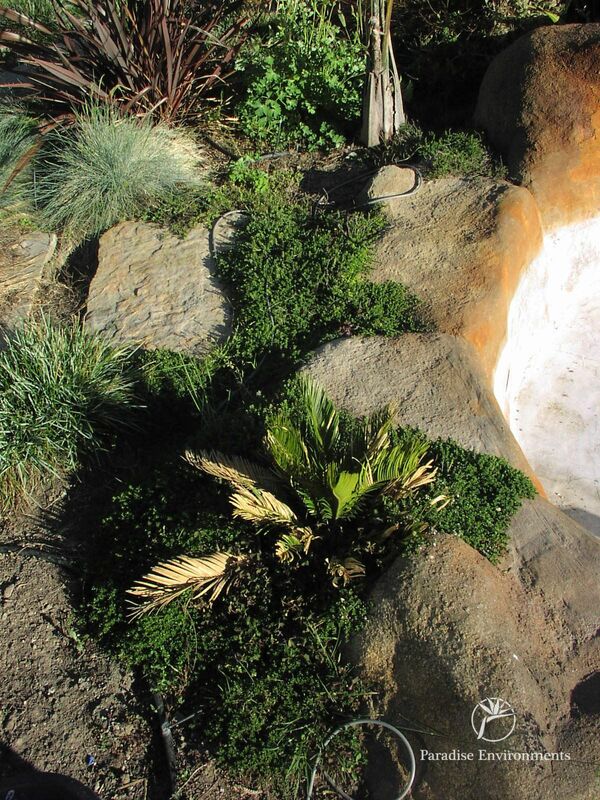 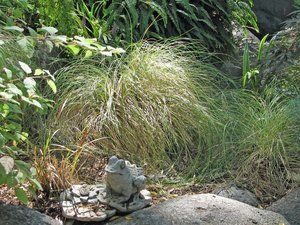 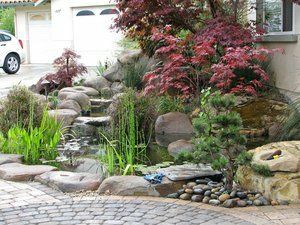 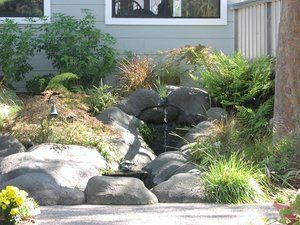 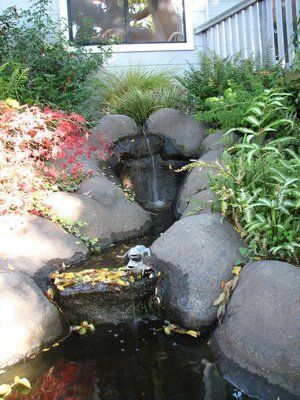 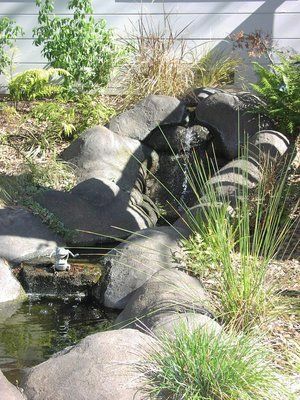 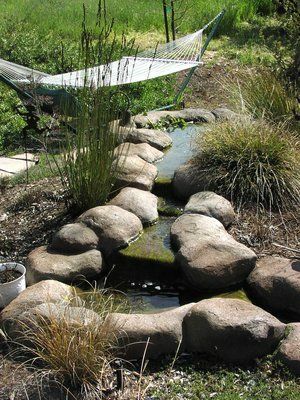 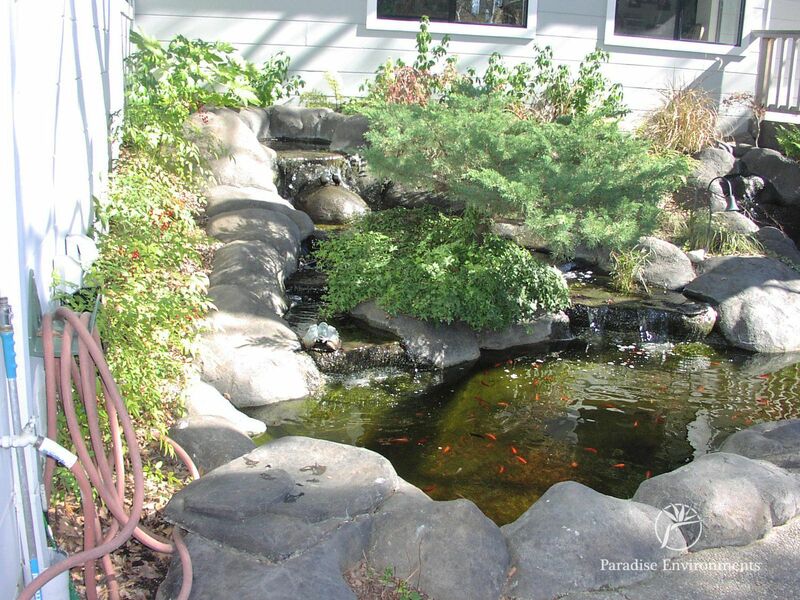 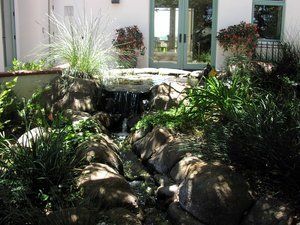 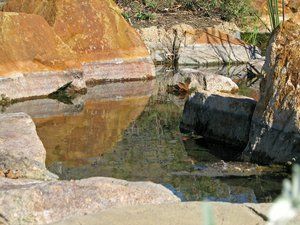 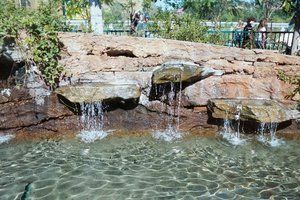 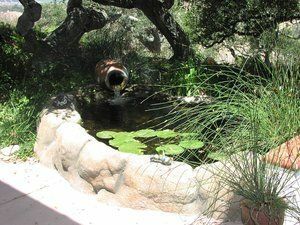 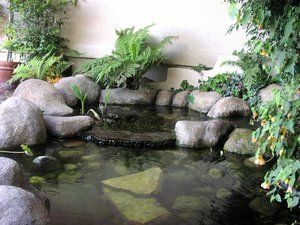 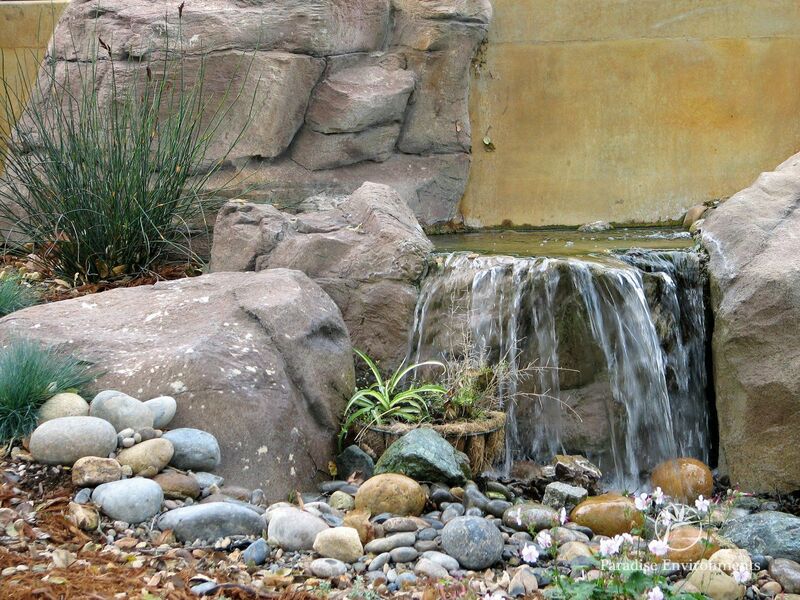 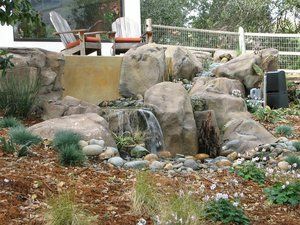 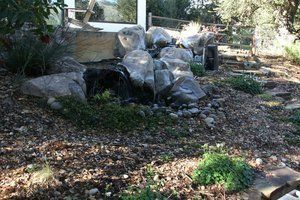 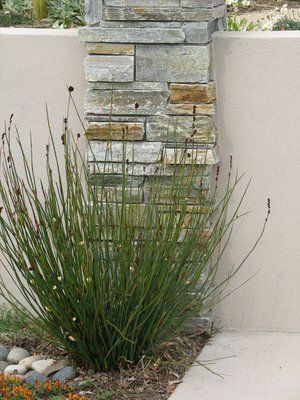 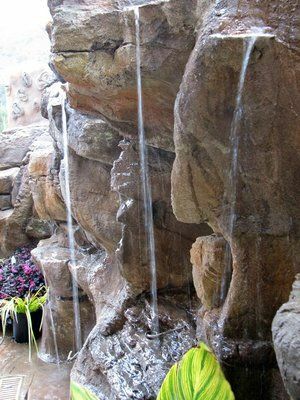 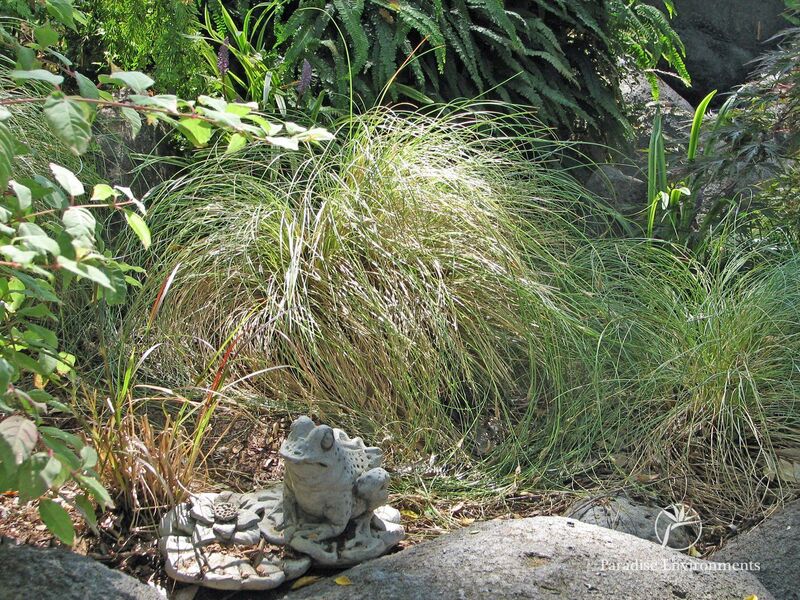 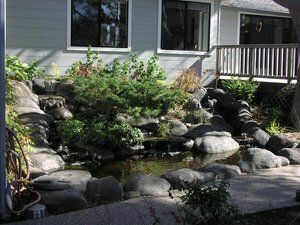 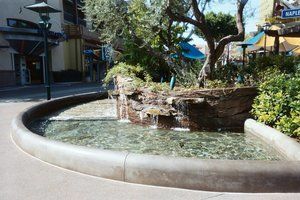 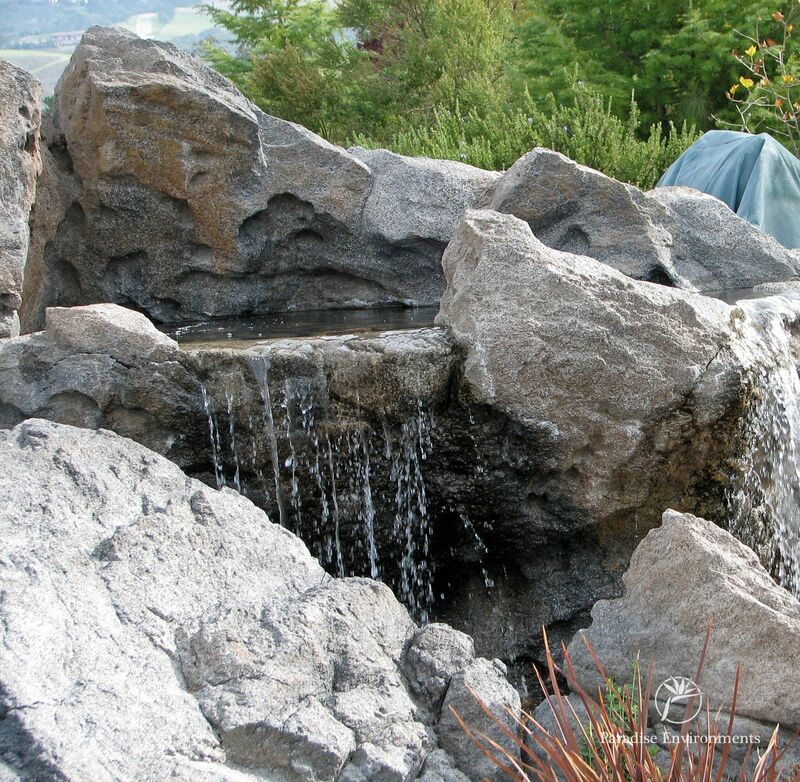 And as the name "pondless" implies, you don't have to have a pond in order to have a waterfall or soft gurgling brook. 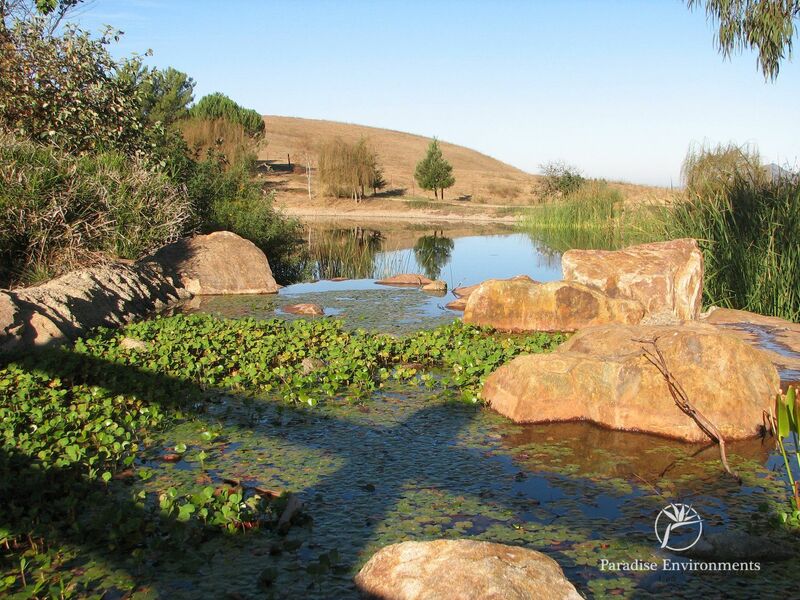 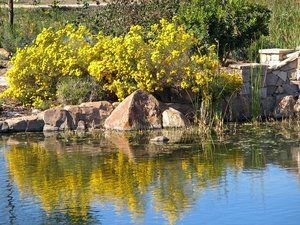 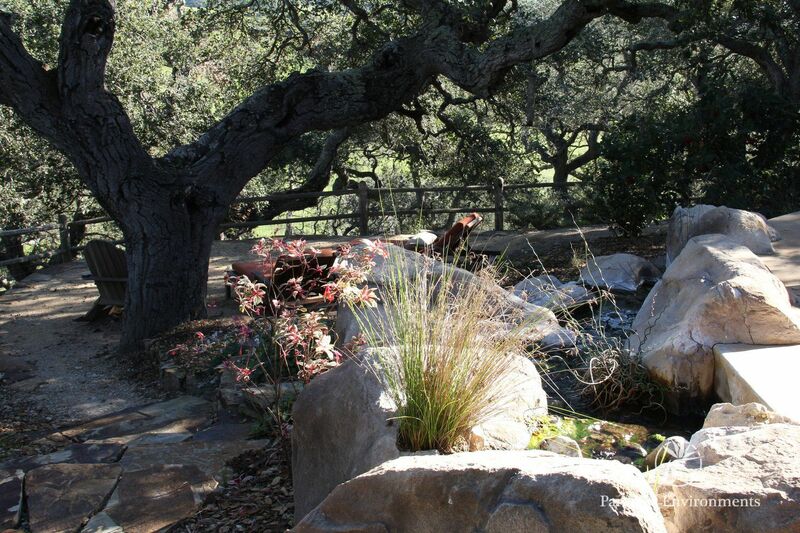 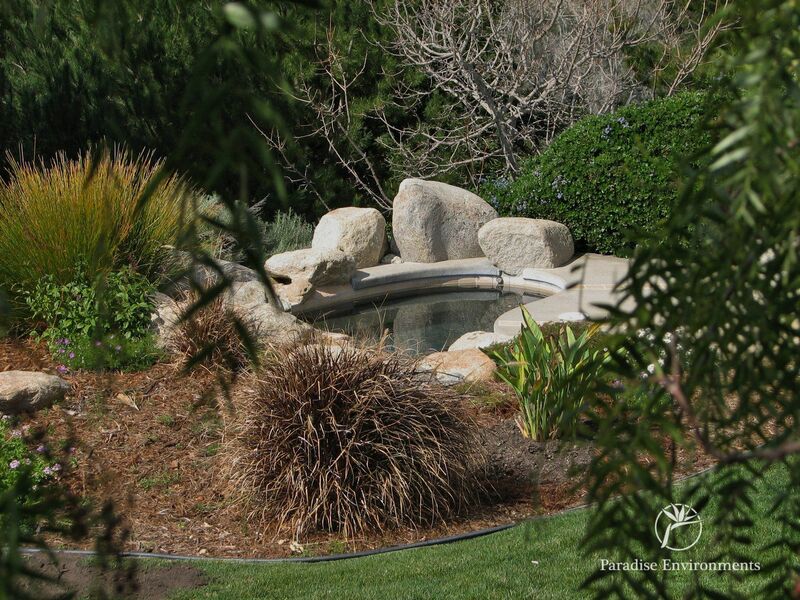 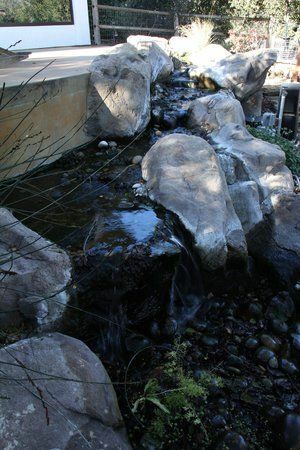 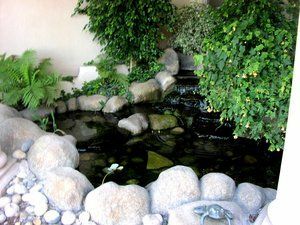 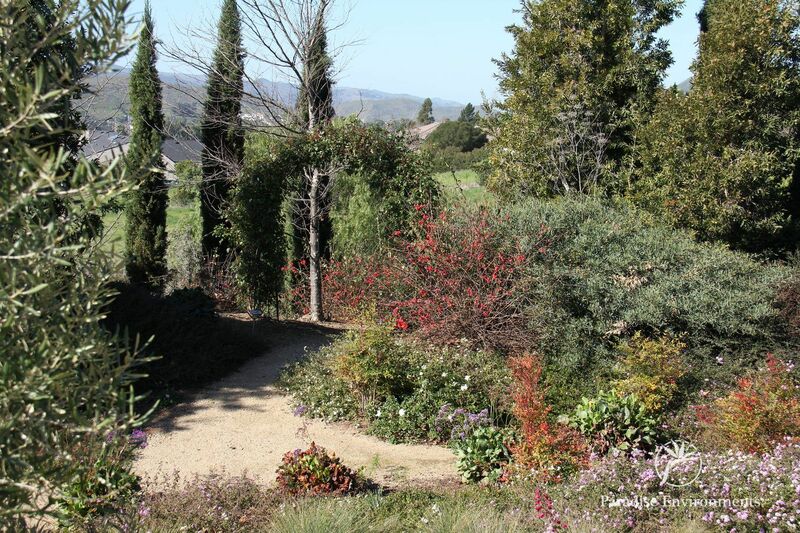 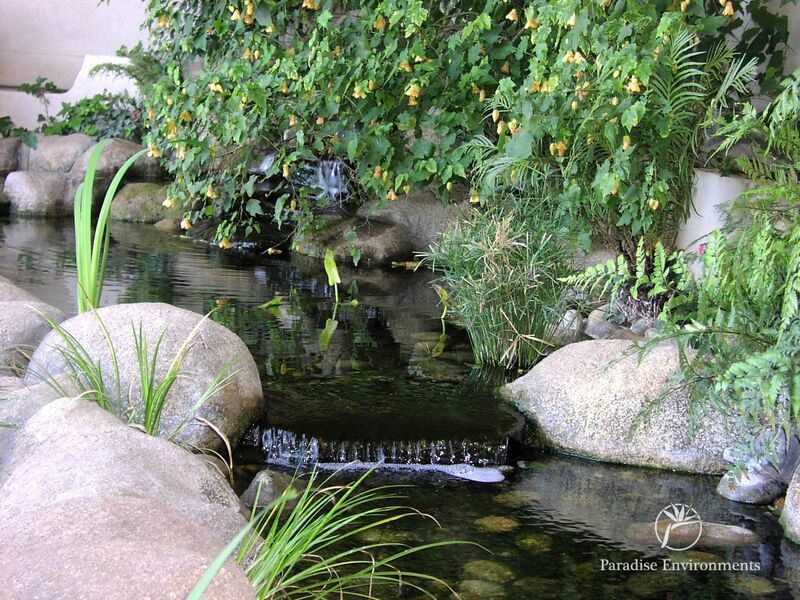 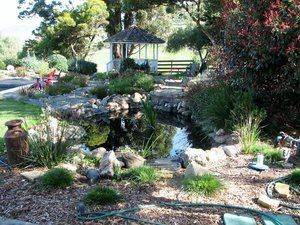 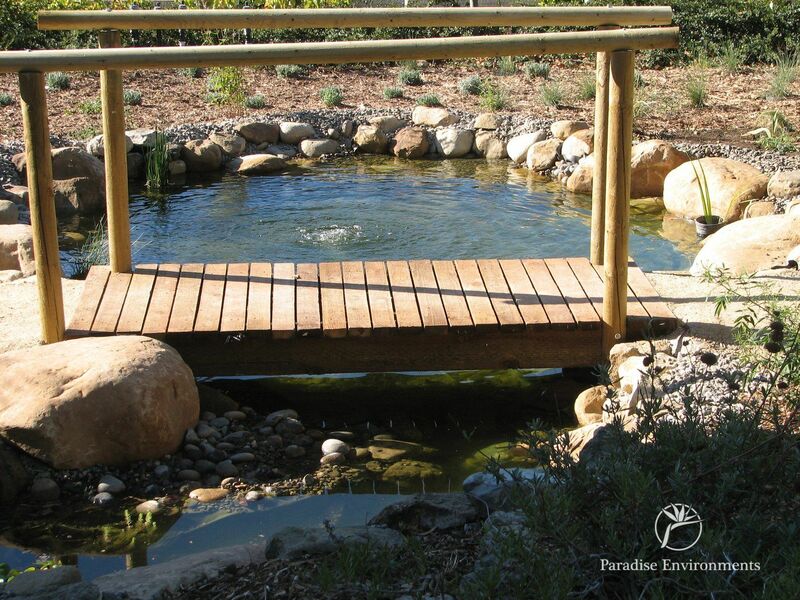 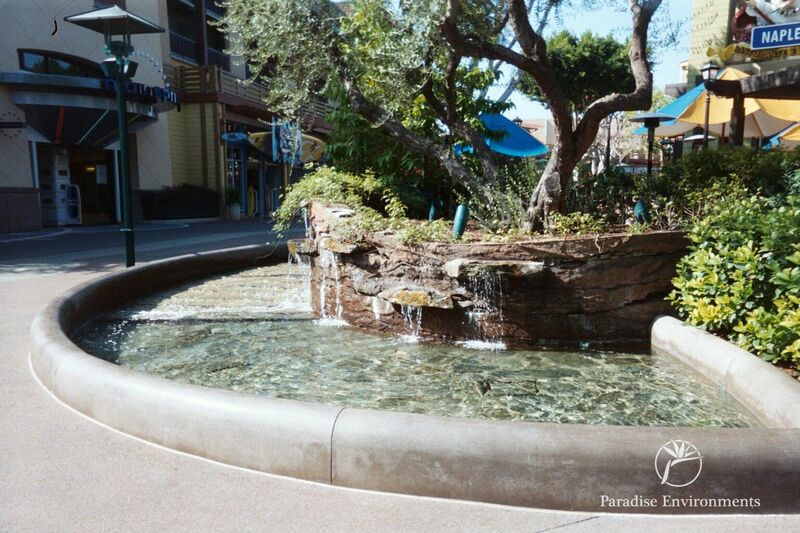 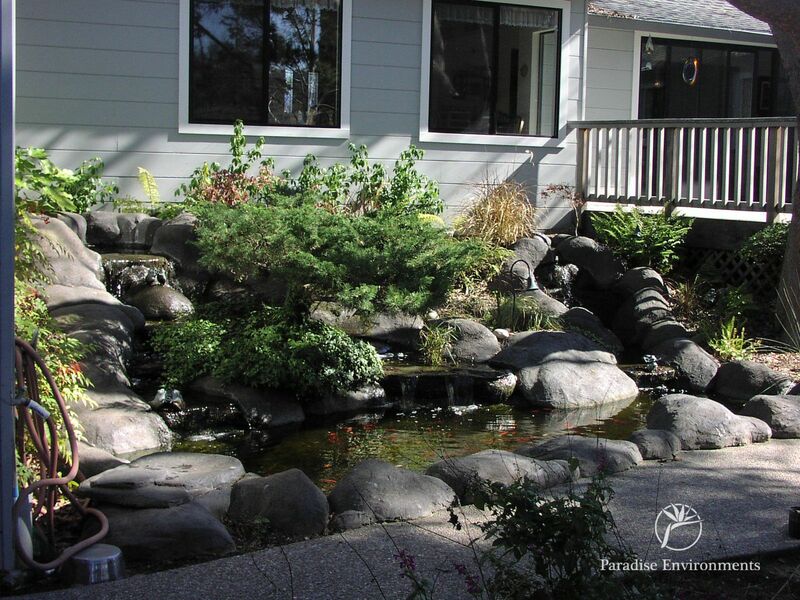 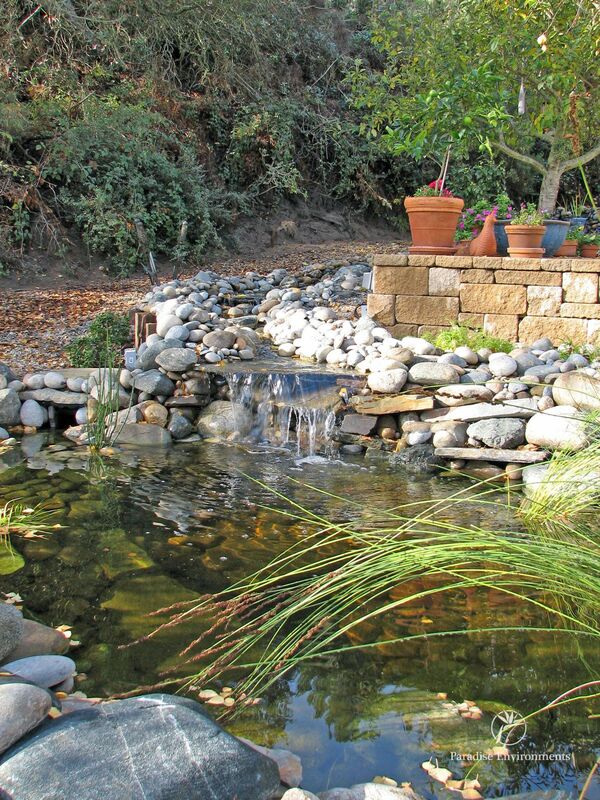 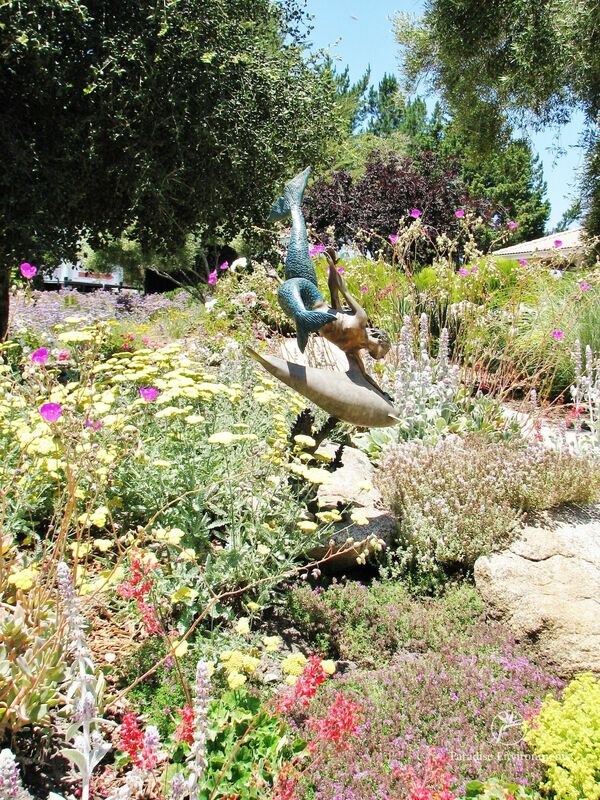 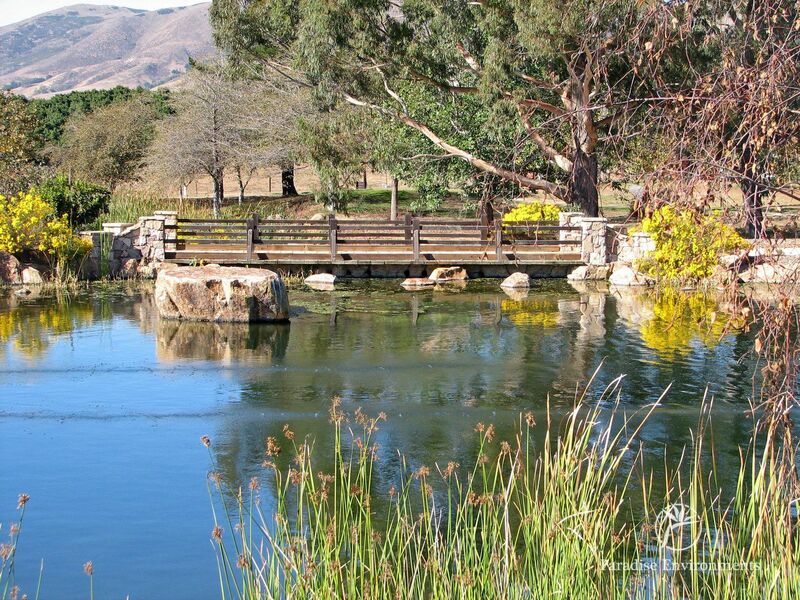 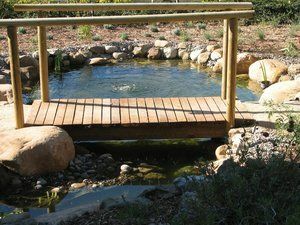 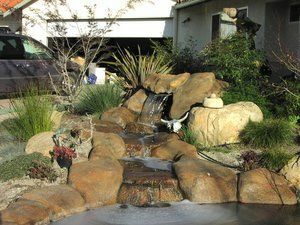 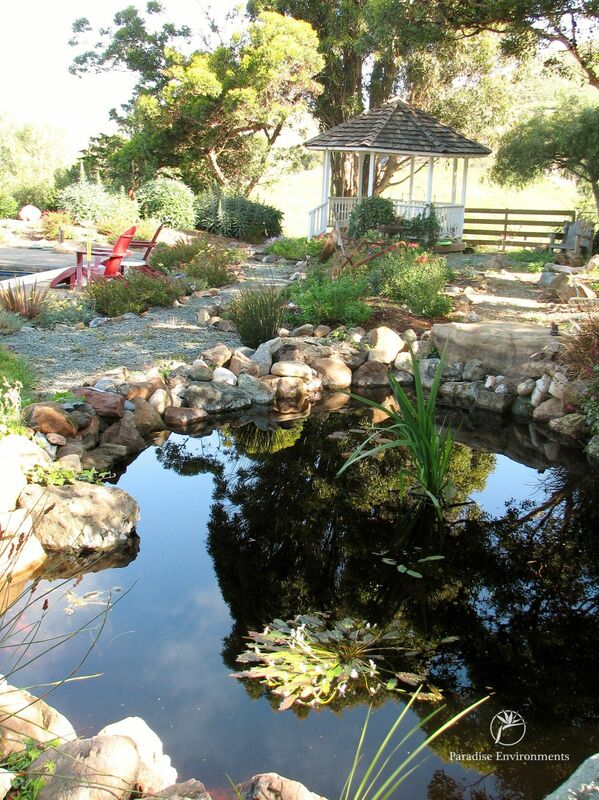 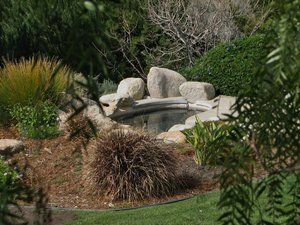 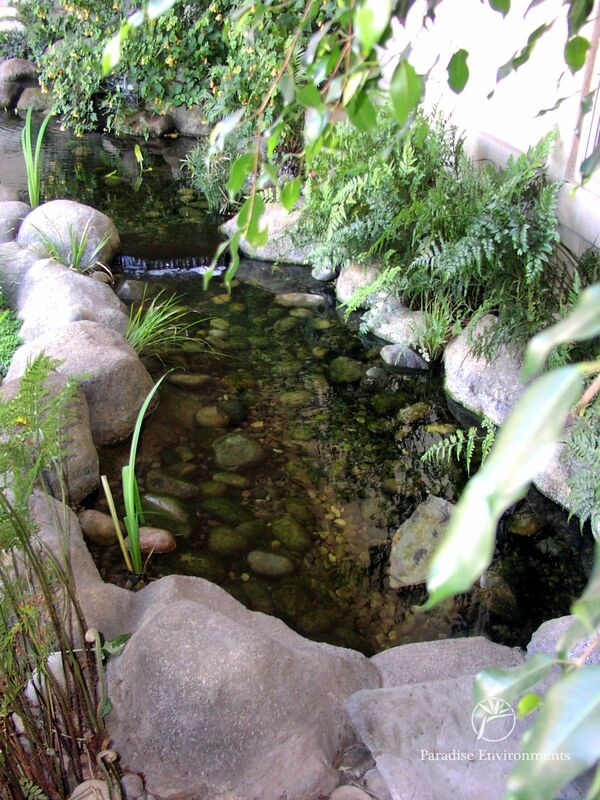 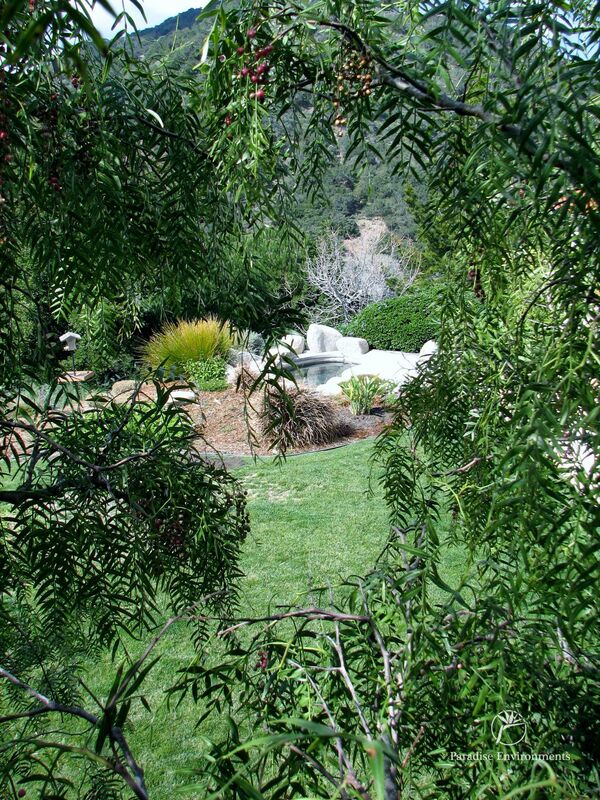 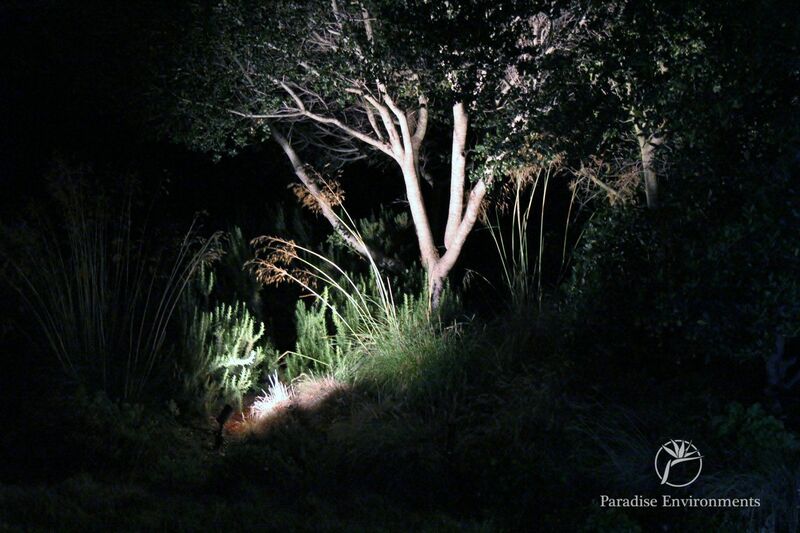 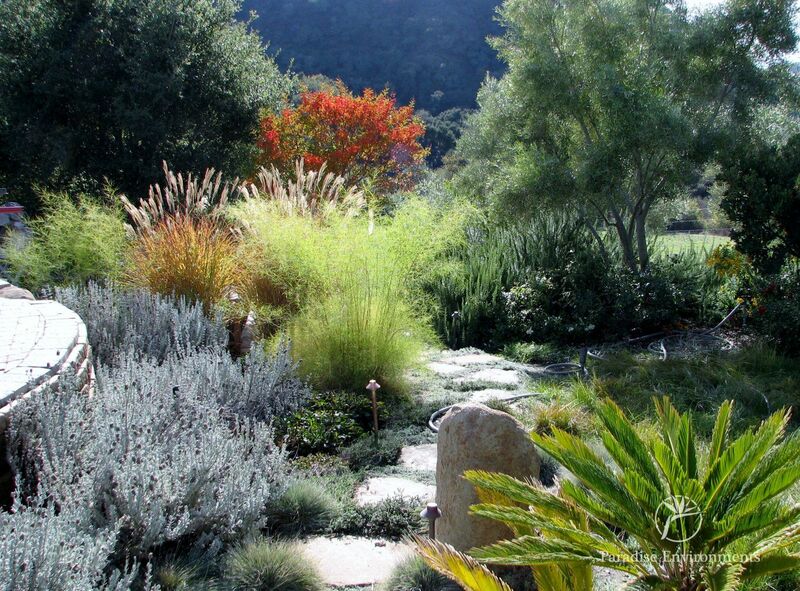 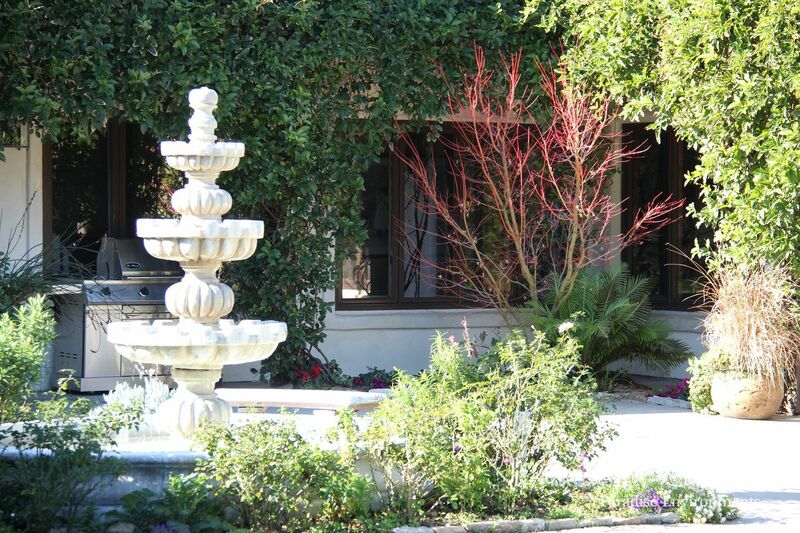 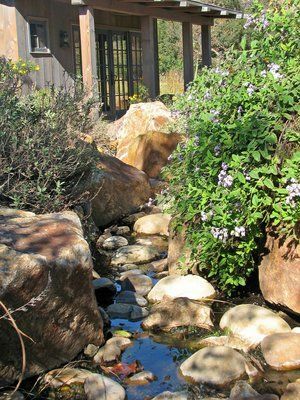 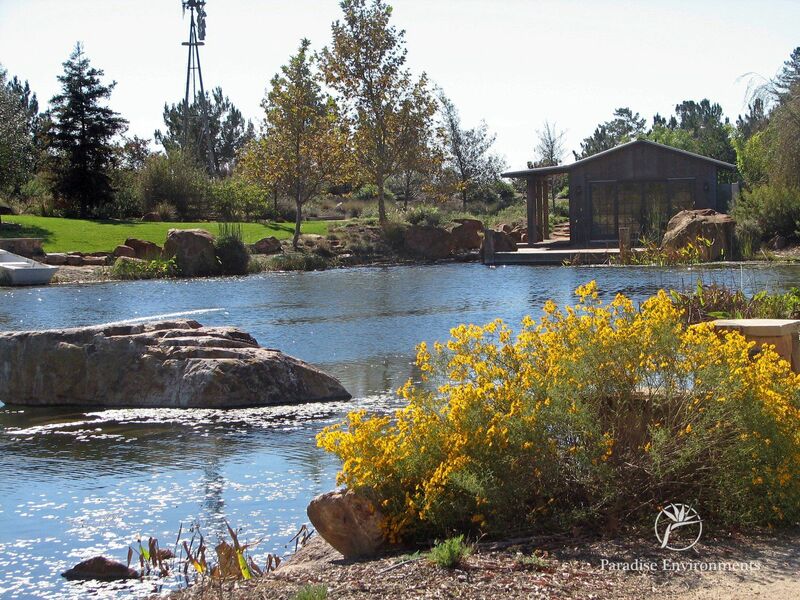 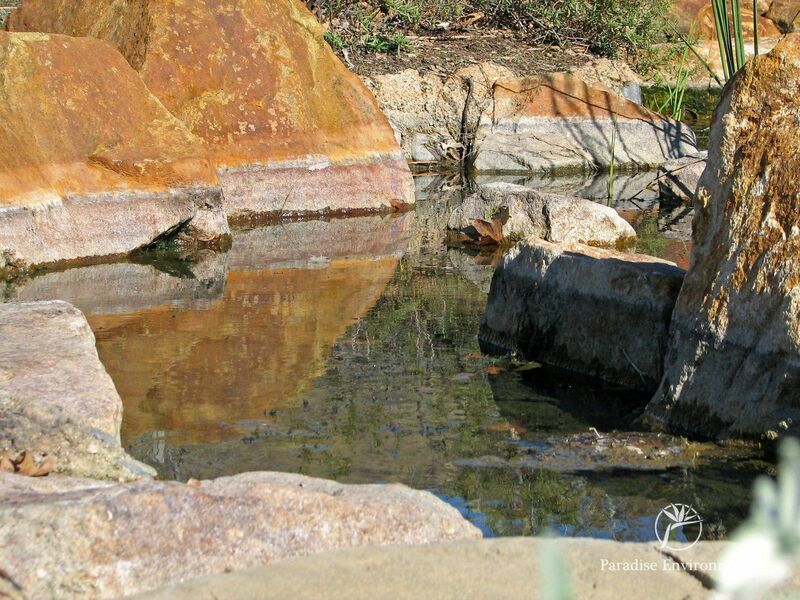 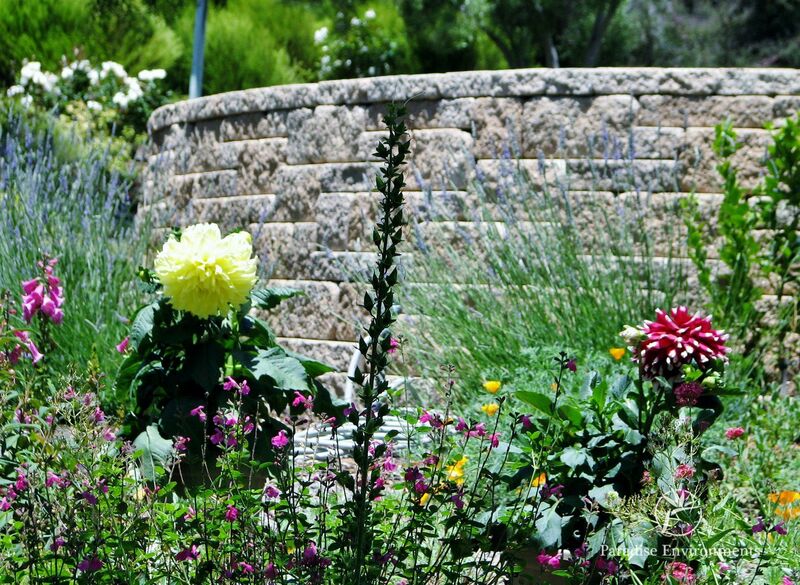 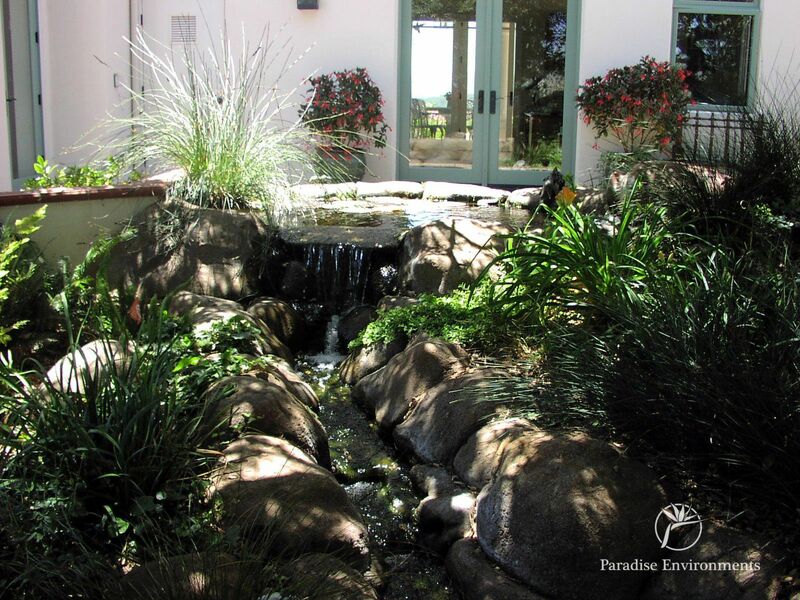 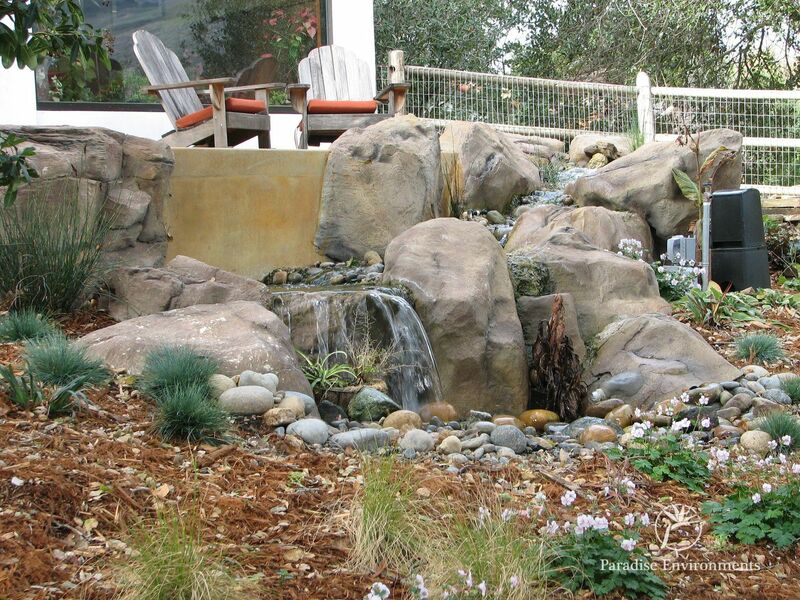 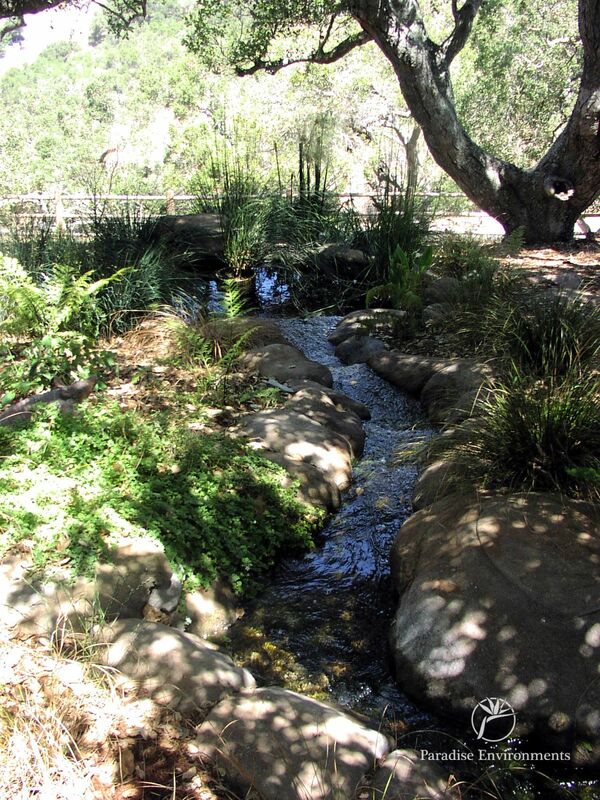 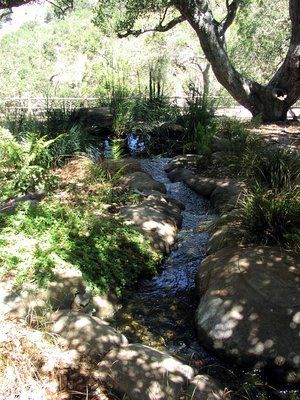 For a consultation on a pond or stream that will bring tranquility to your life, please call us at 805-473-1181. 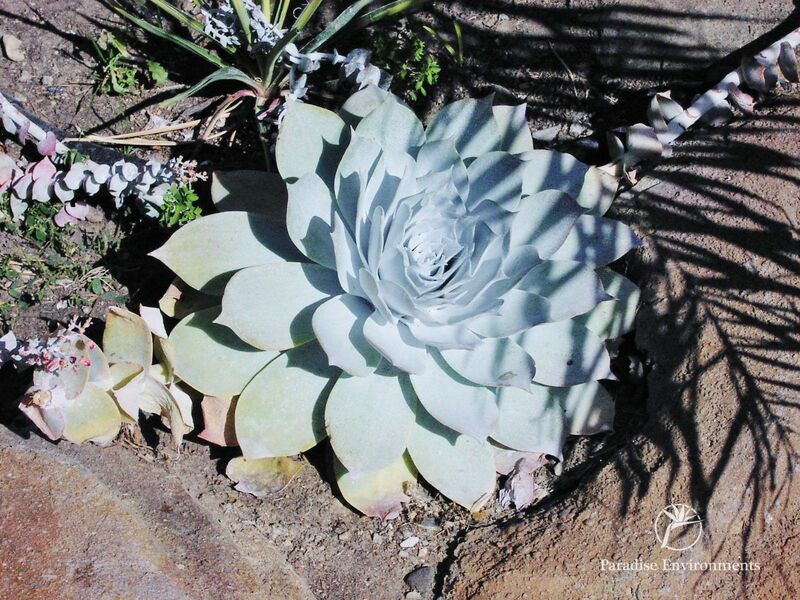 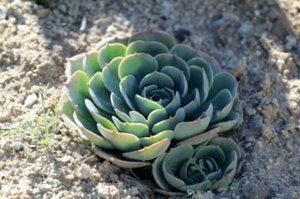 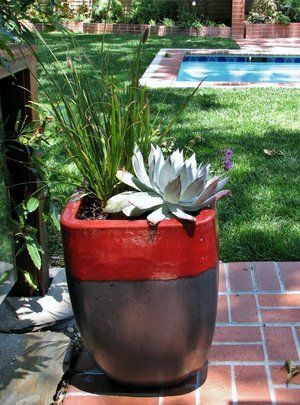 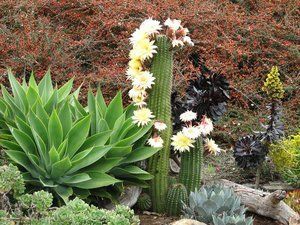 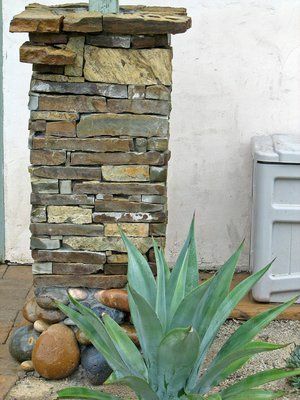 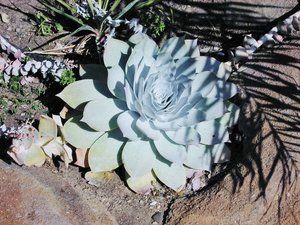 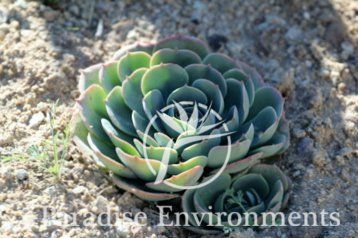 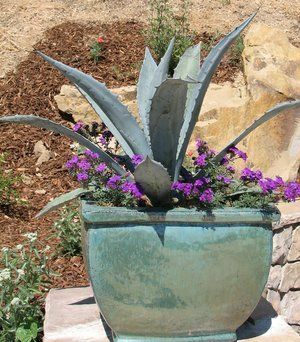 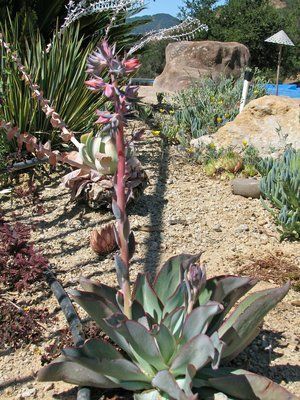 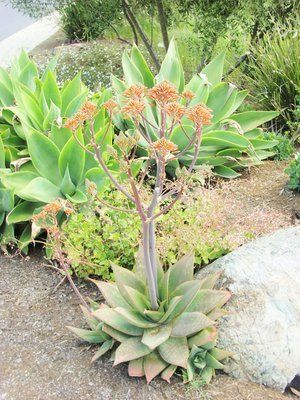 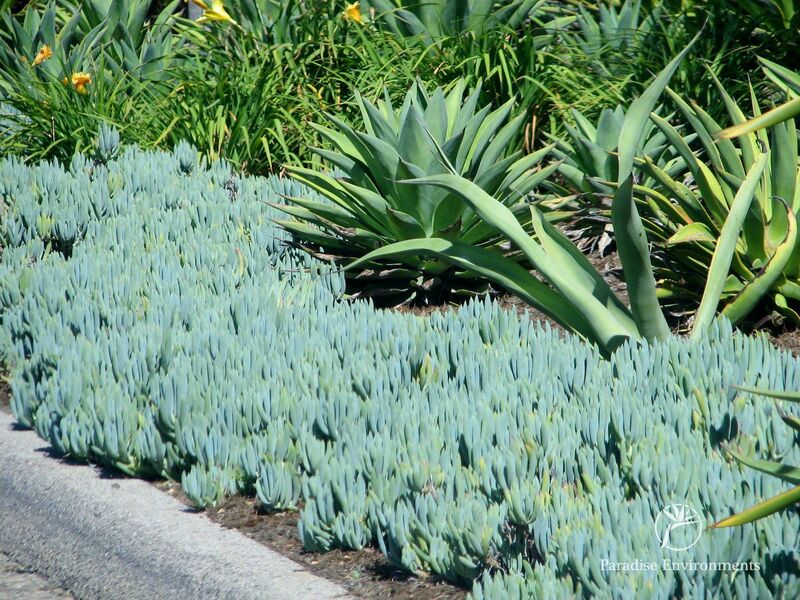 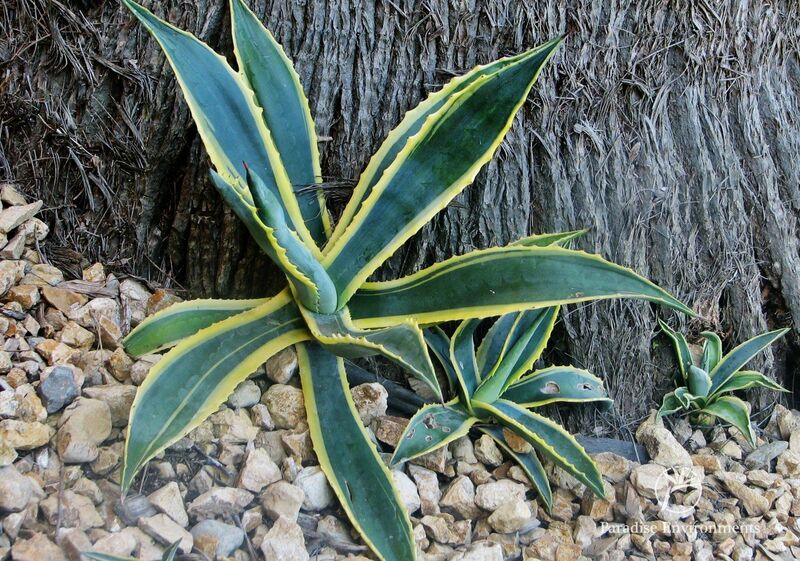 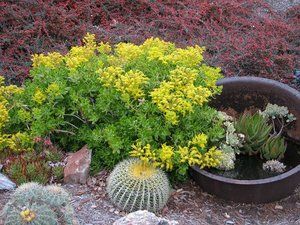 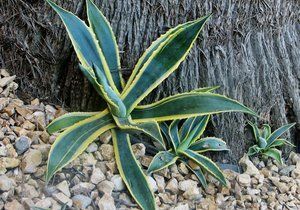 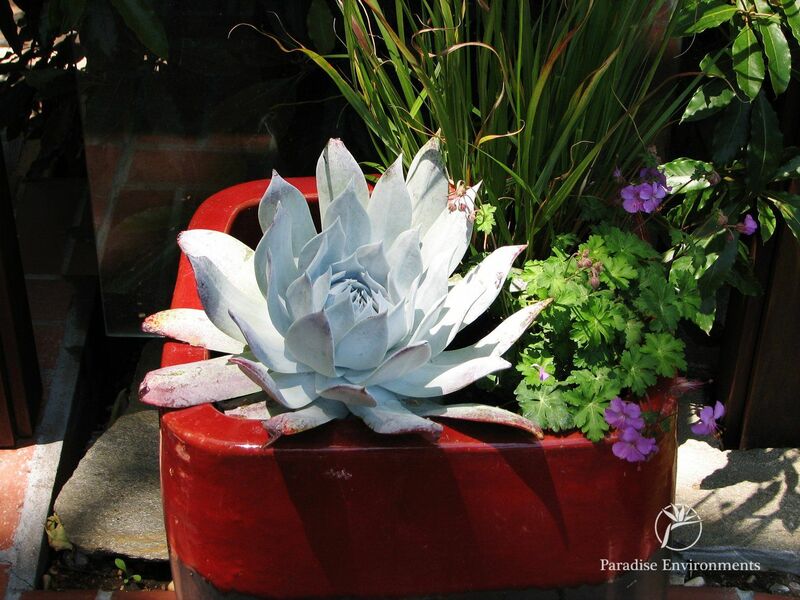 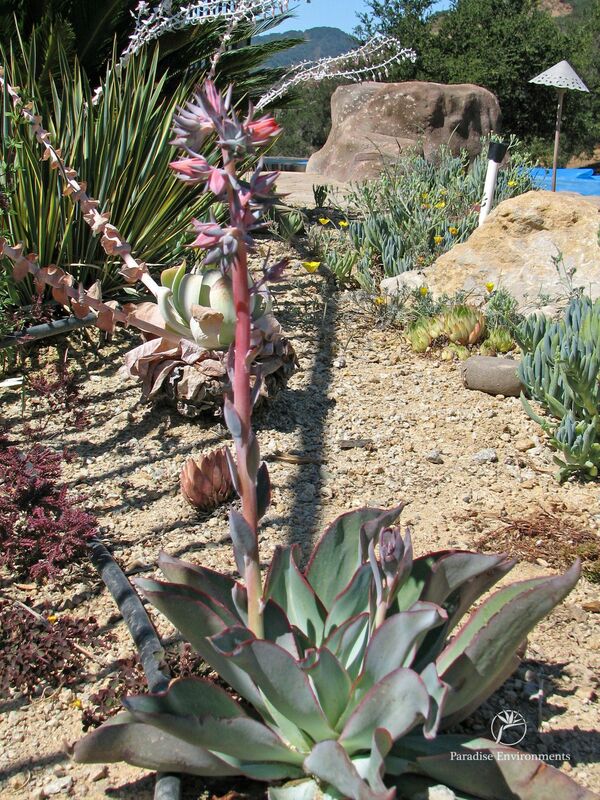 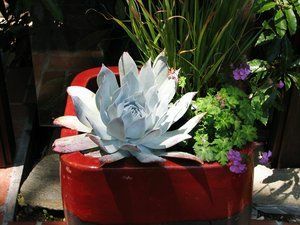 Succulents are perfect for any area that receives infrequent water.